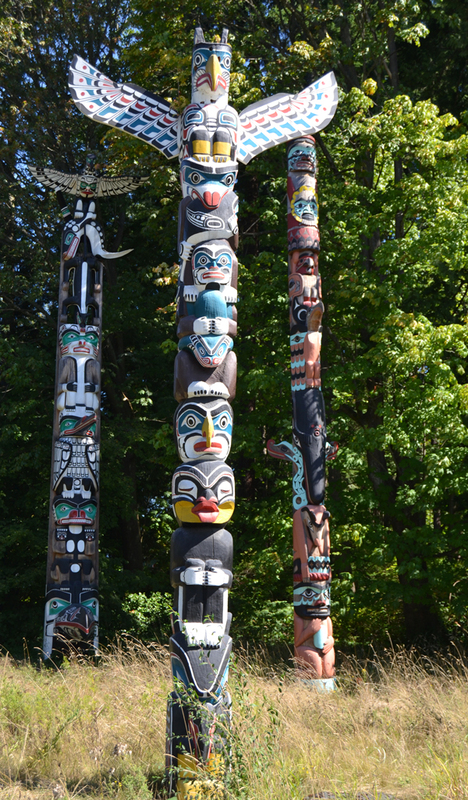 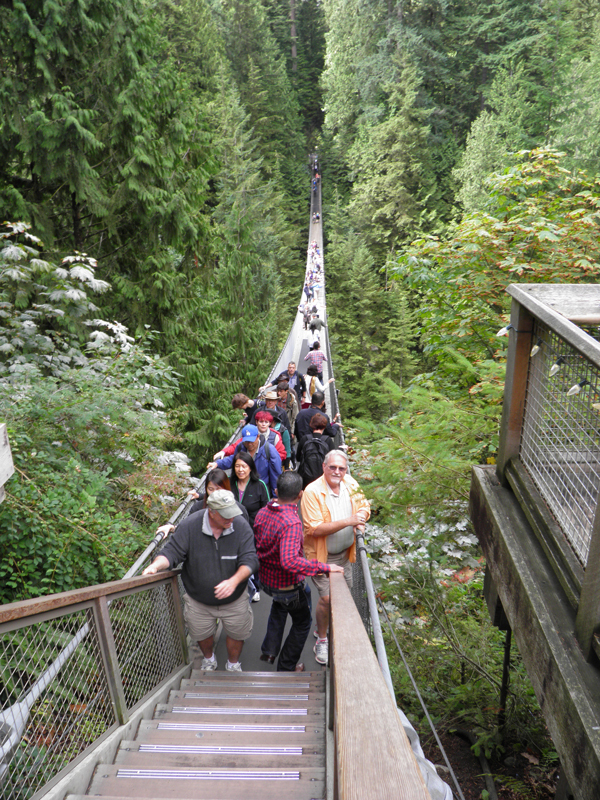 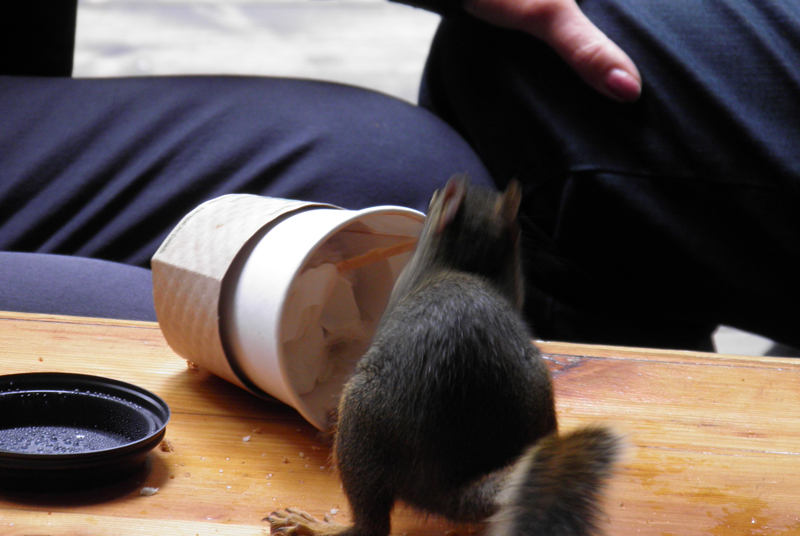 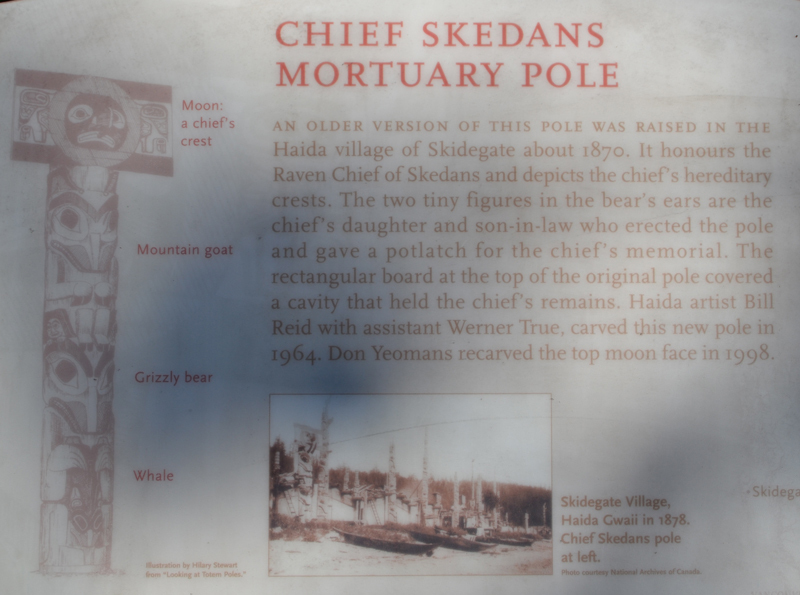 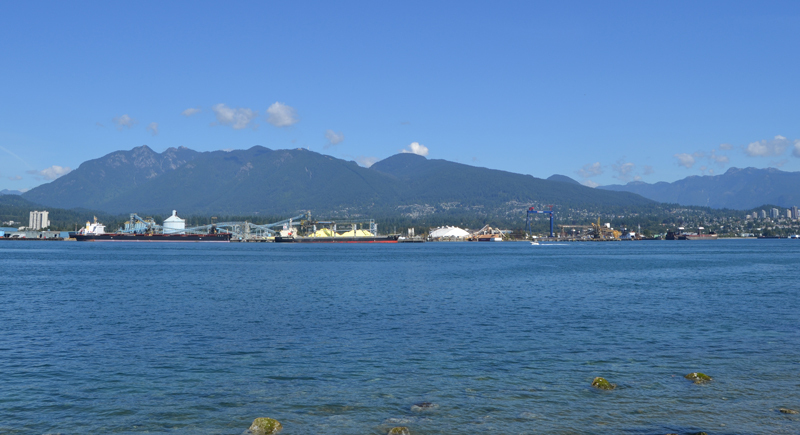 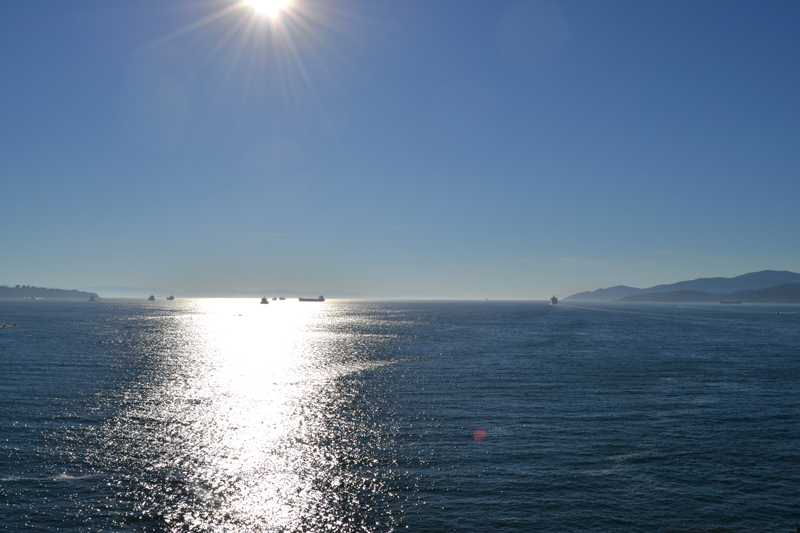 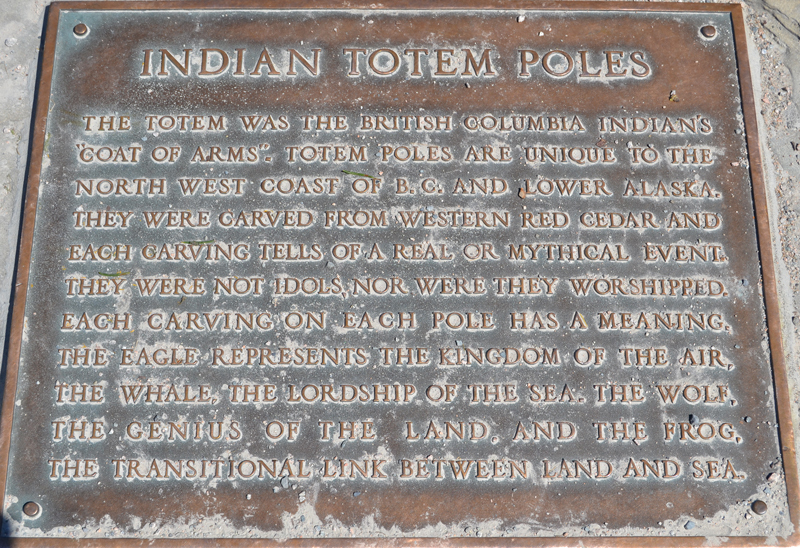 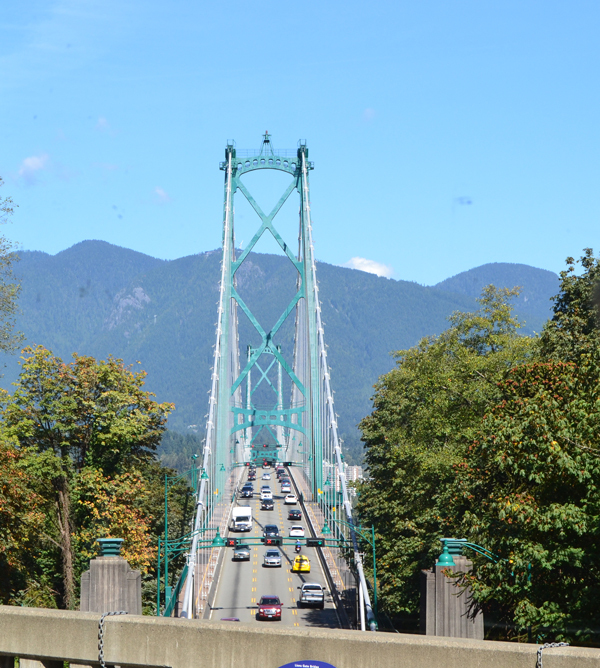 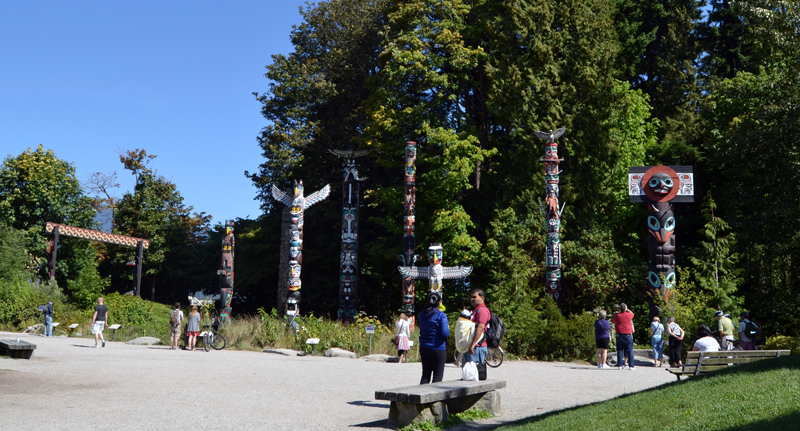 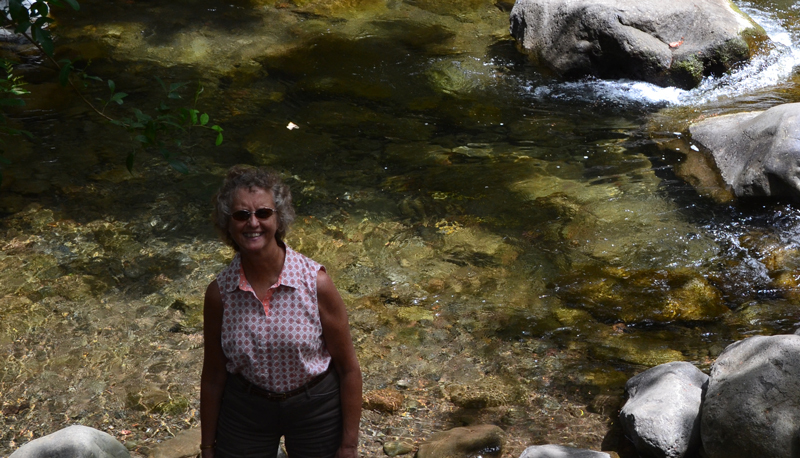 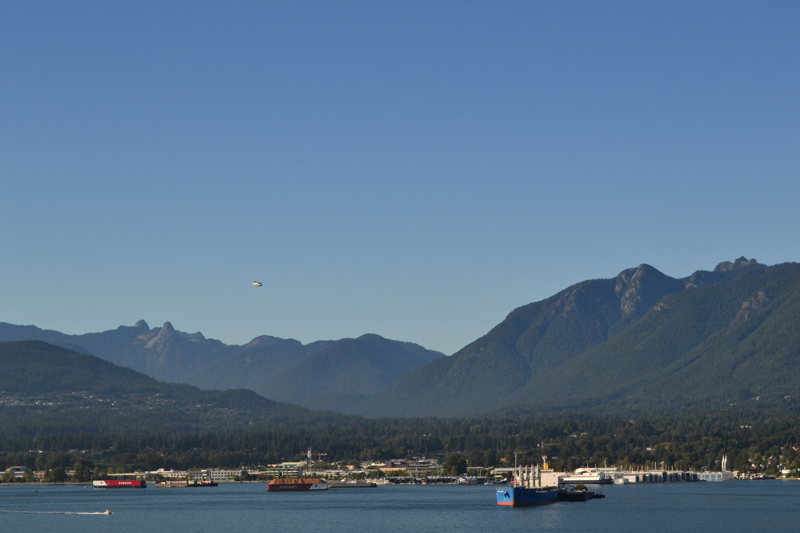 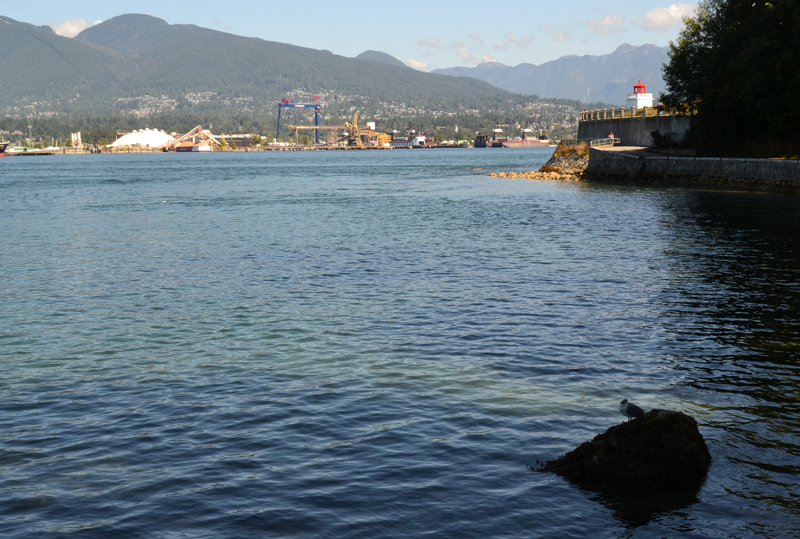 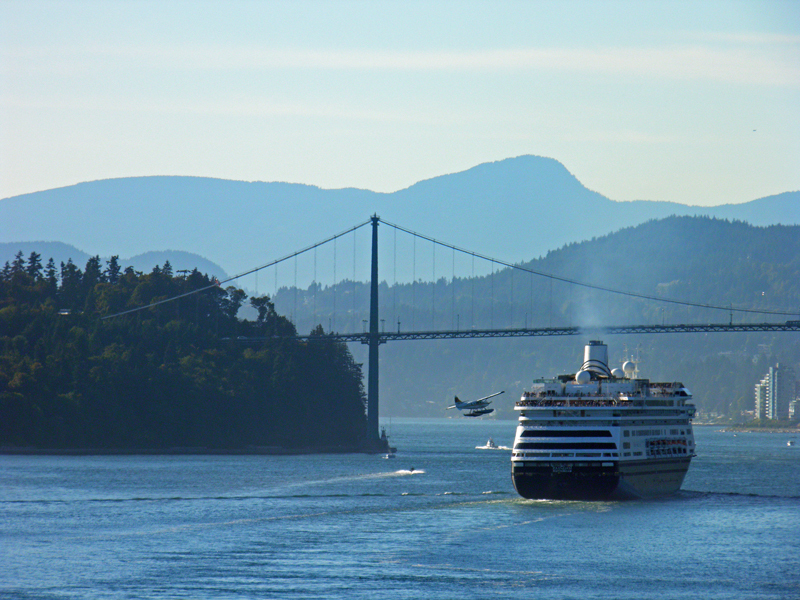 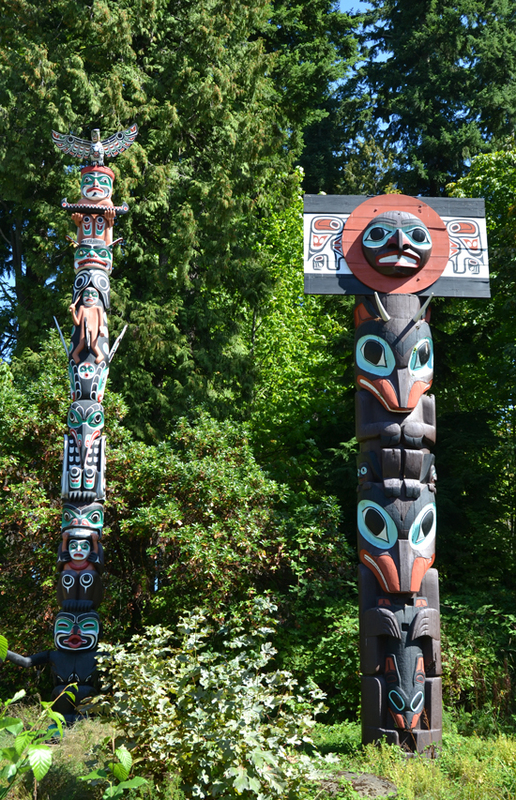 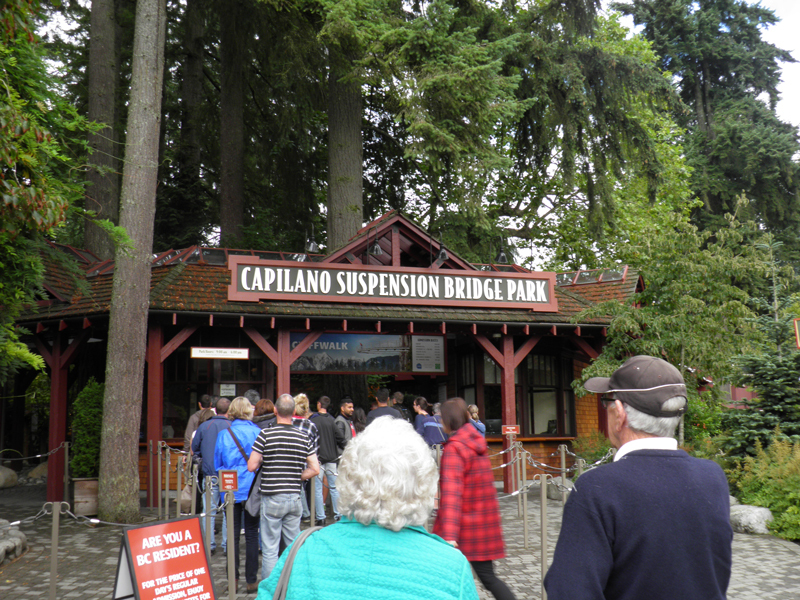 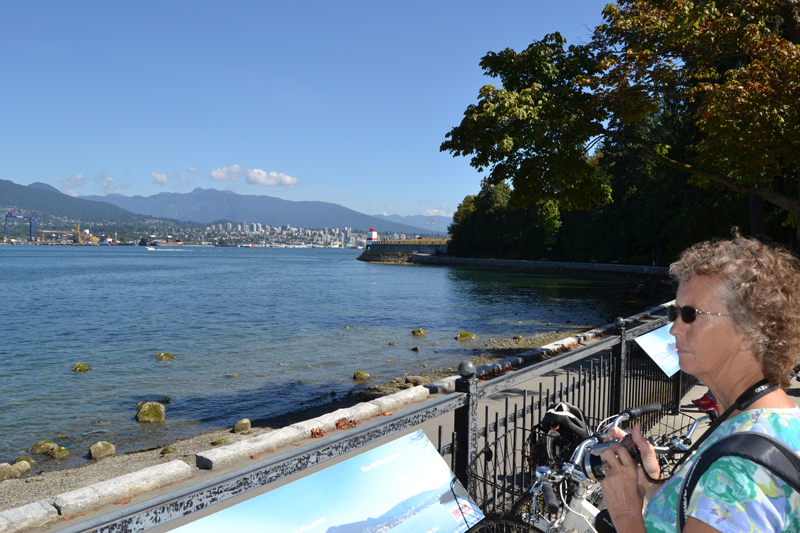 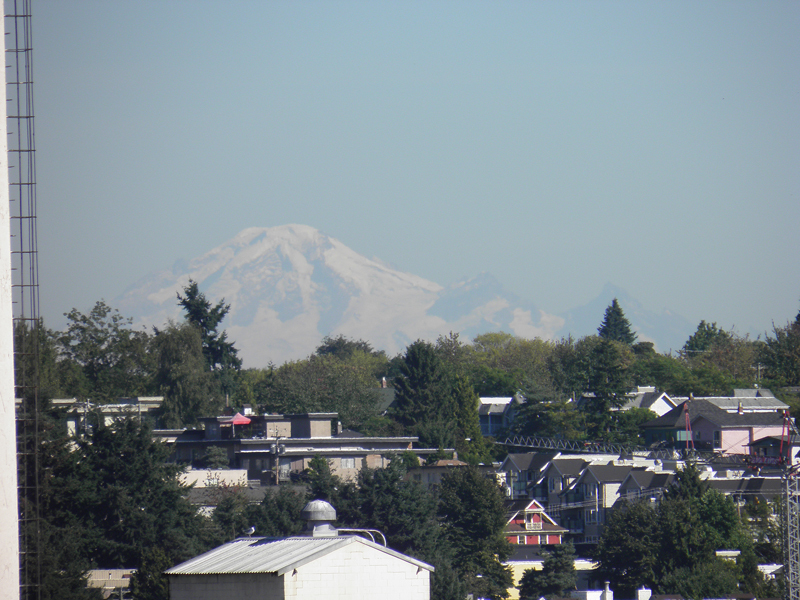 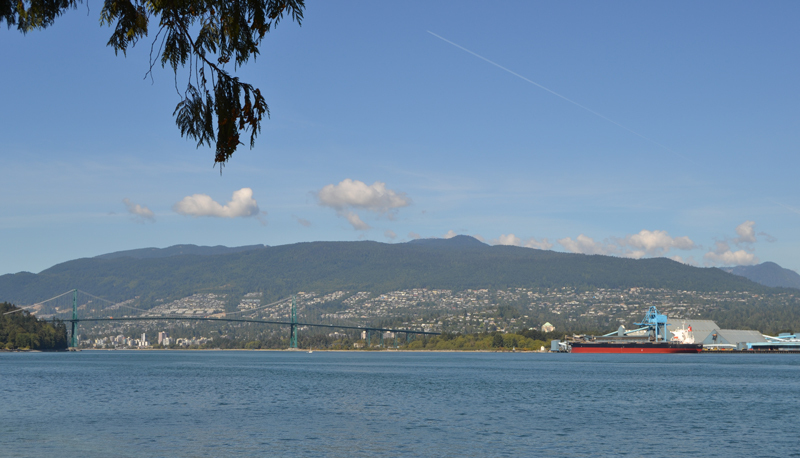 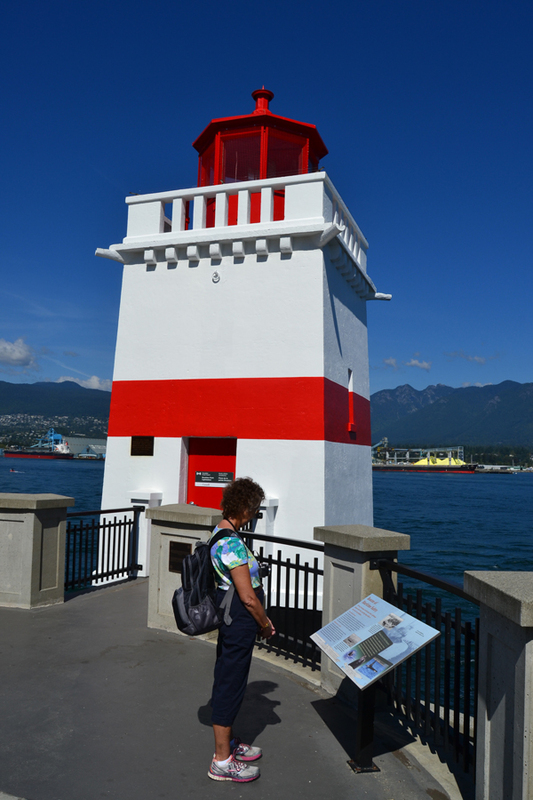 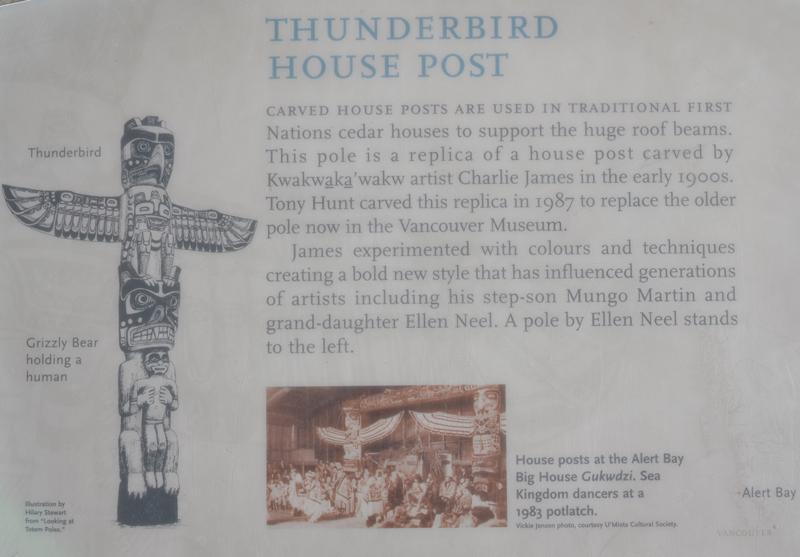 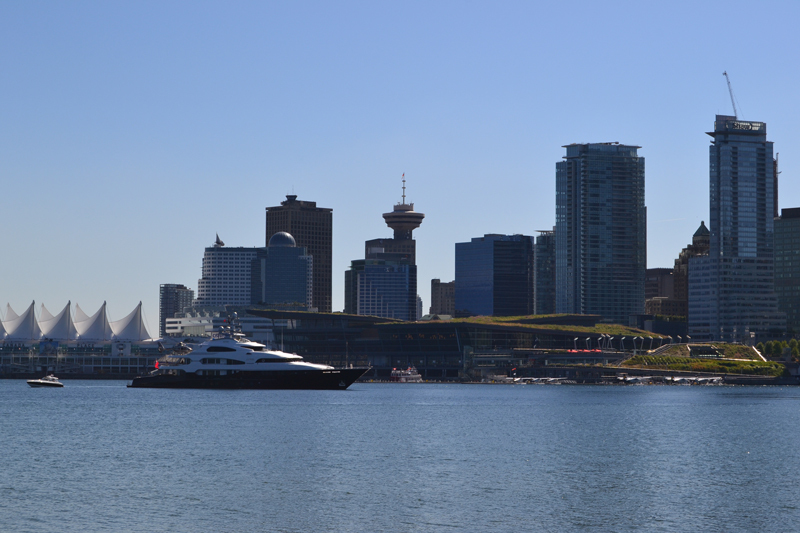 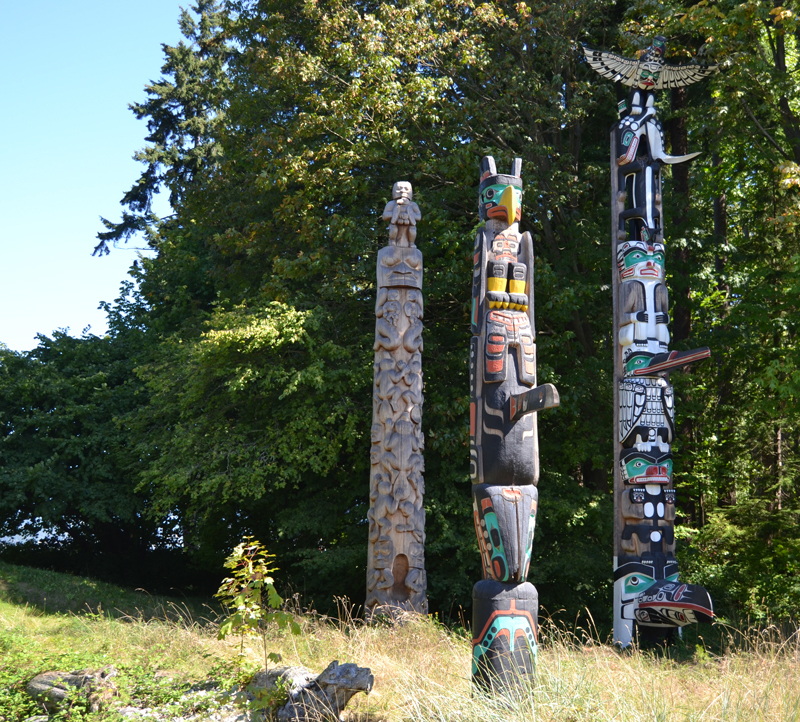 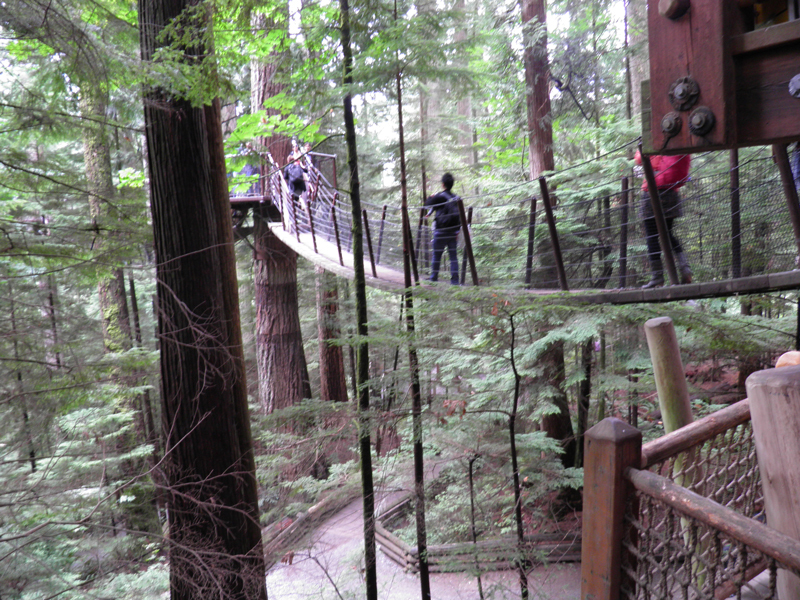 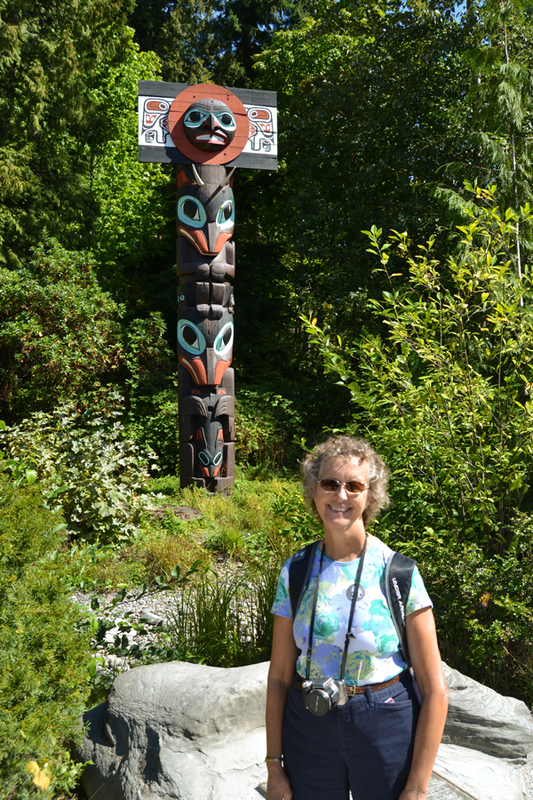 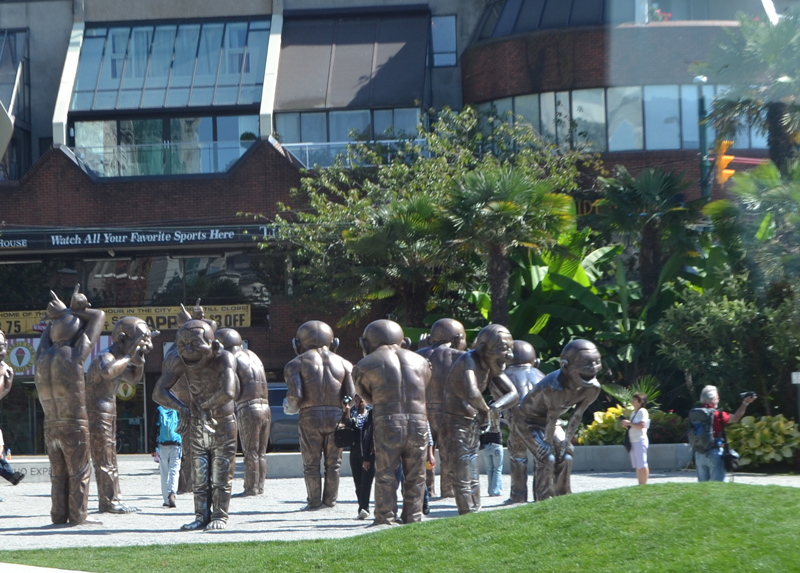 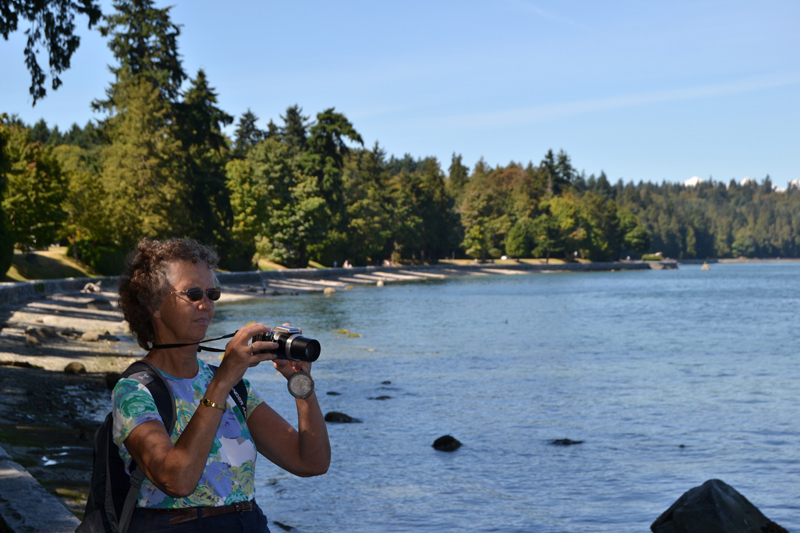 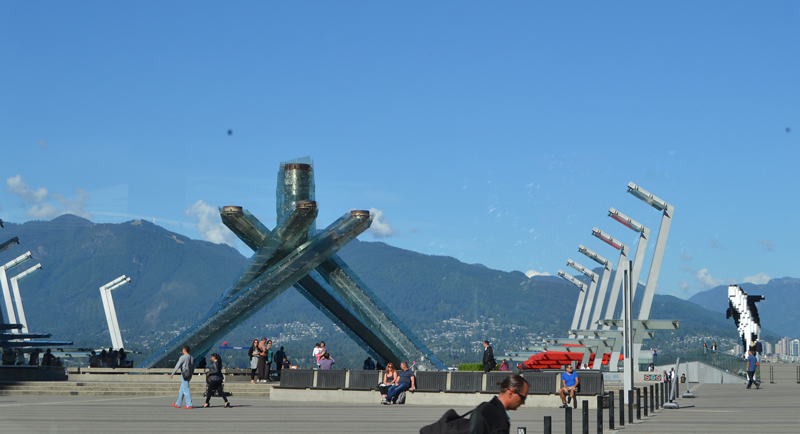 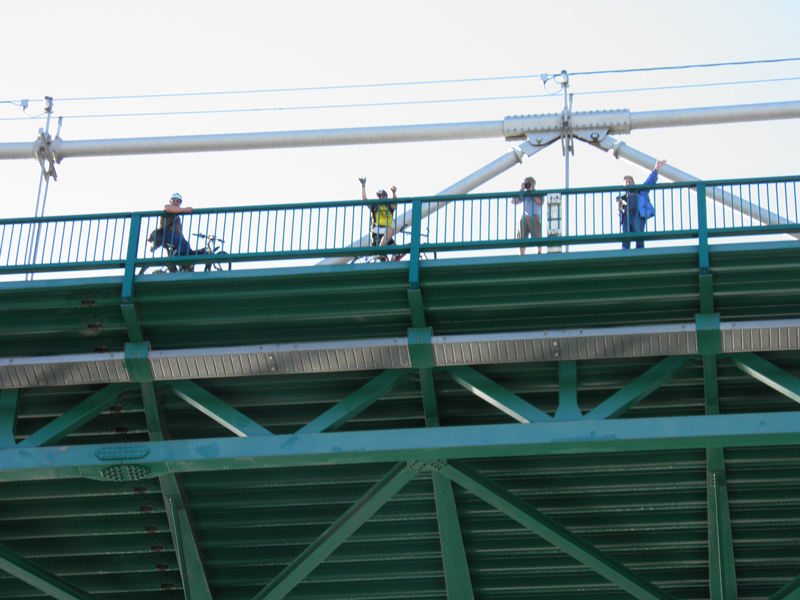 In Vancouver we explored Capilano Suspension Bridge Park, Stanley Park, and toured the city via the Vancouver Trolley. 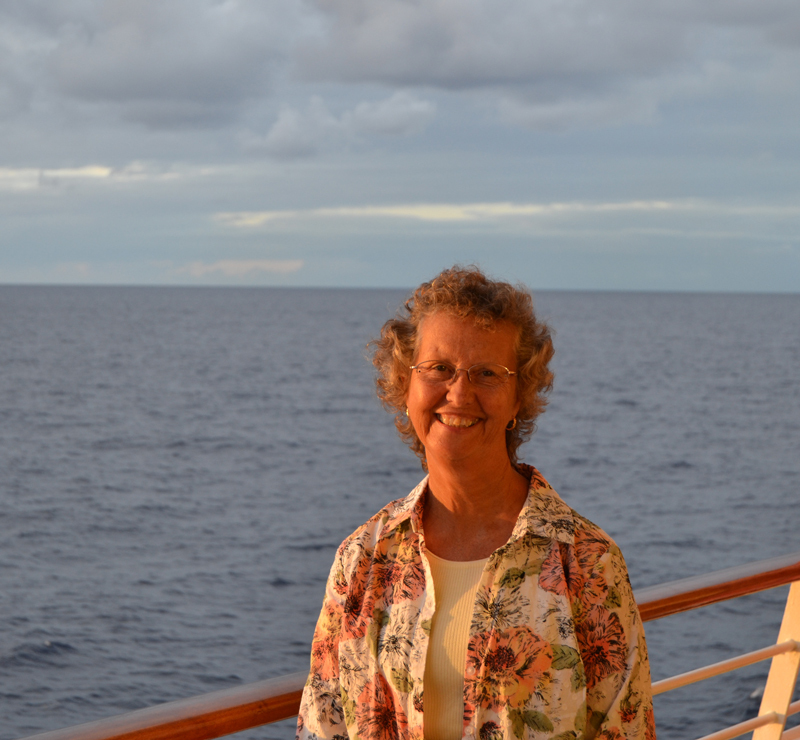 We celebrated Kathy’s birthday with a delicious Italian dinner at Ciao Bella. 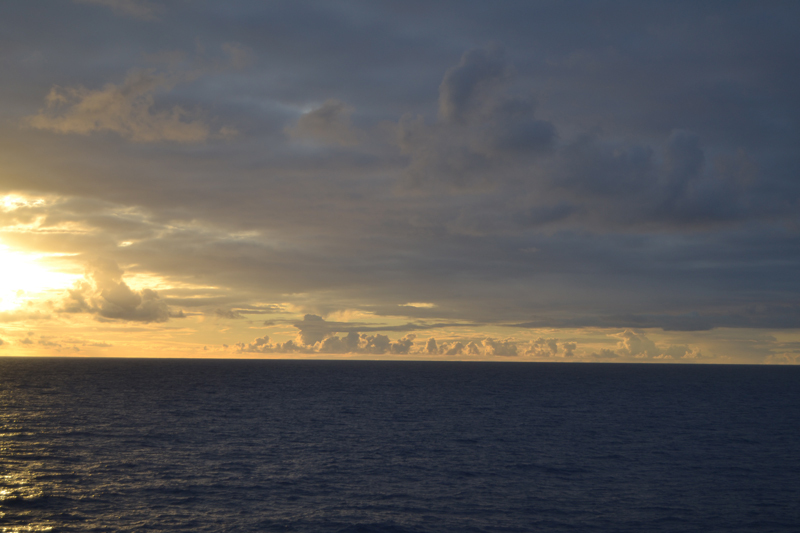 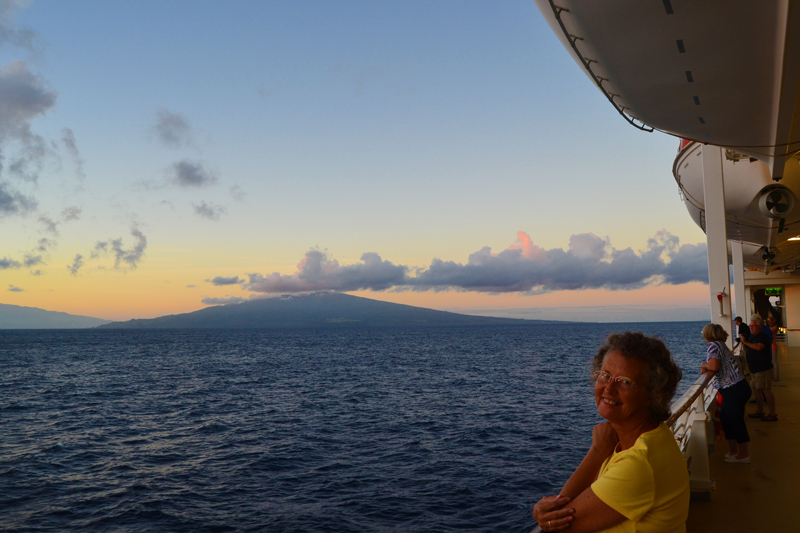 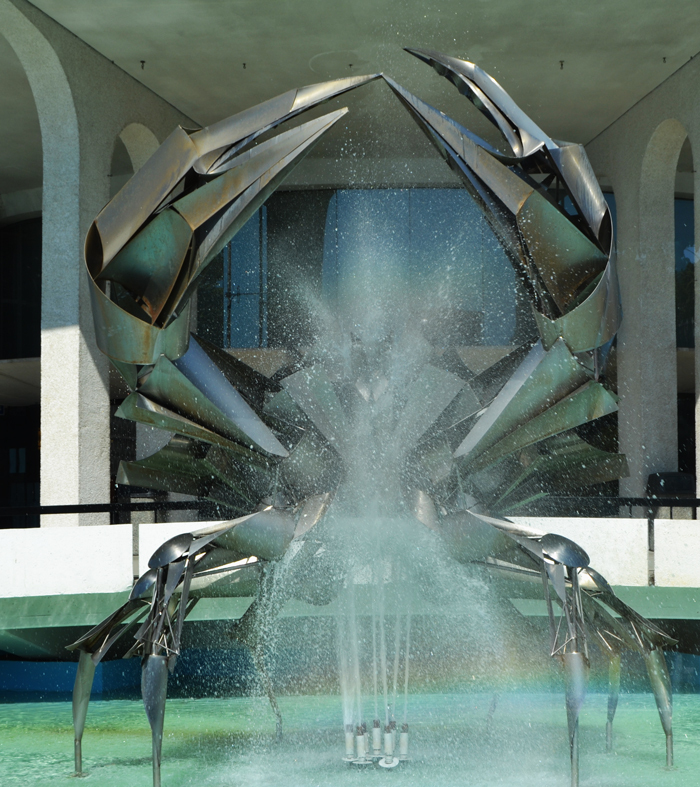 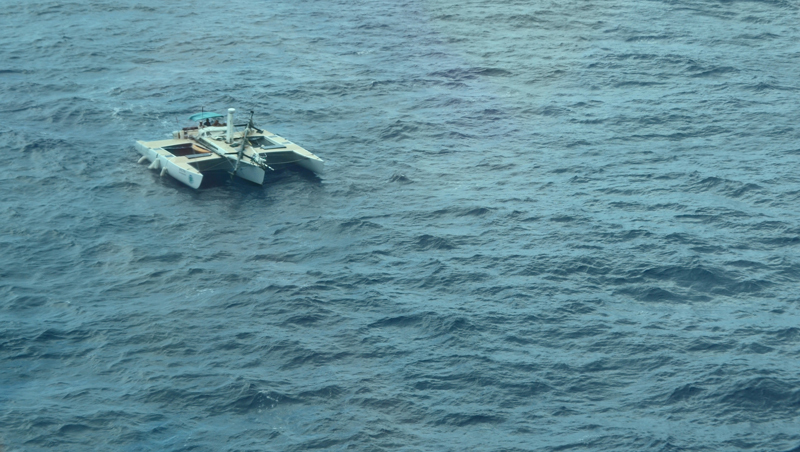 Five days of our eleven-day cruise were spent at sea. 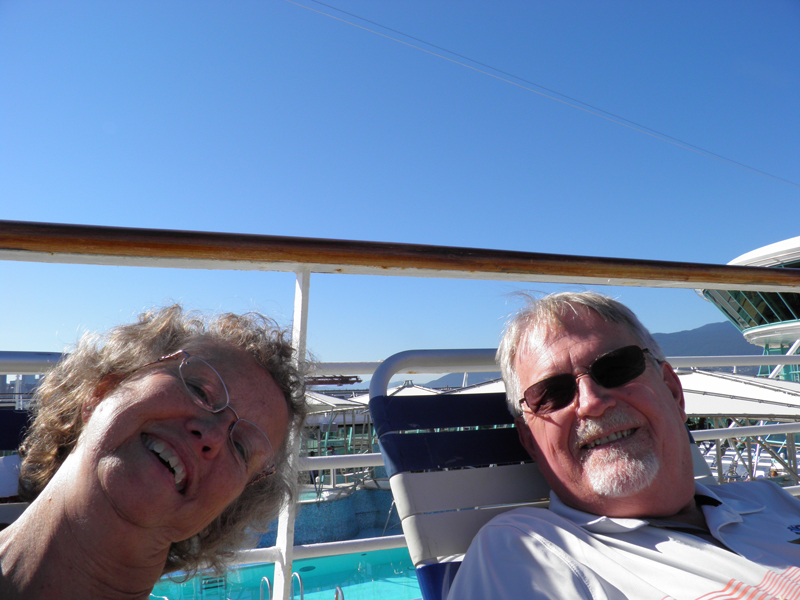 We did a lot of reading, eating, enjoying the variety of entertainment and making new friends. 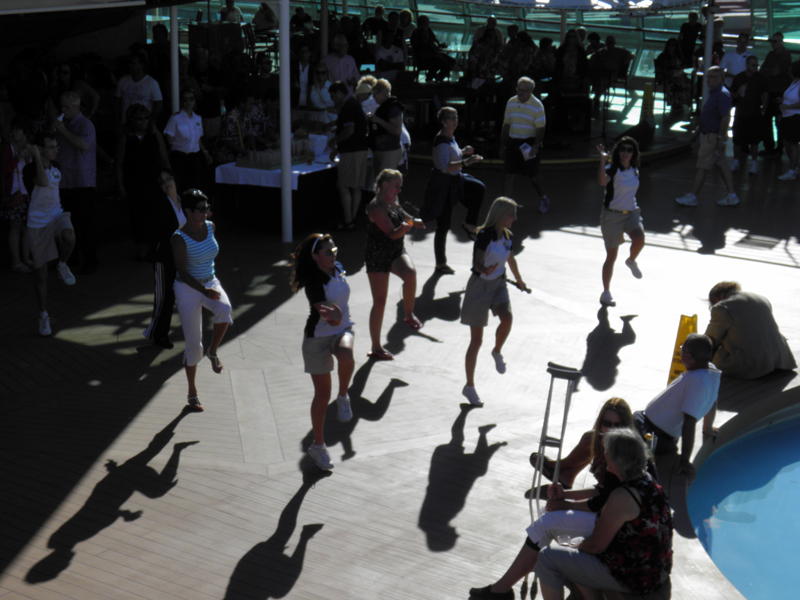 The evening theatre shows were excellent and we could find live music venues throughout the ship nearly any time of the day or evening. 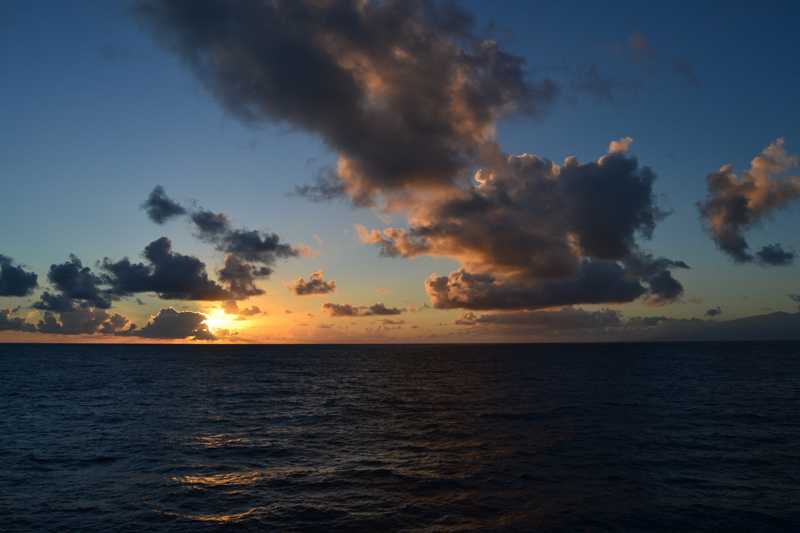 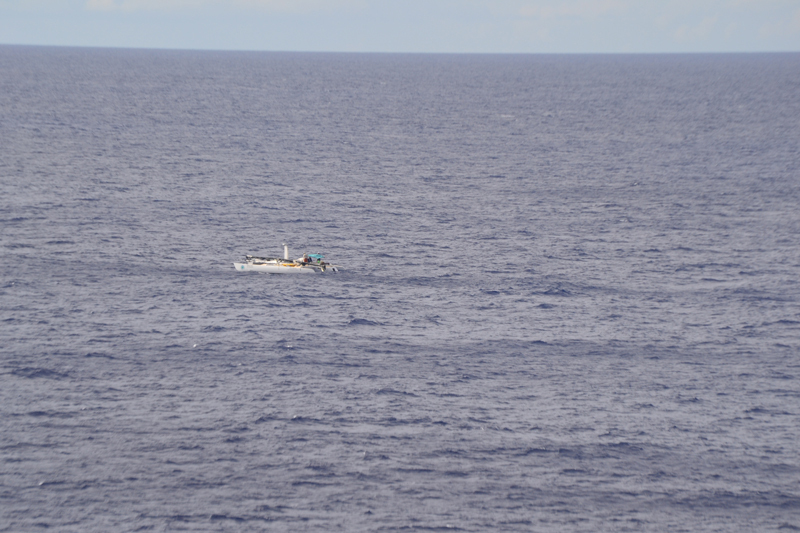 There were a lot of various activities, beautiful sunsets and sunrises to enjoy, fabulous food and the ship even rescued a sailboat that had lost its mast. 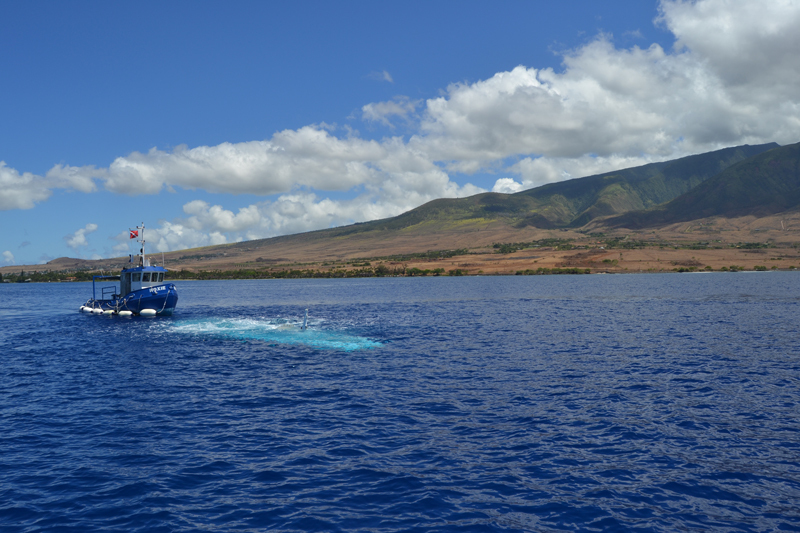 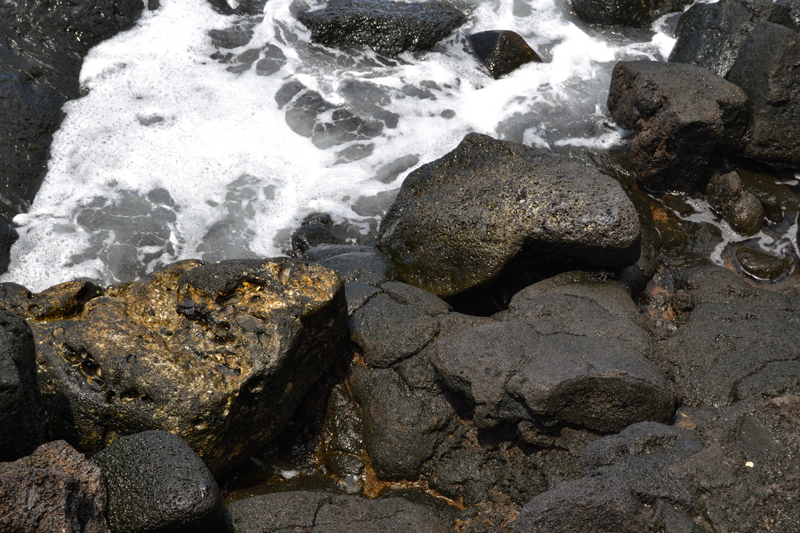 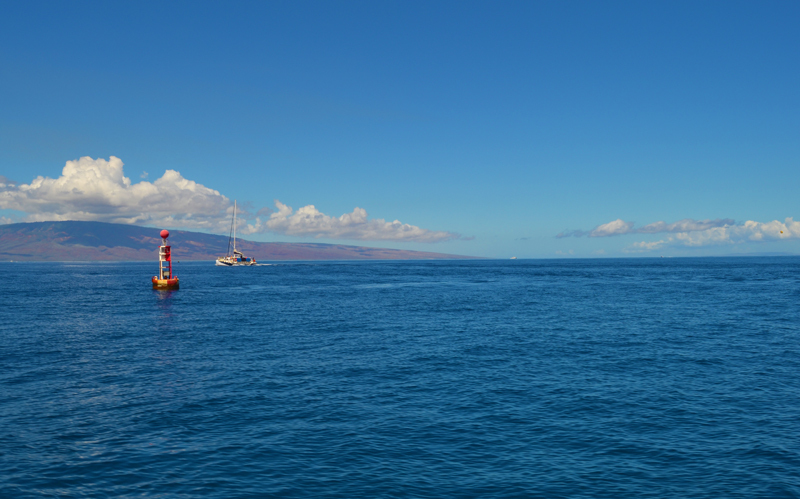 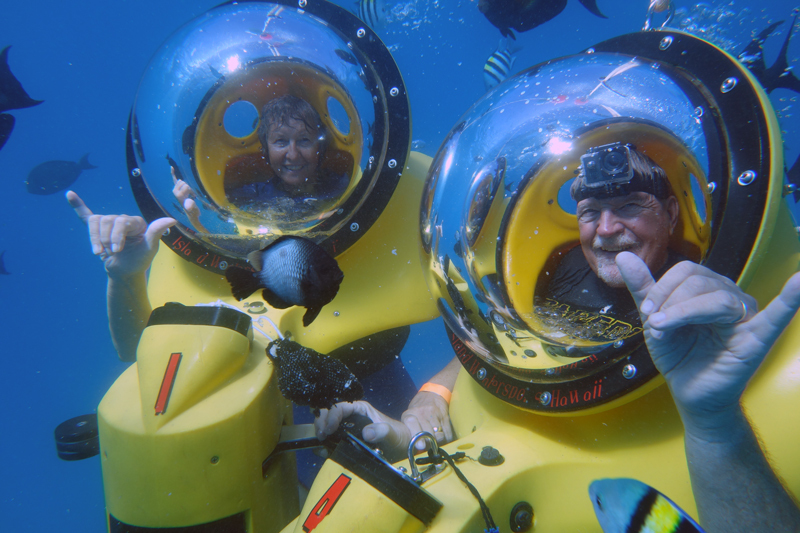 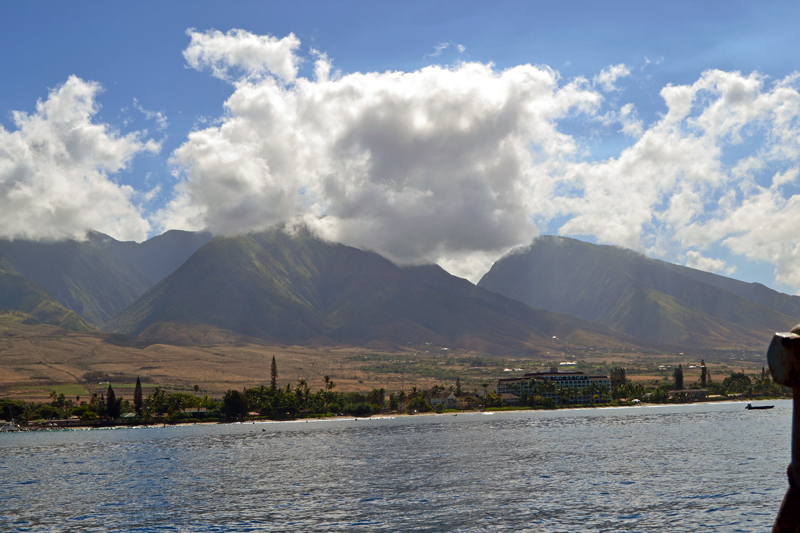 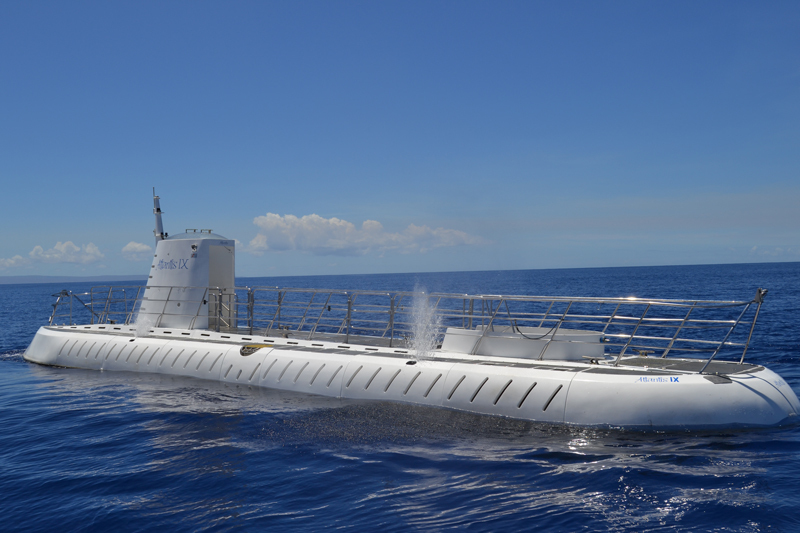 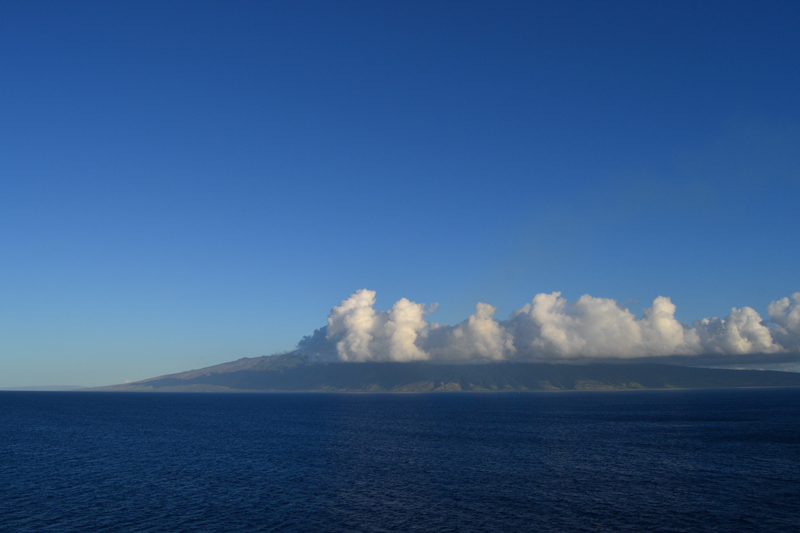 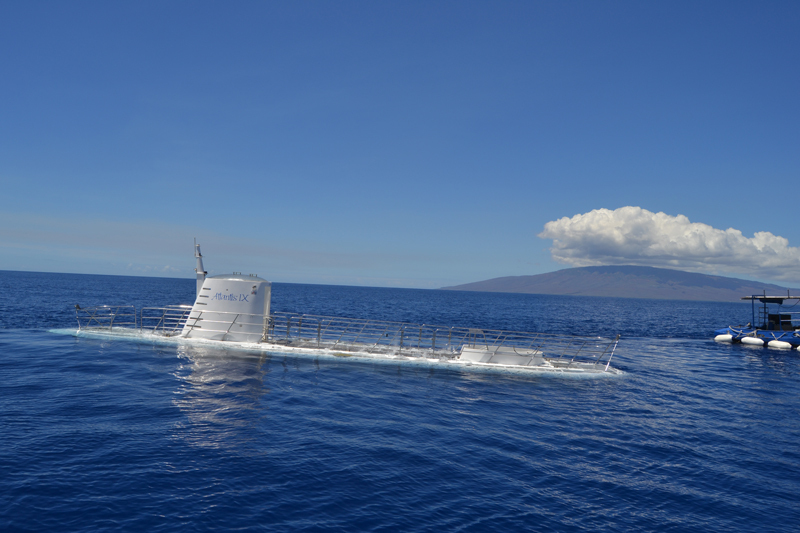 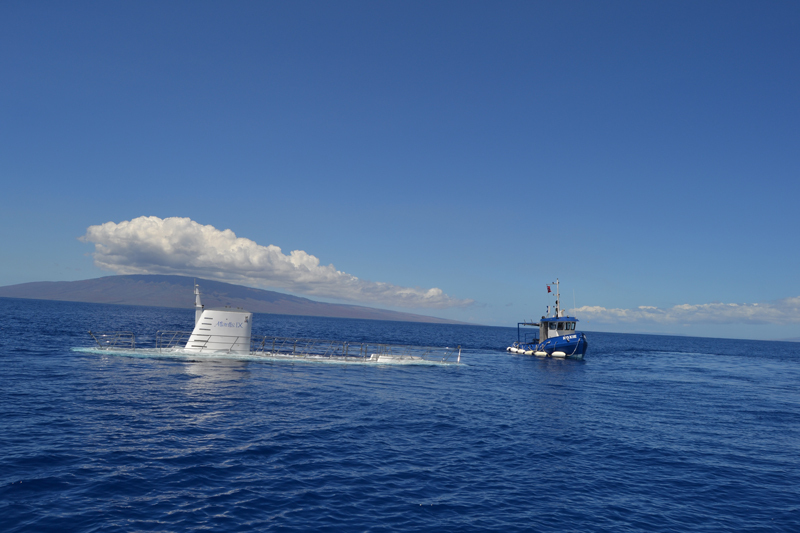 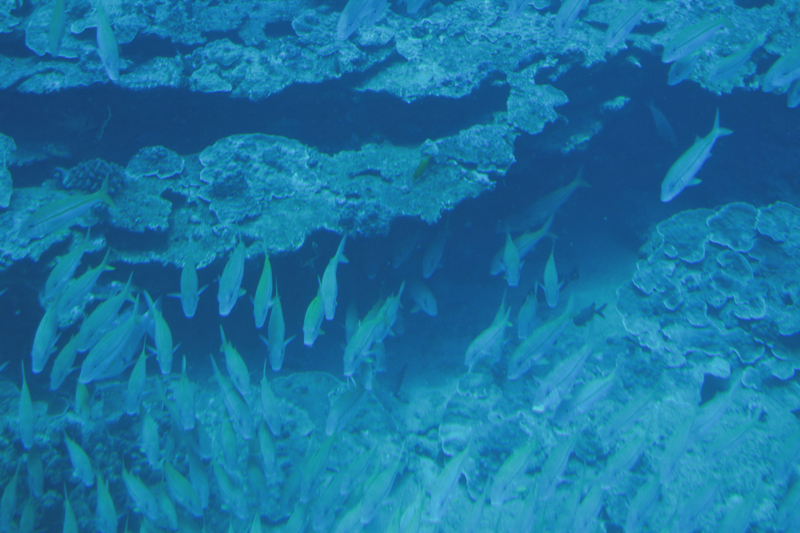 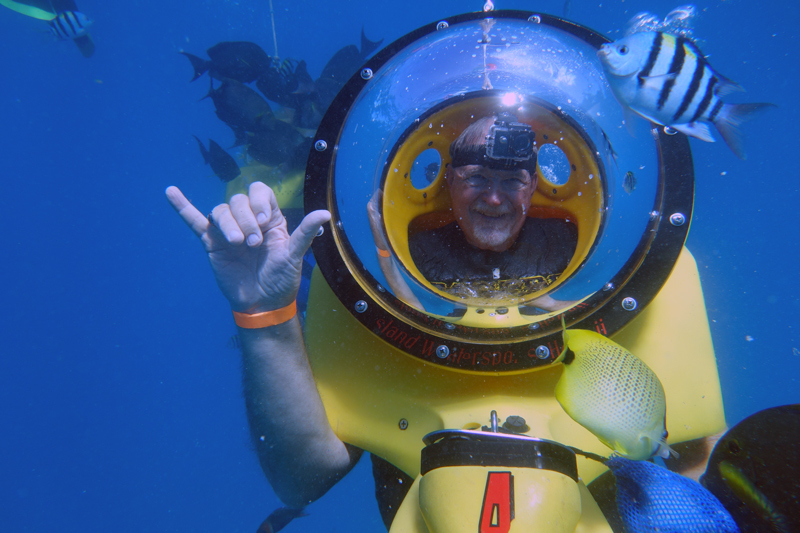 Our first Hawaiian port was Lahaina, Maui, The first day in port we enjoyed a submarine tour of the ocean, viewing a variety of marine life. 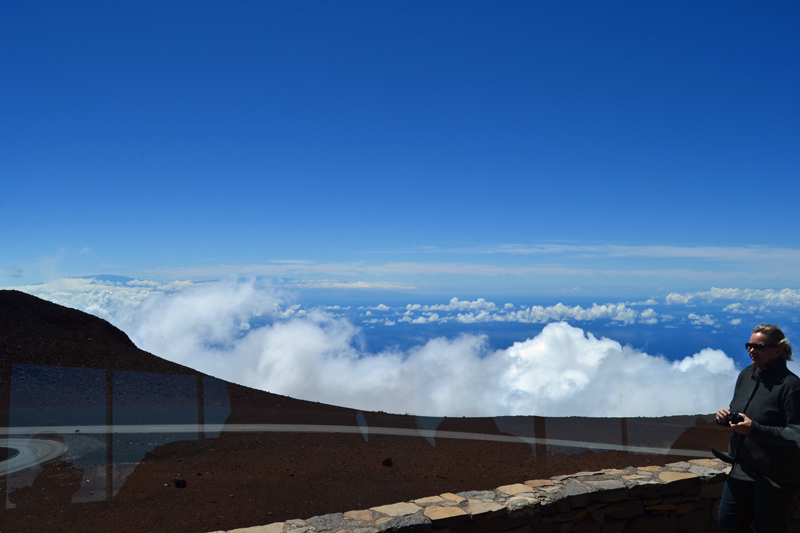 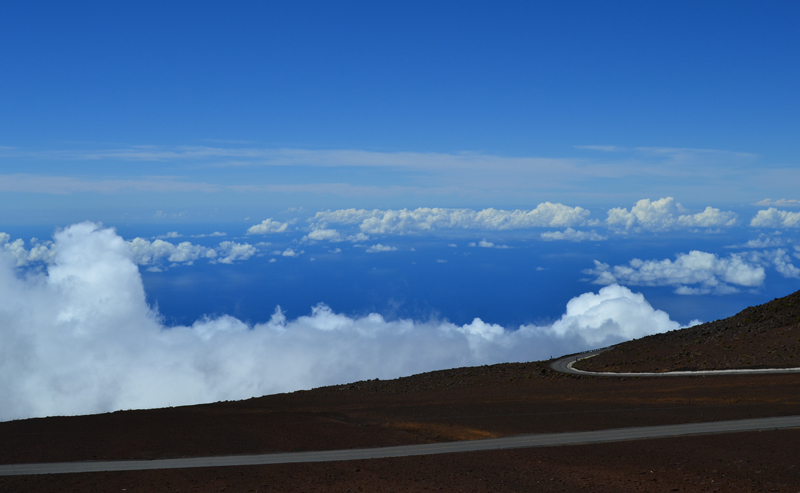 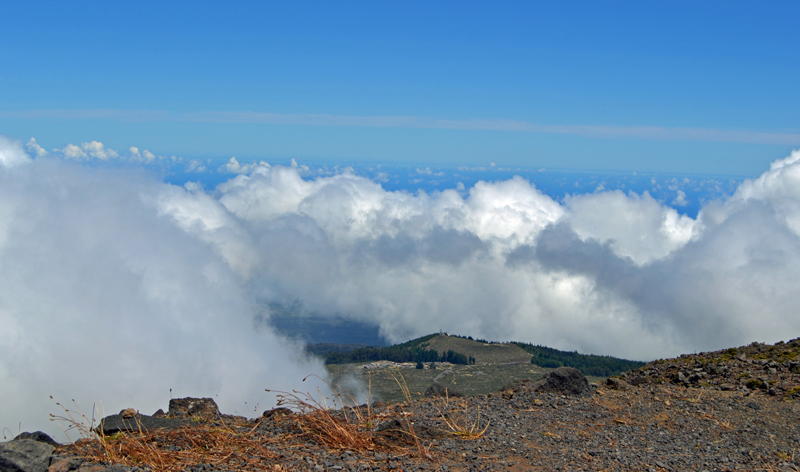 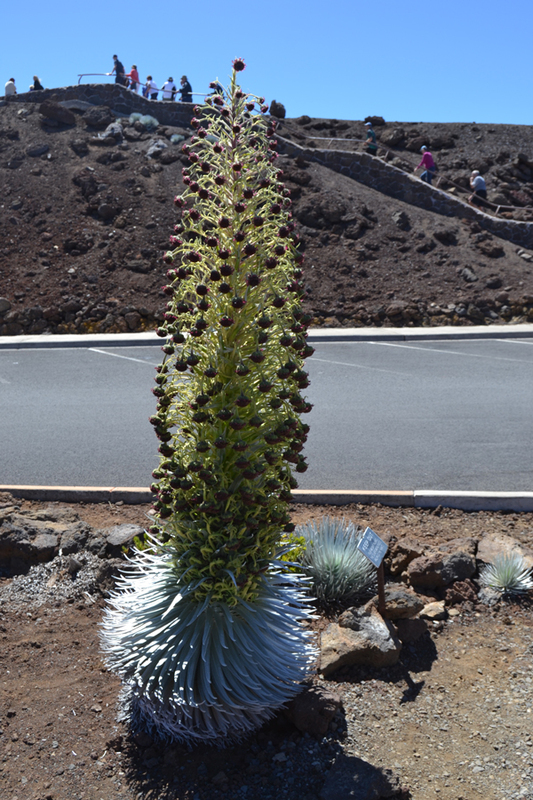 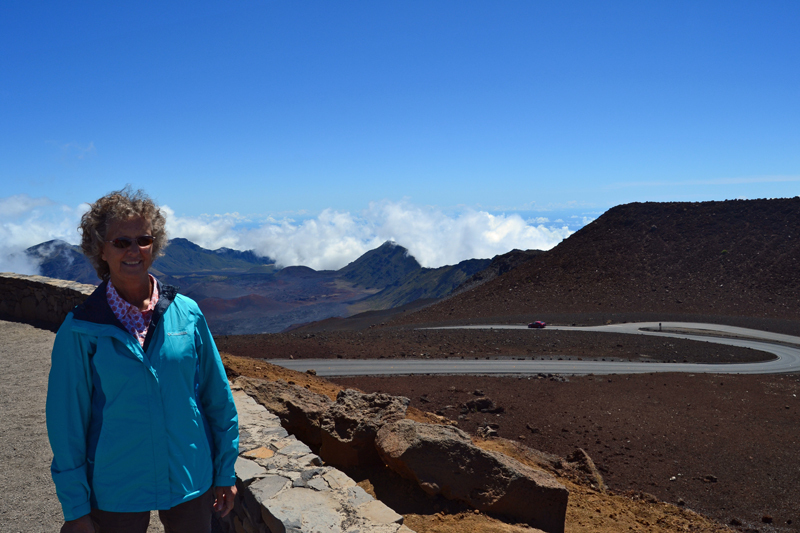 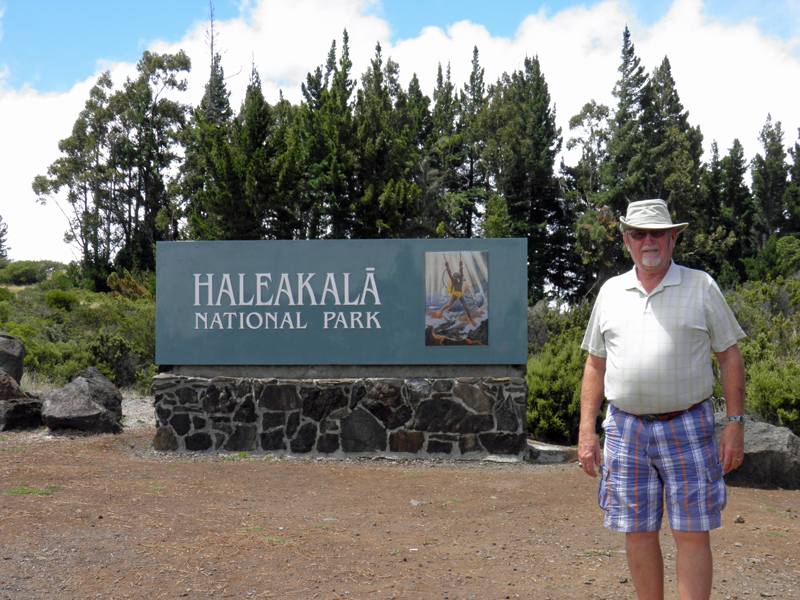 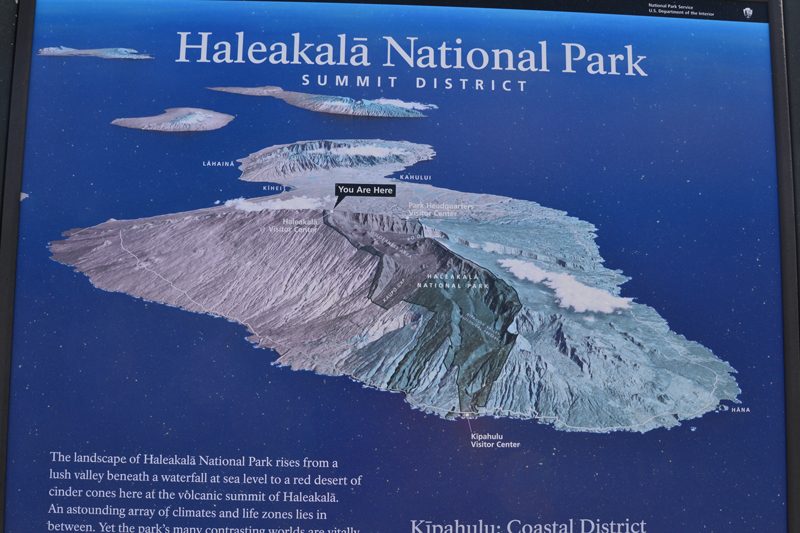 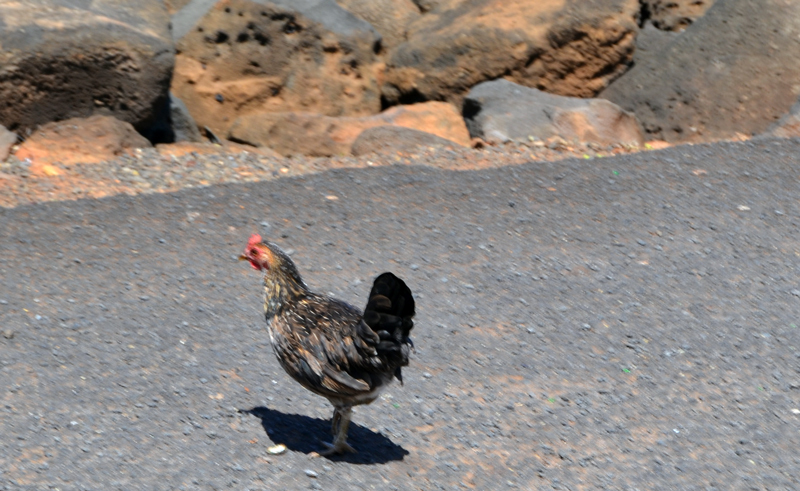 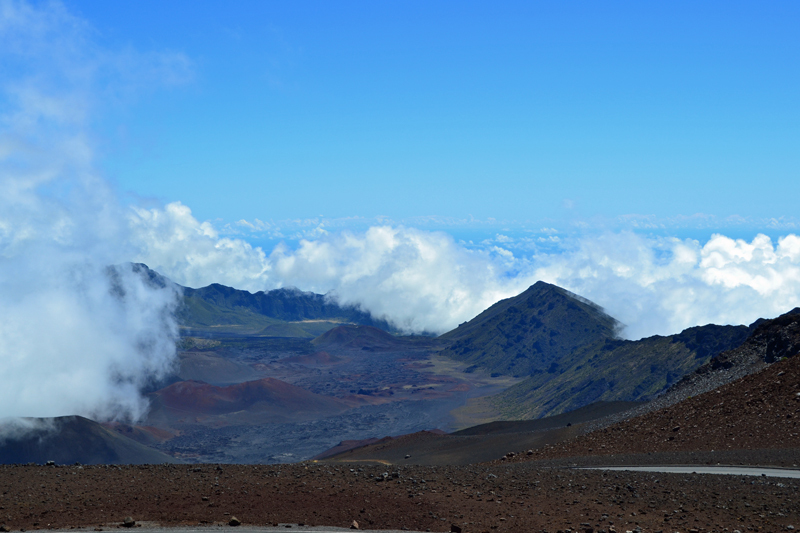 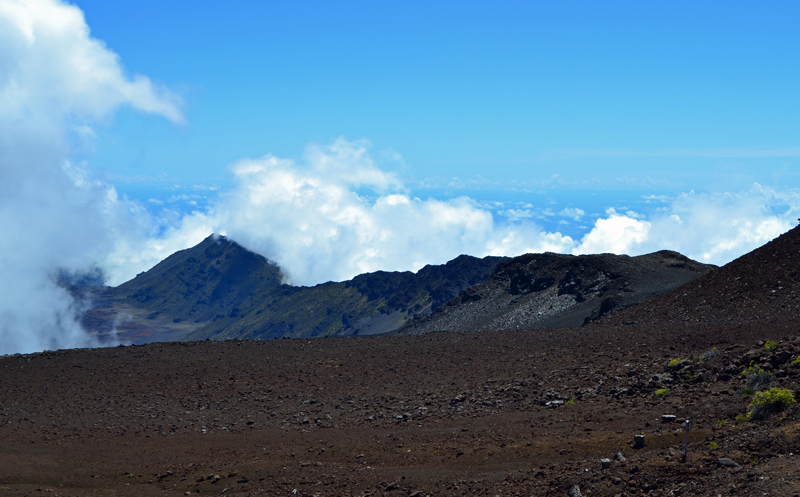 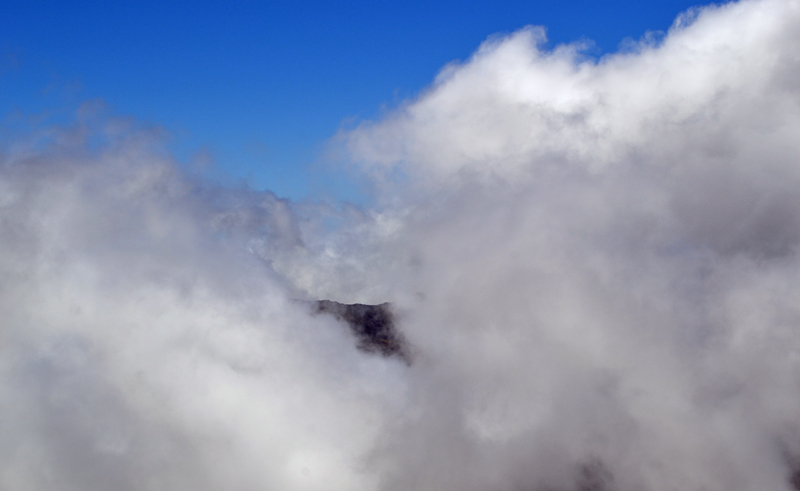 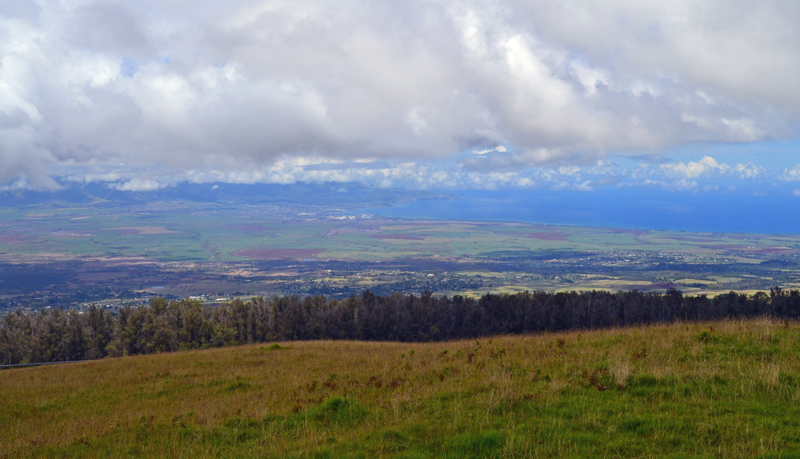 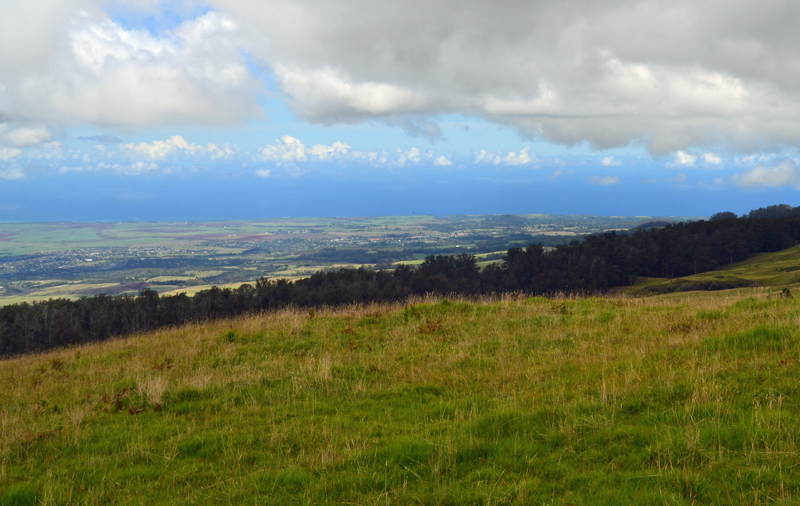 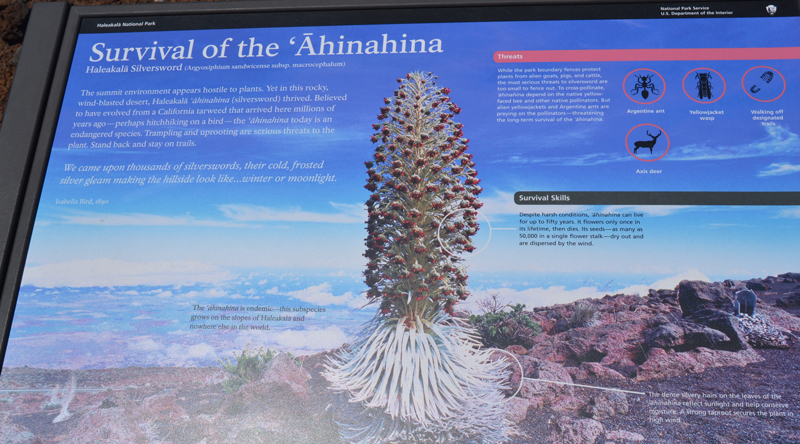 The second day we drove to the peak of Haleakala Volcano in Haeakala Nationial Park. 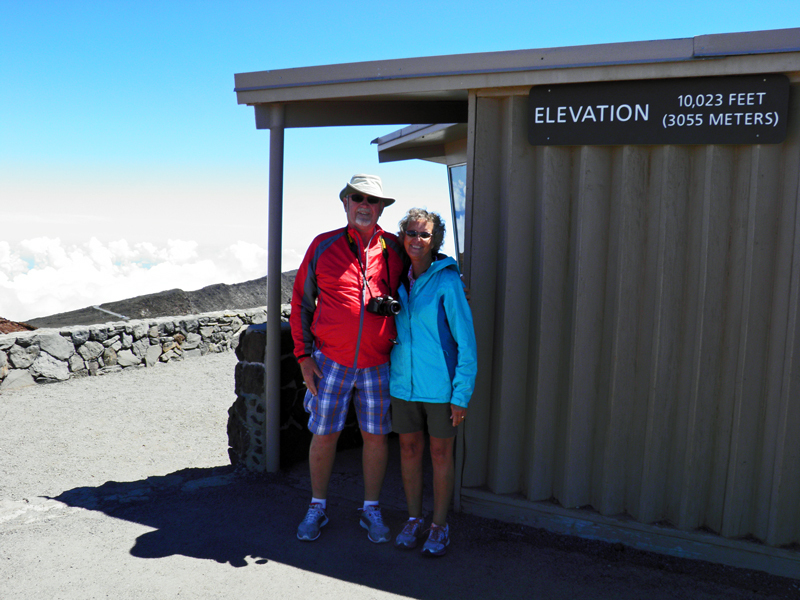 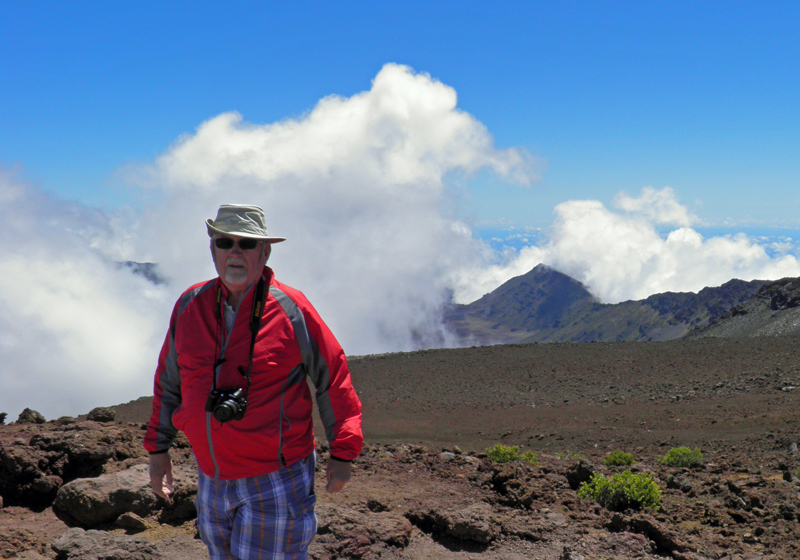 Although the temerature dropped by more than 20 degrees by the time we reached the summit at an evevation of 10,023 feet, it was a beautiful clear day and the scenery was awesome. 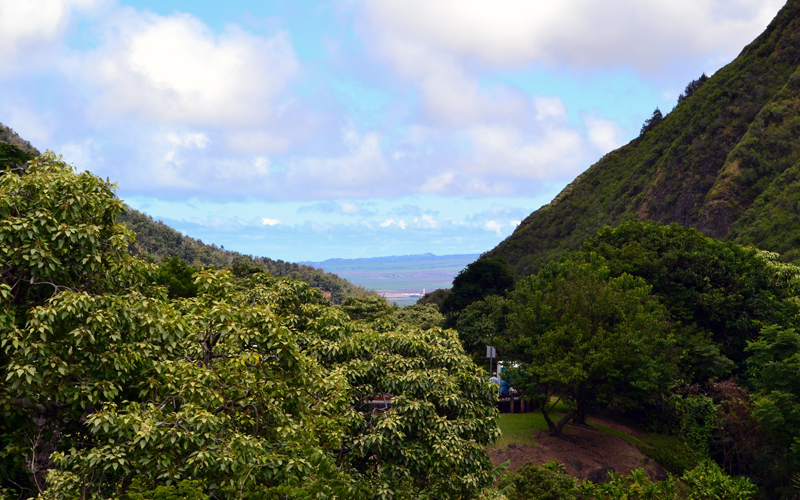 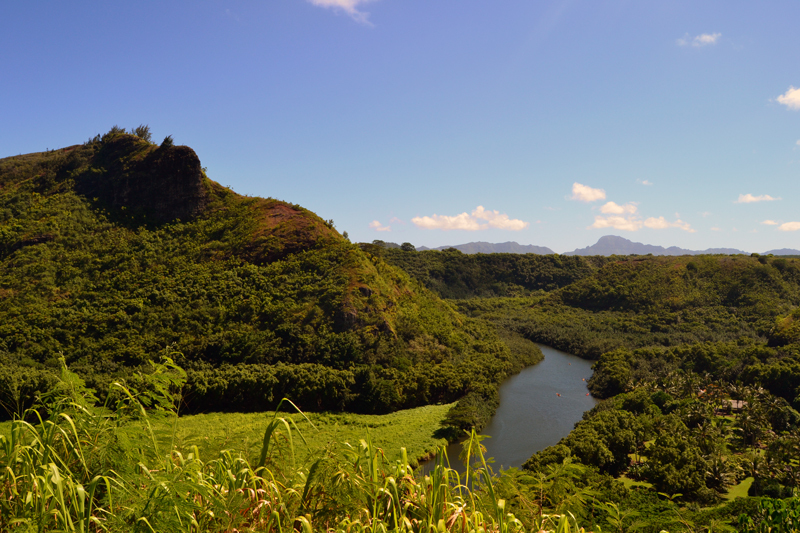 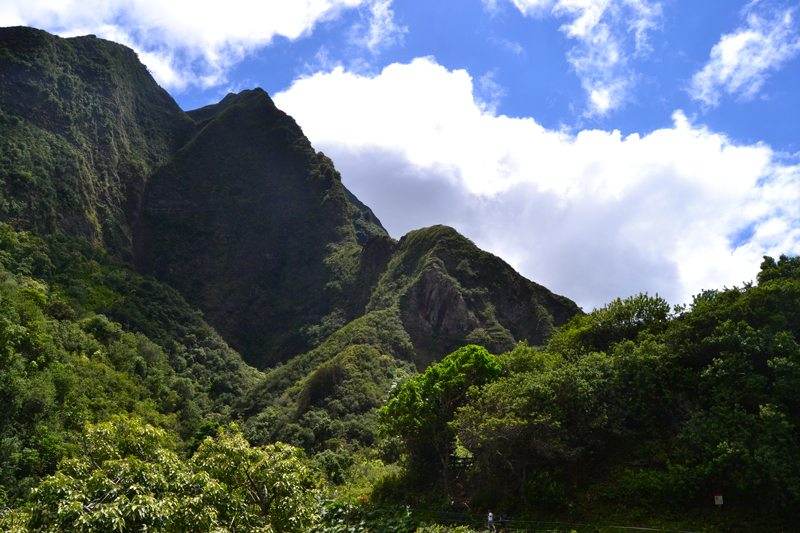 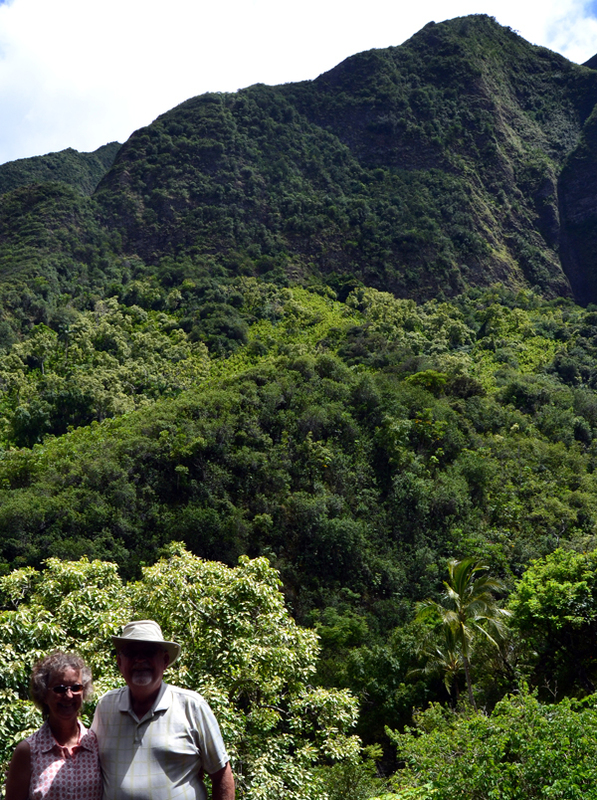 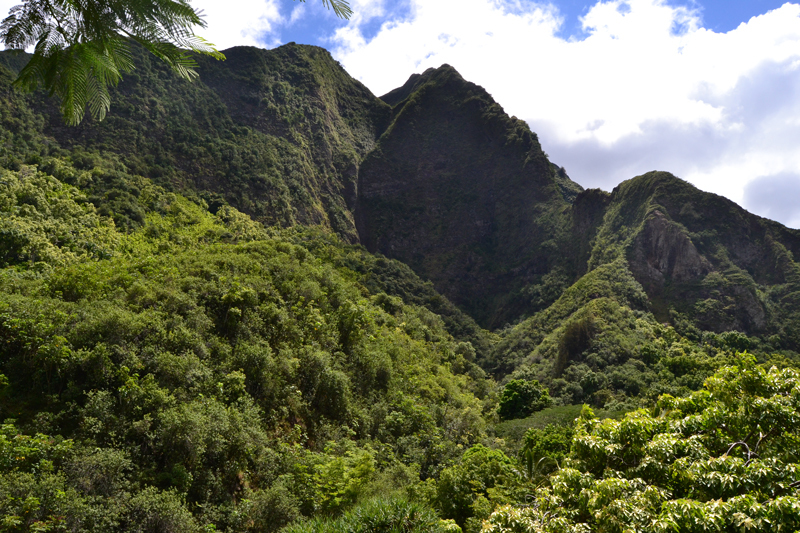 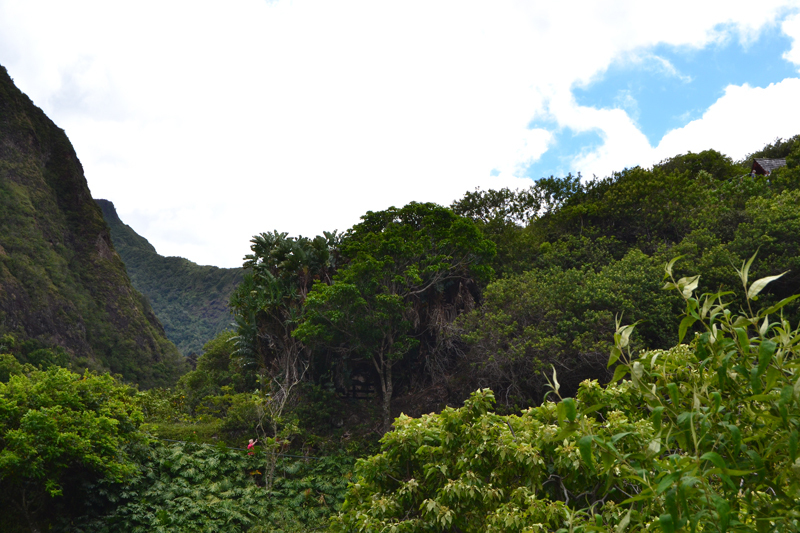 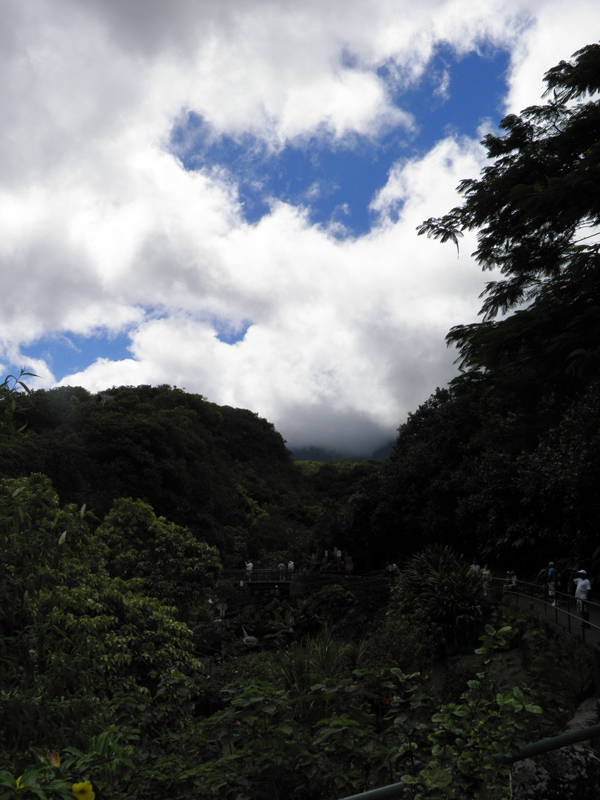 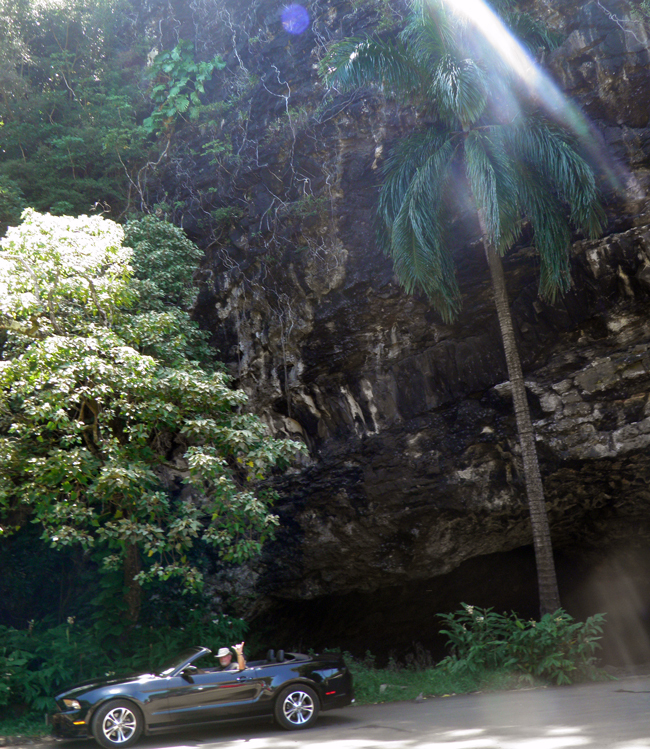 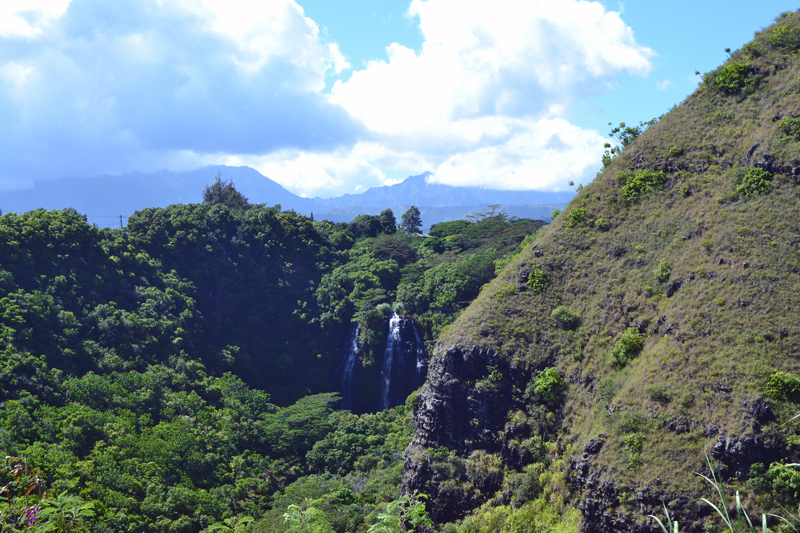 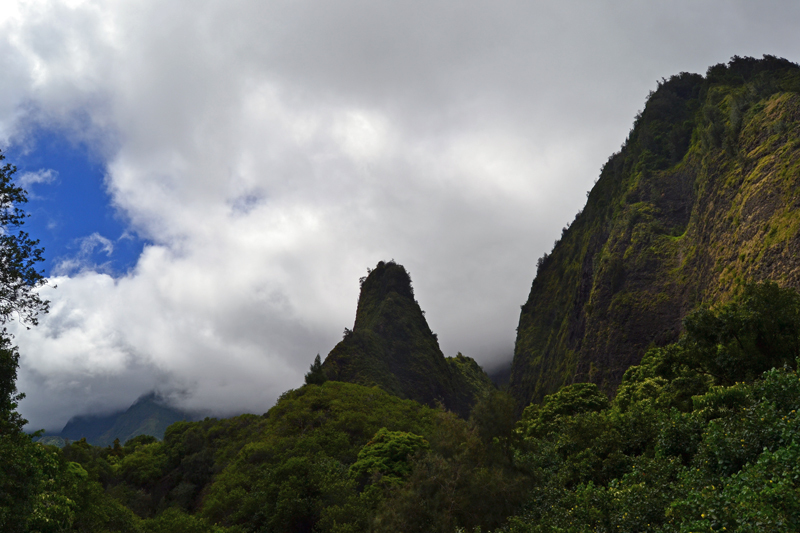 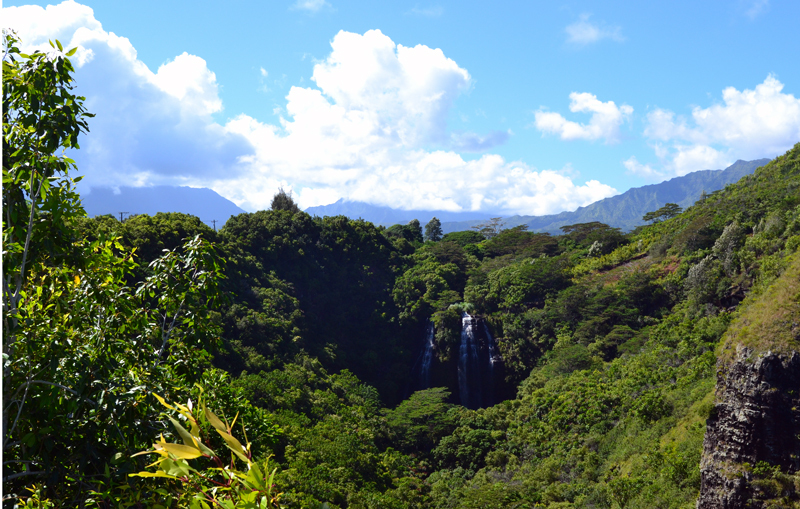 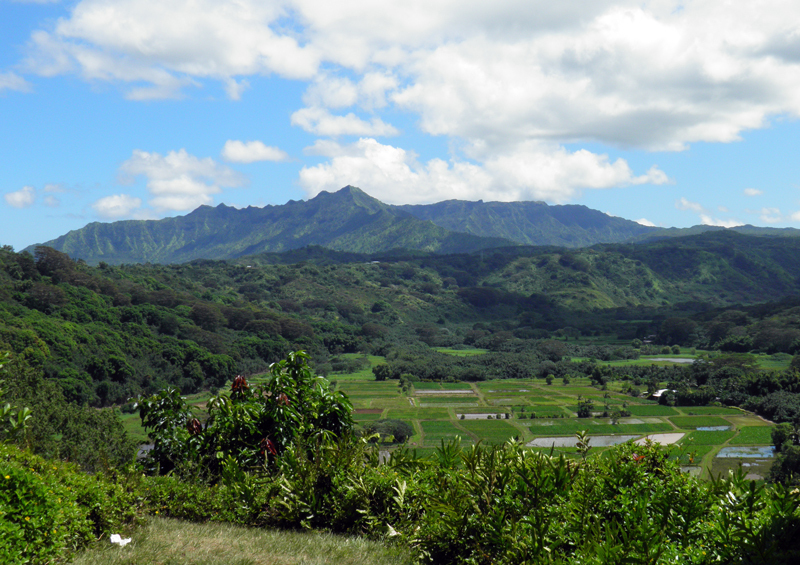 From there we drove to Iao Valley State Park where towering emerald peaks guard the lush valley floor. 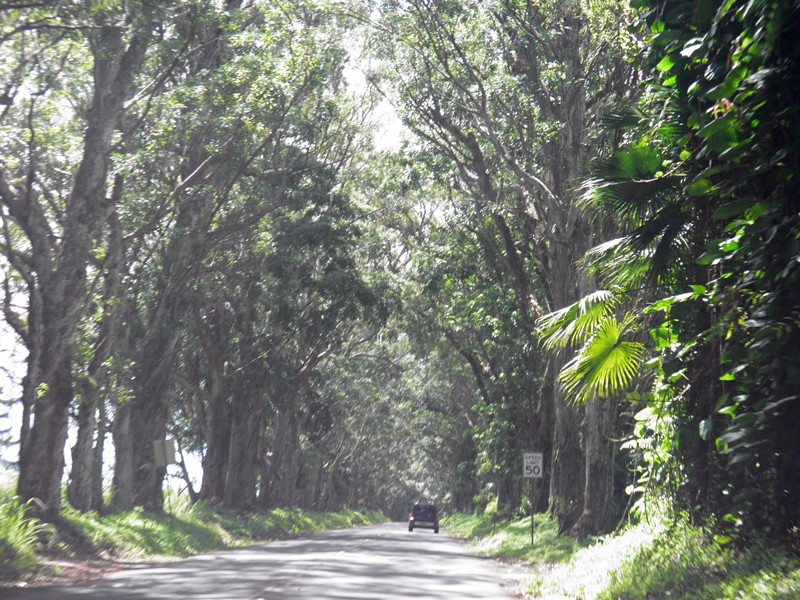 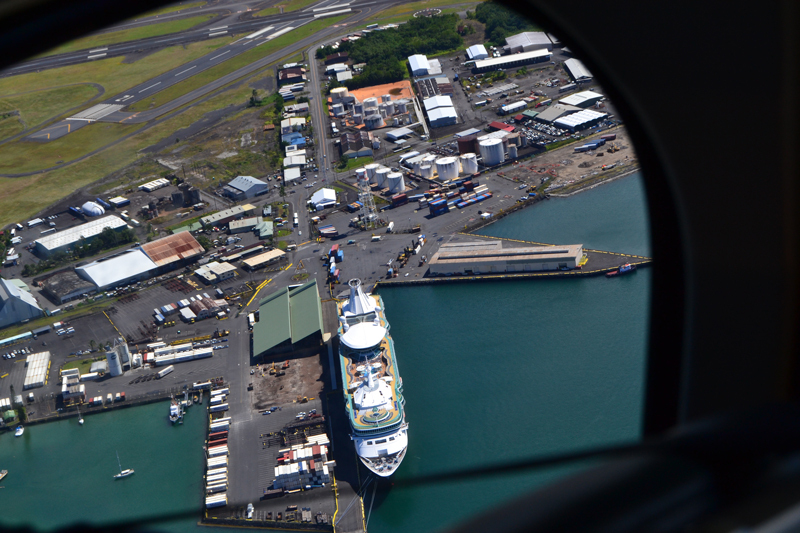 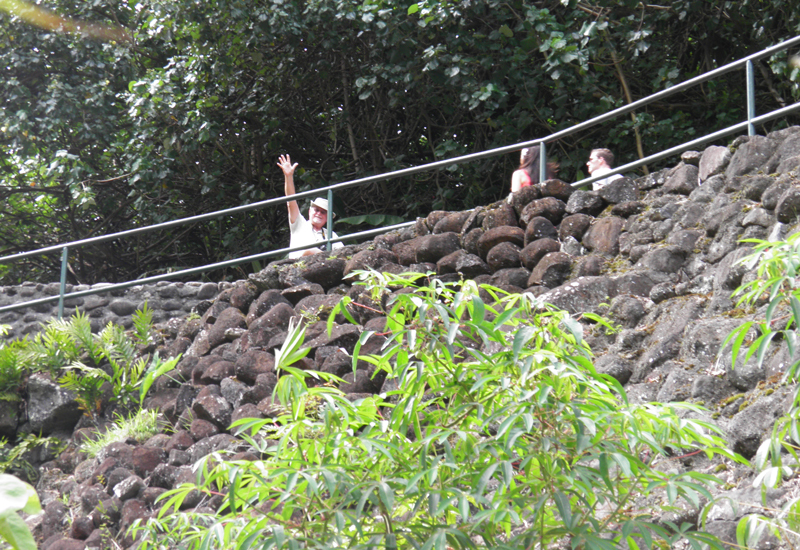 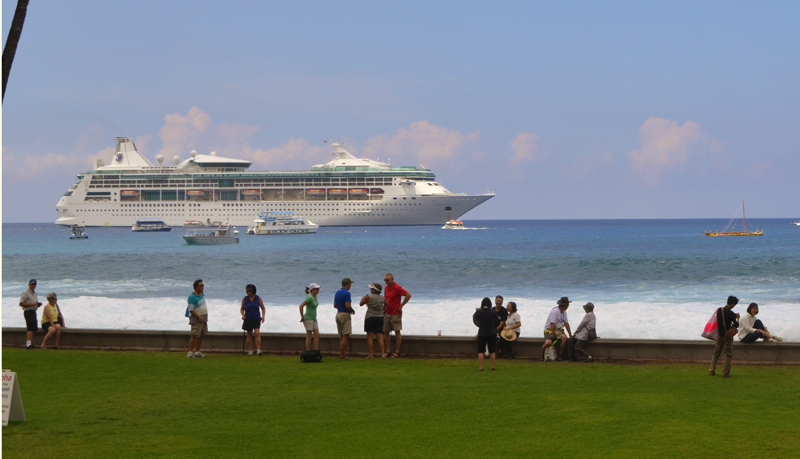 Our next port was Hilo, on the east side of the Big Island. 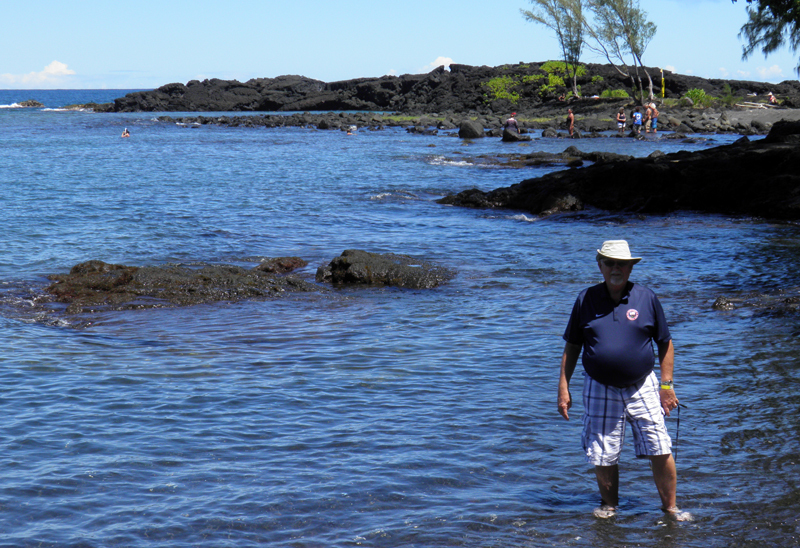 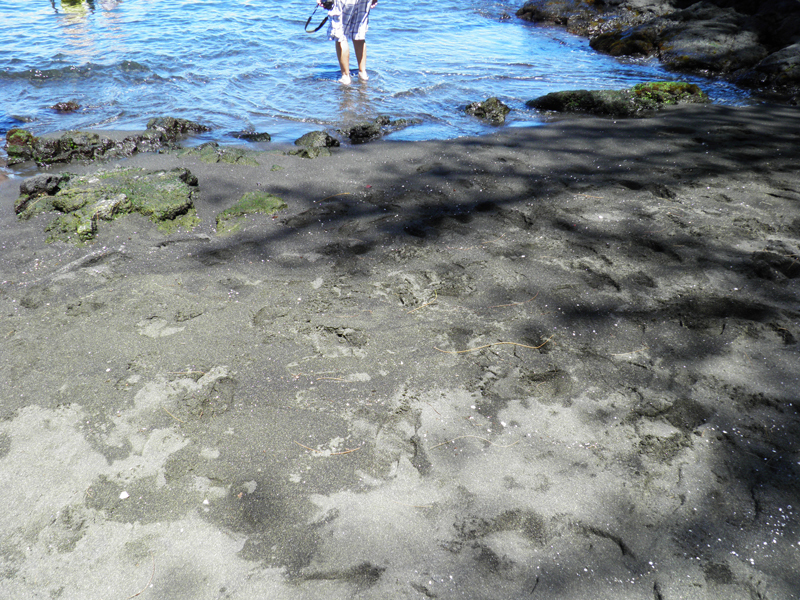 We spent the morning on the "Hoppa On Hoppa Off Trolley", with several interesting stops including Richardson Beach with its famous black sand beaches. 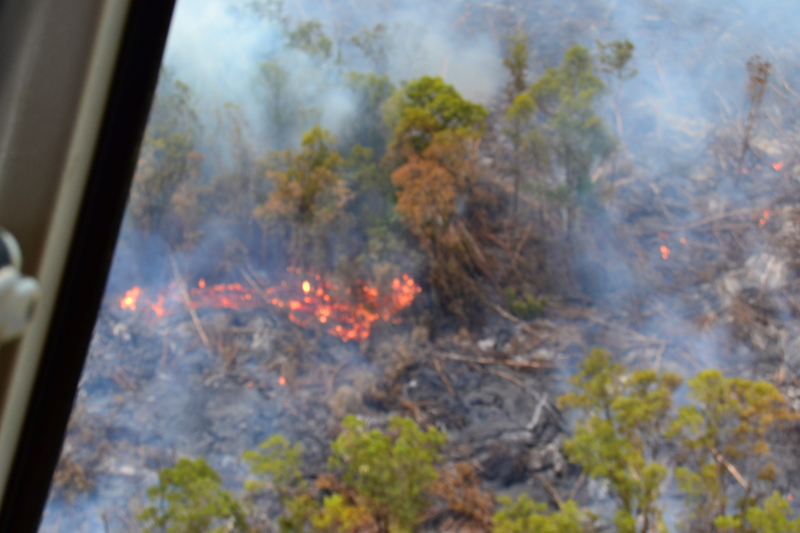 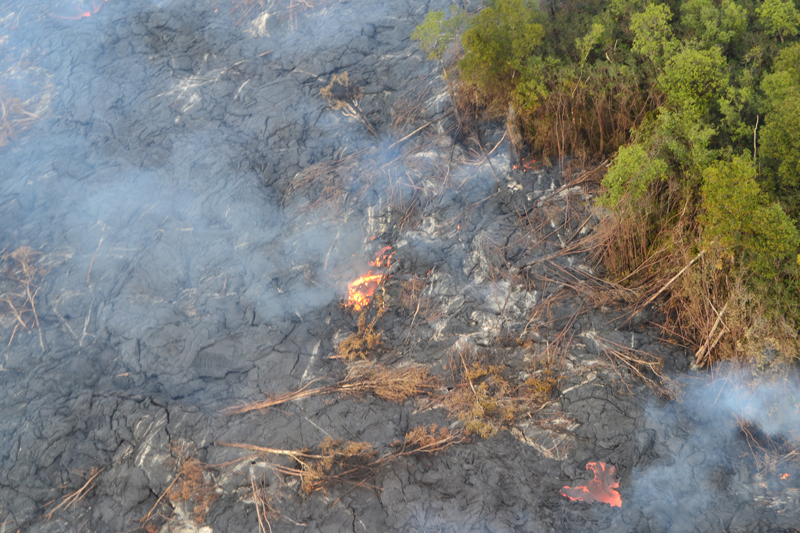 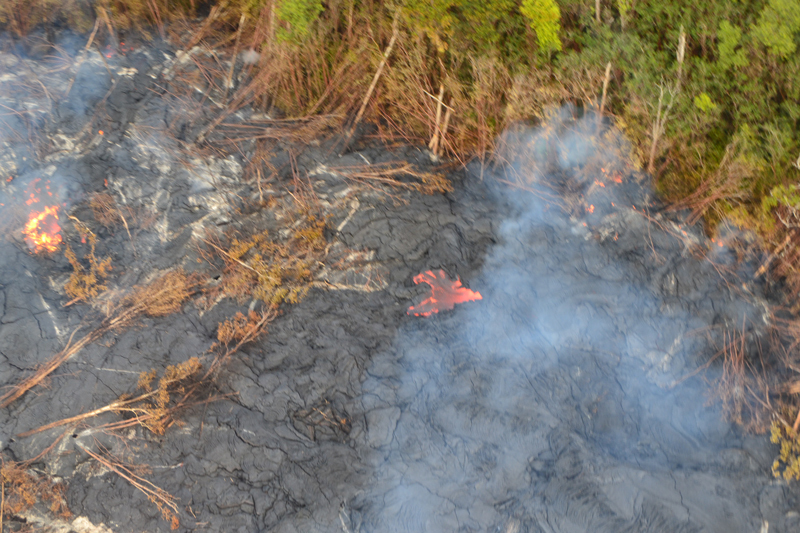 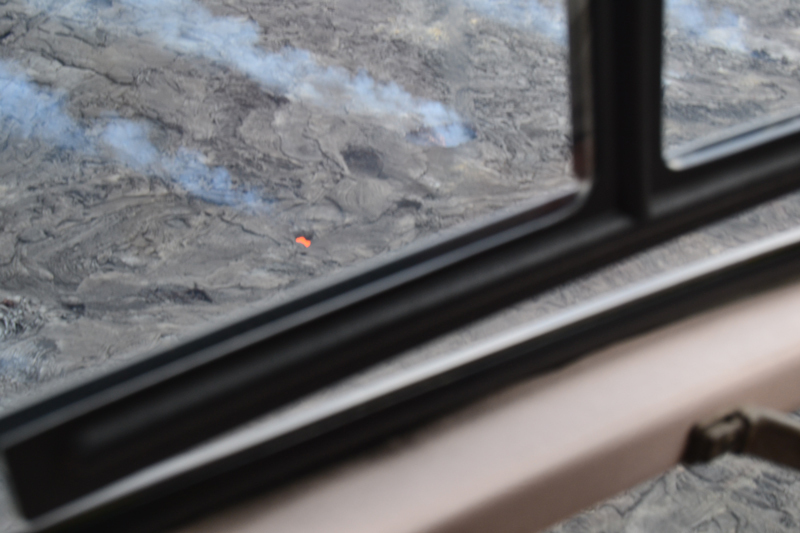 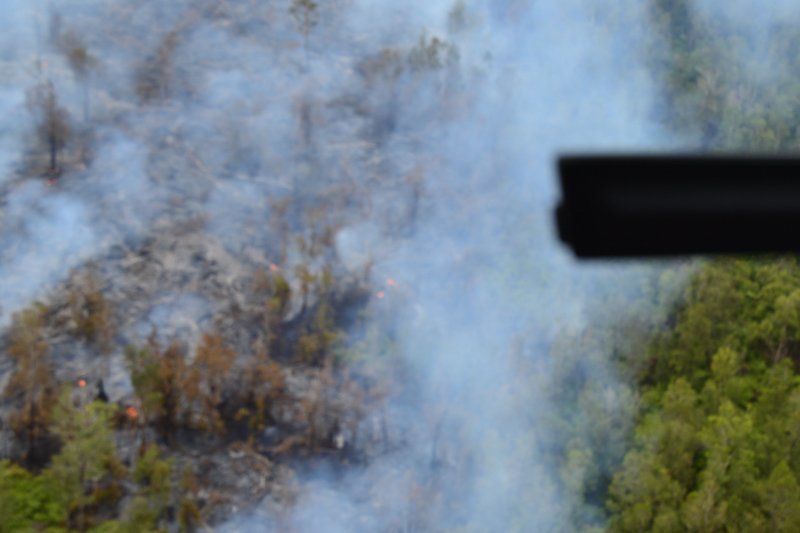 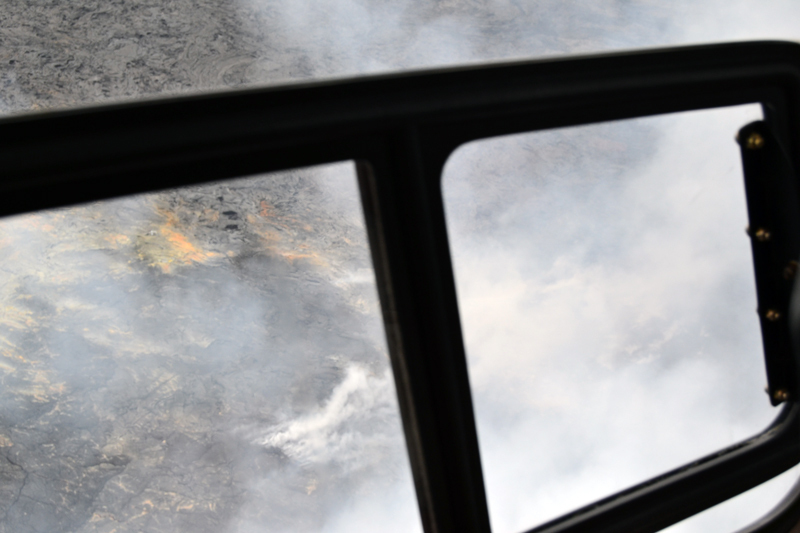 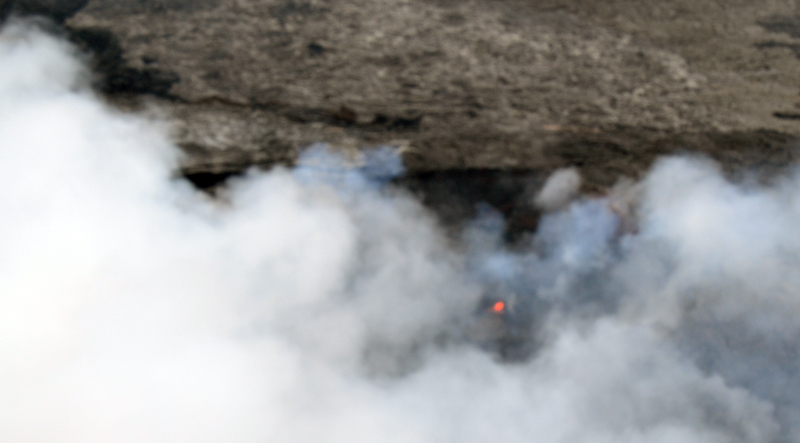 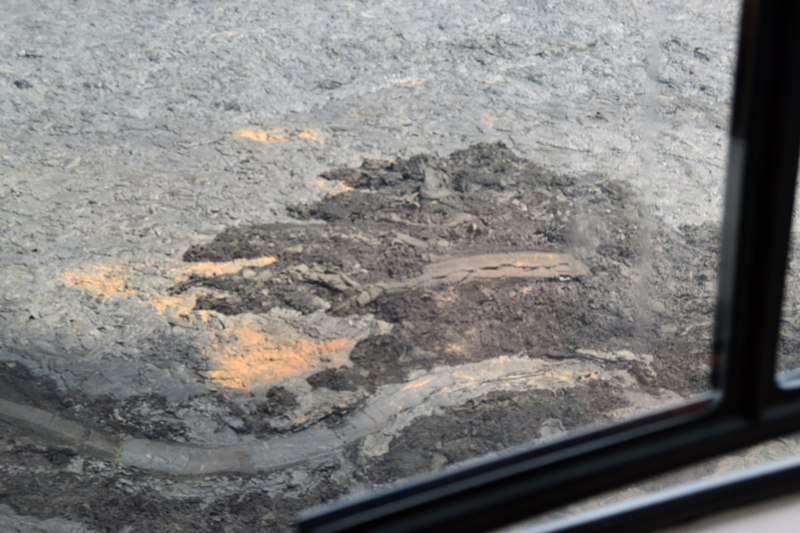 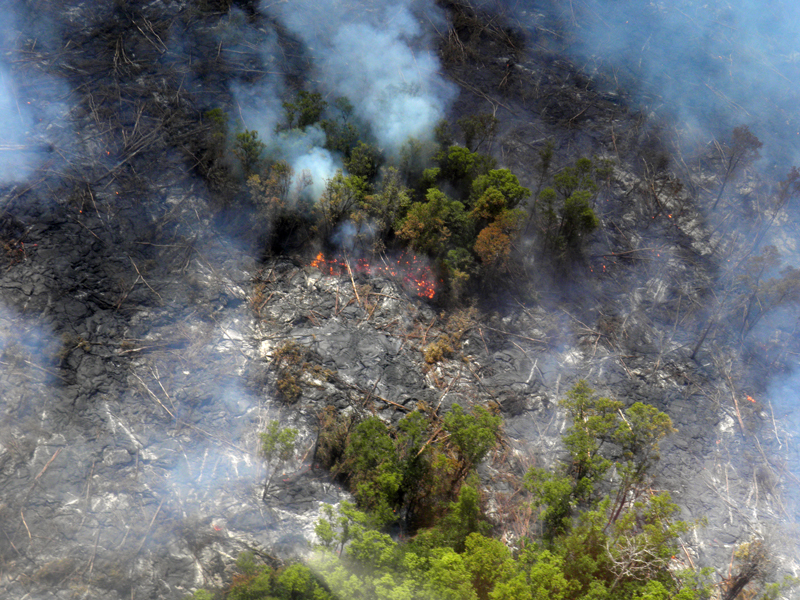 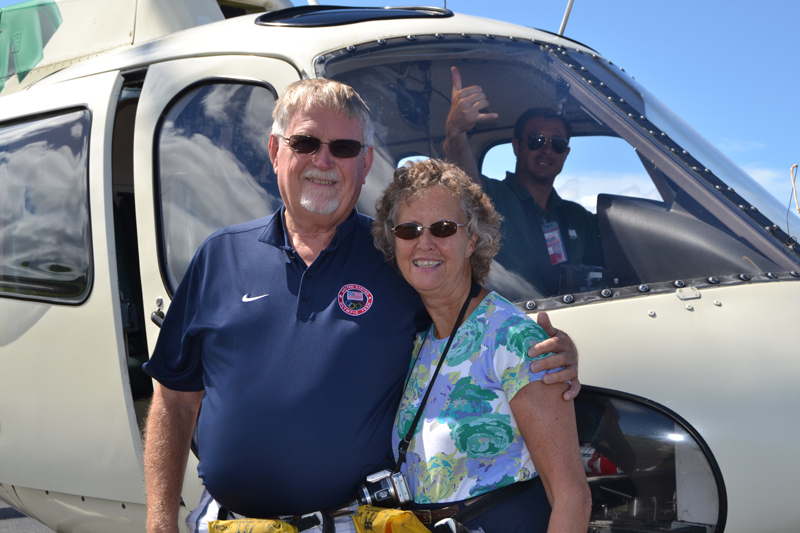 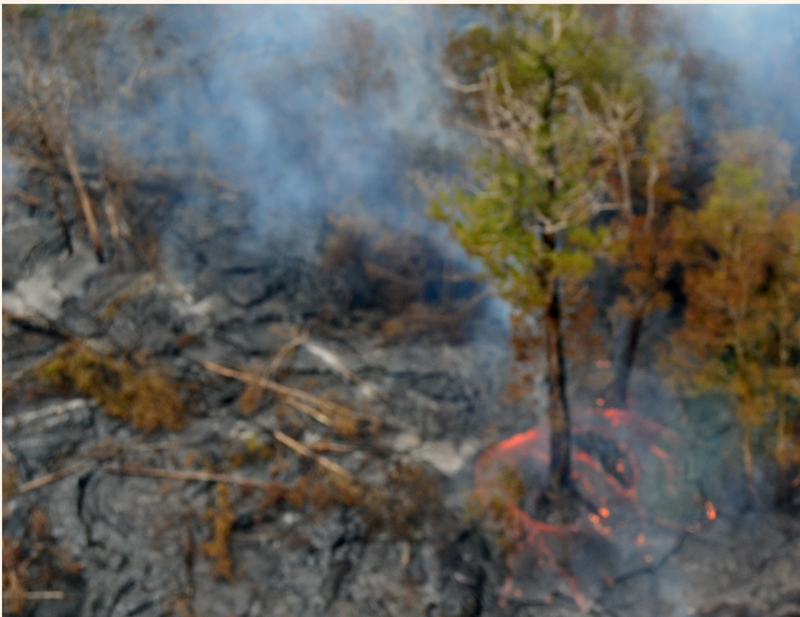 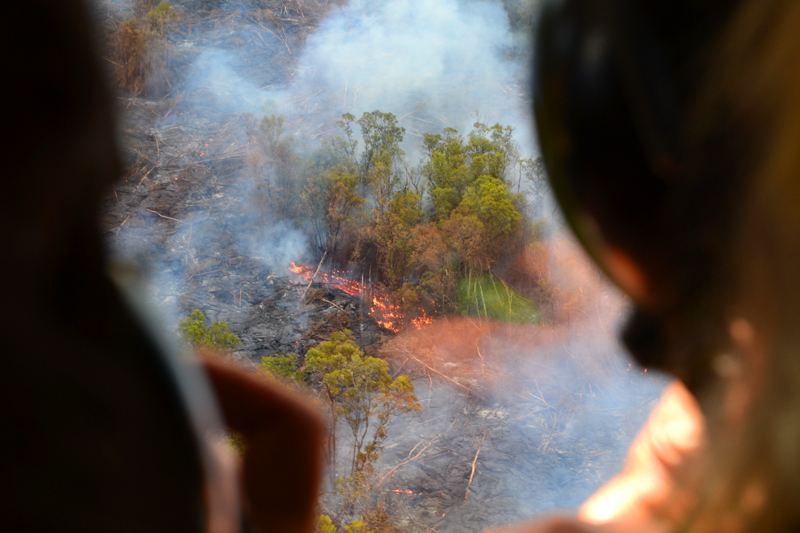 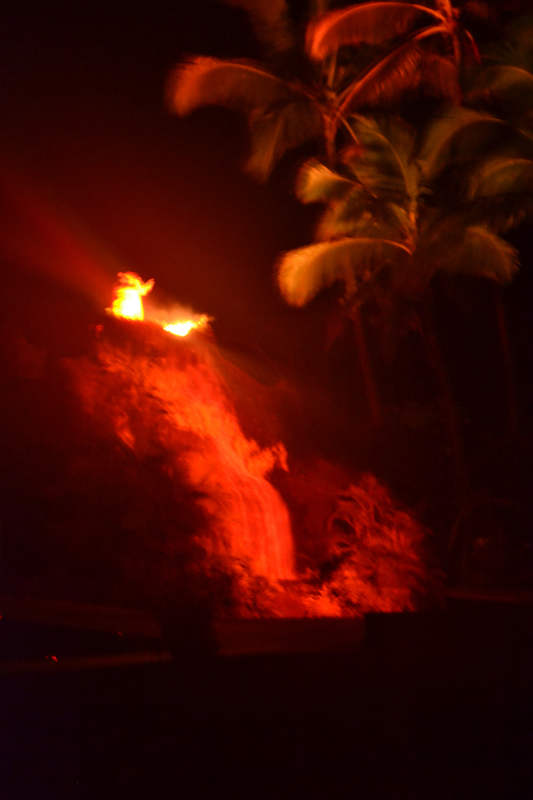 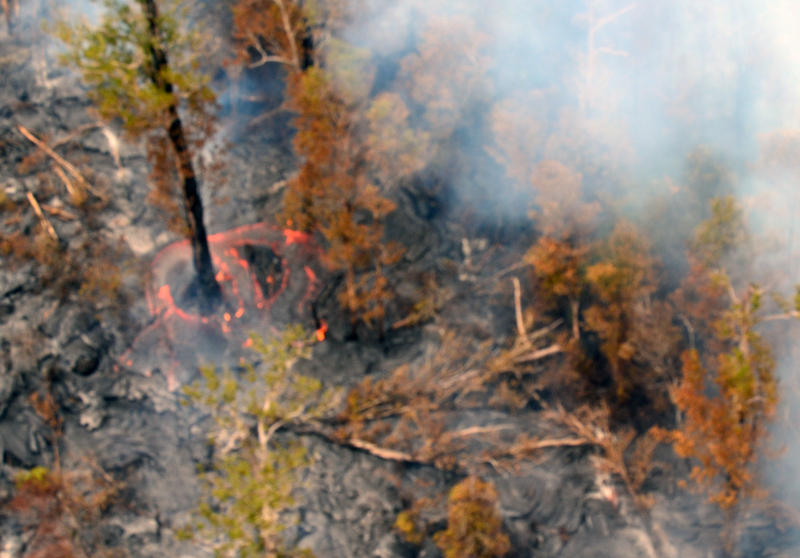 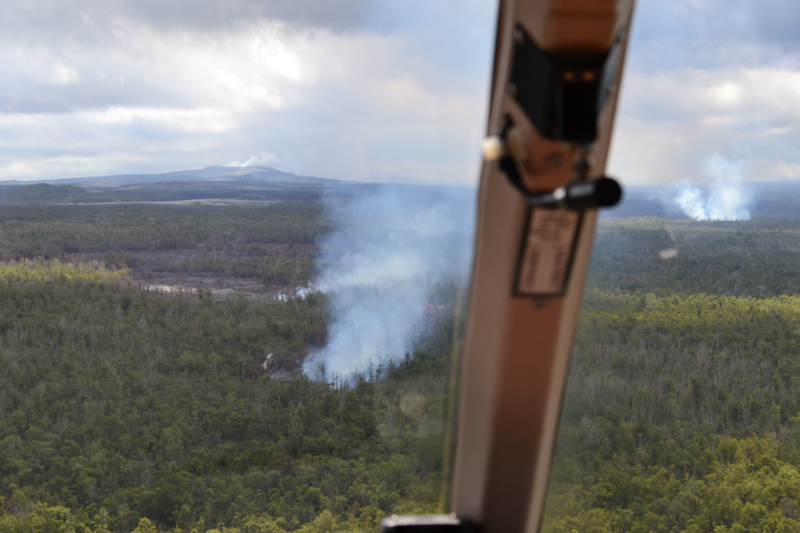 In the afternoon we took a helicopter tour of the very active Kilauea Volcano which was just amazing. 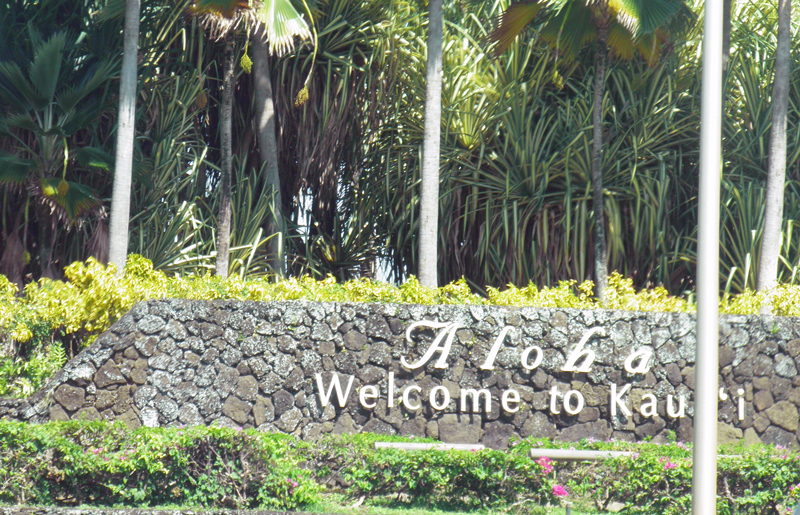 Next stop, Kailua Kona, on the west side of the Big Island. 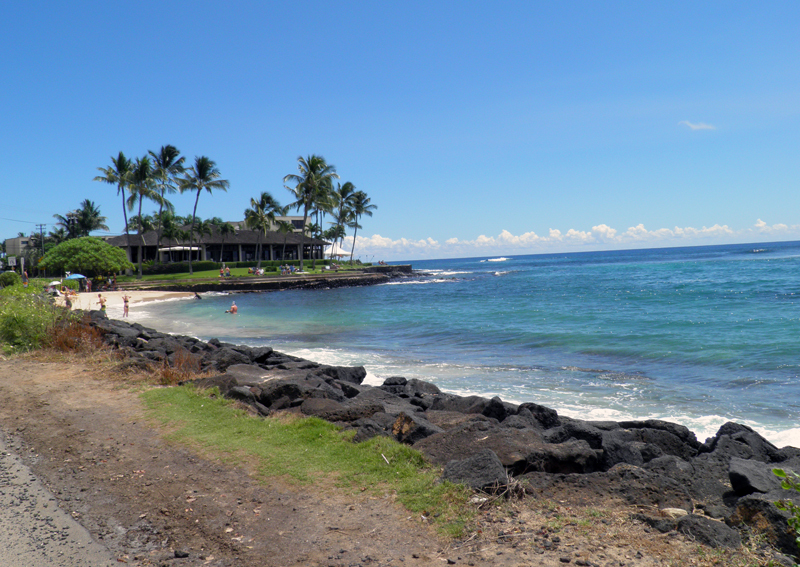 We spent the day browsing the shops, and enjoying a delicious lunch at a café on the beach. 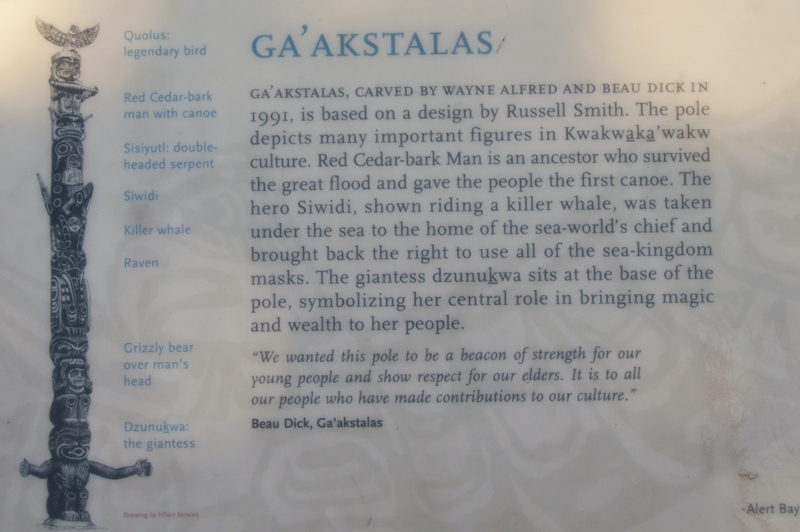 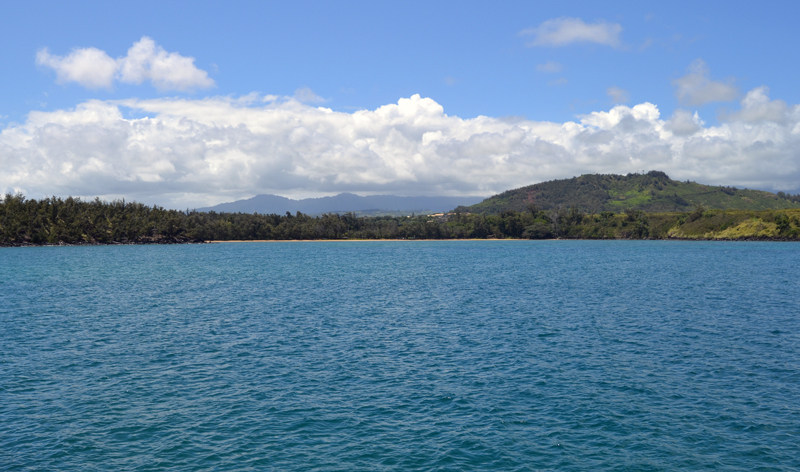 Our next port was Nawiliwili, Kauai. 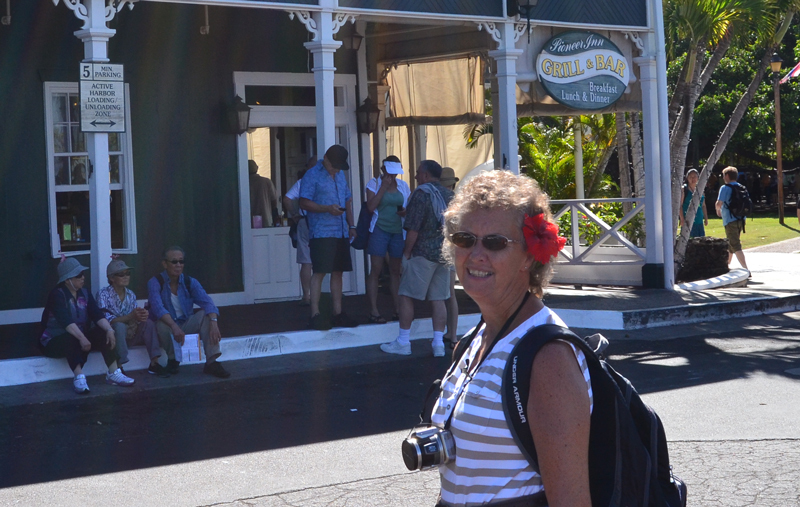 We took an afternoon trolley tour, learning some of the history of the island and making note of things we might want to do when we returned after the cruise. 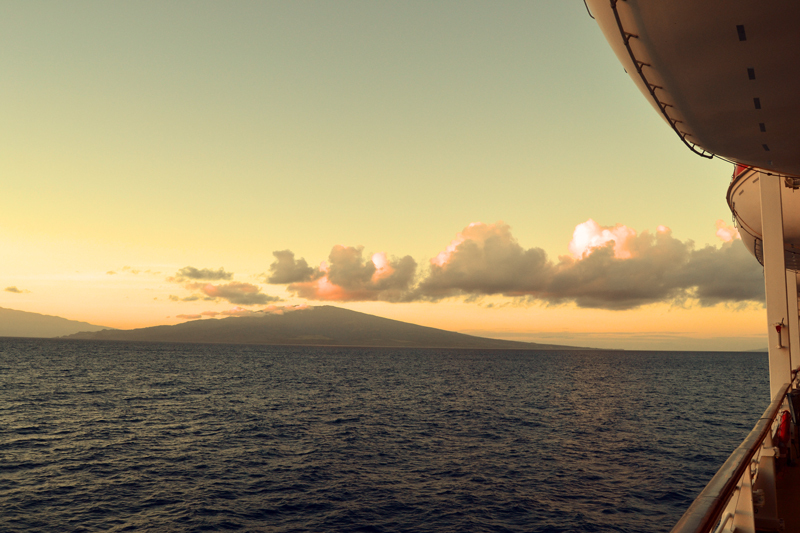 Each island and port was quite unique and beautiful. 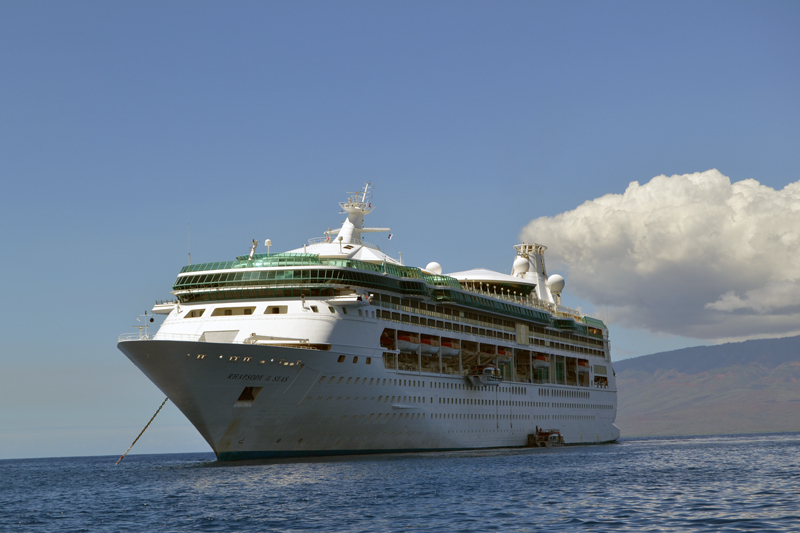 Our final port was Honolulu, Oahu. 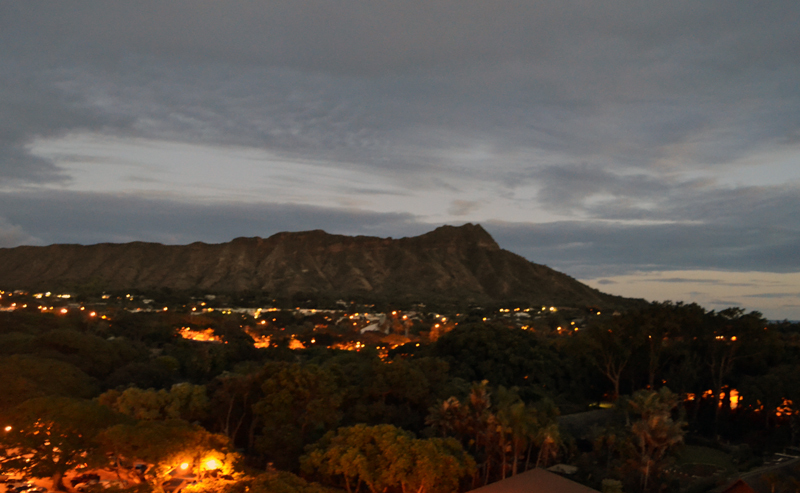 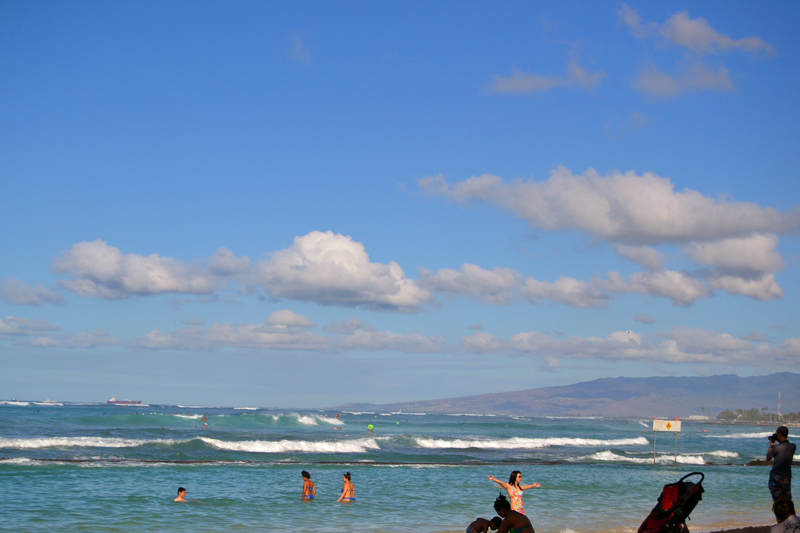 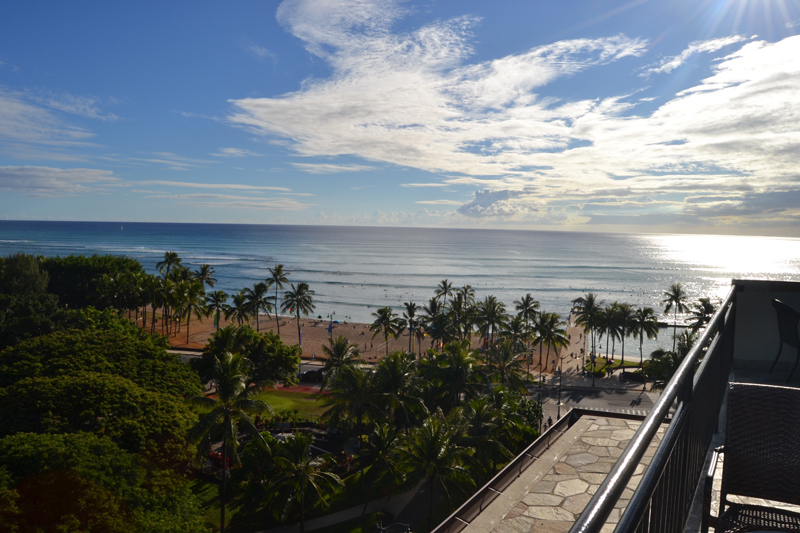 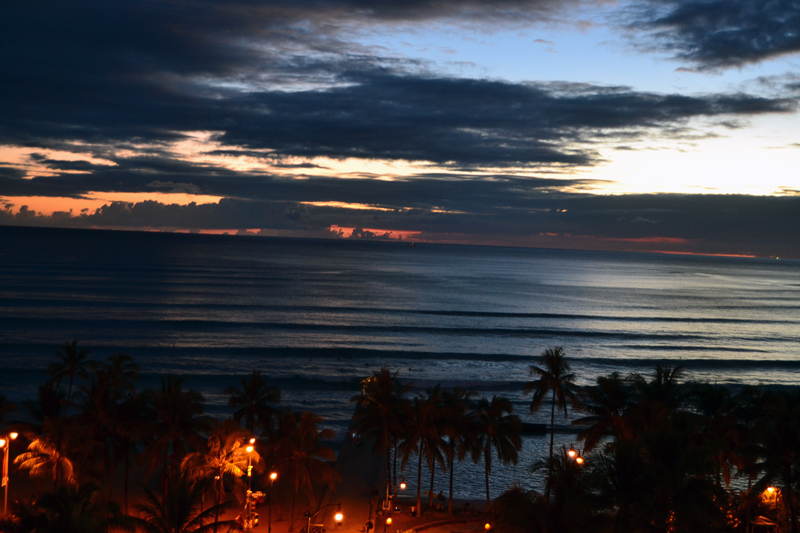 We spent 2 days at a hotel with a beautiful view of Waikiki Beach. 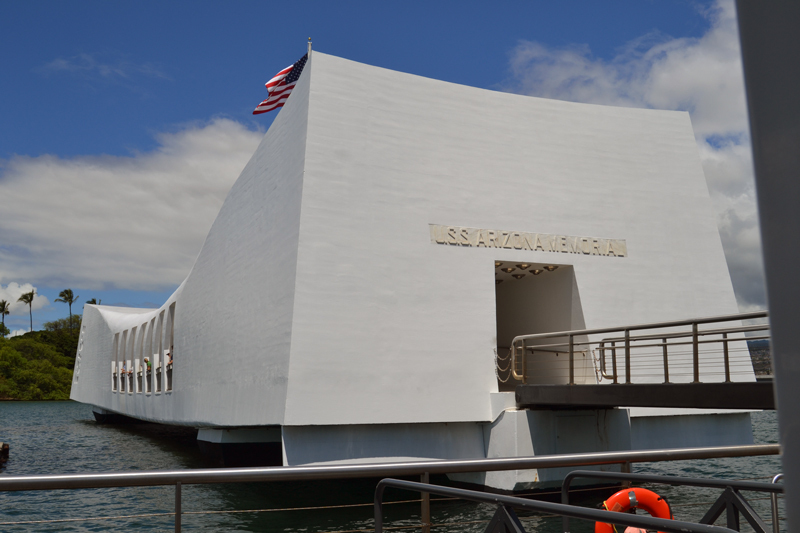 We toured Pearl Harbor, the historic downtown district and walked along the beach. 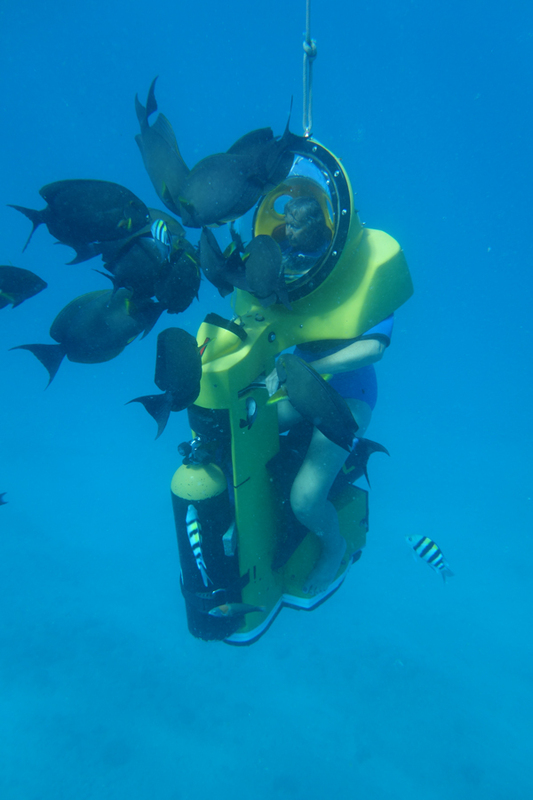 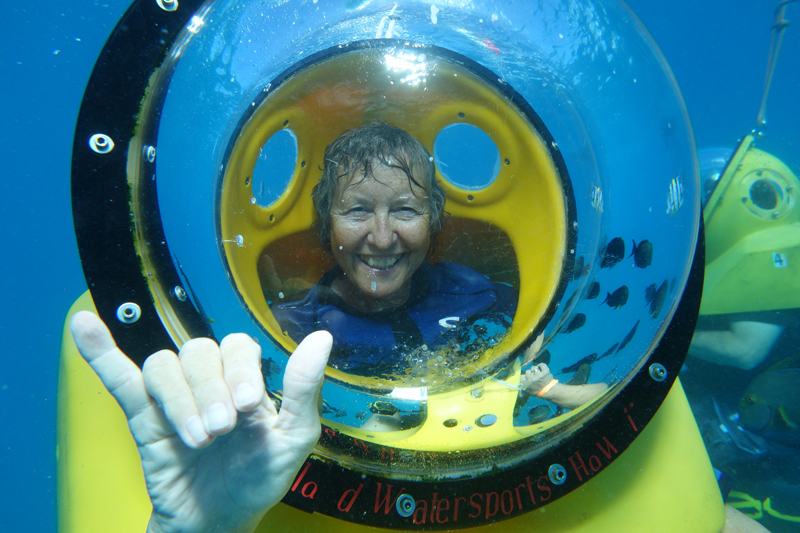 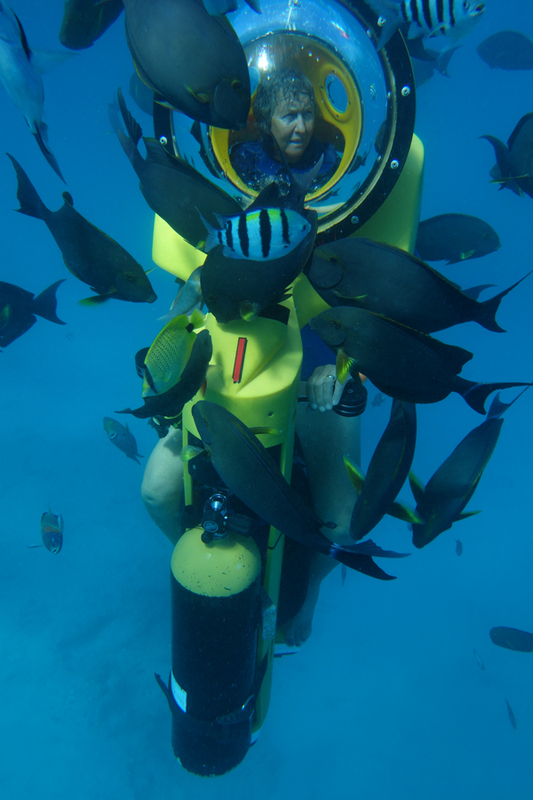 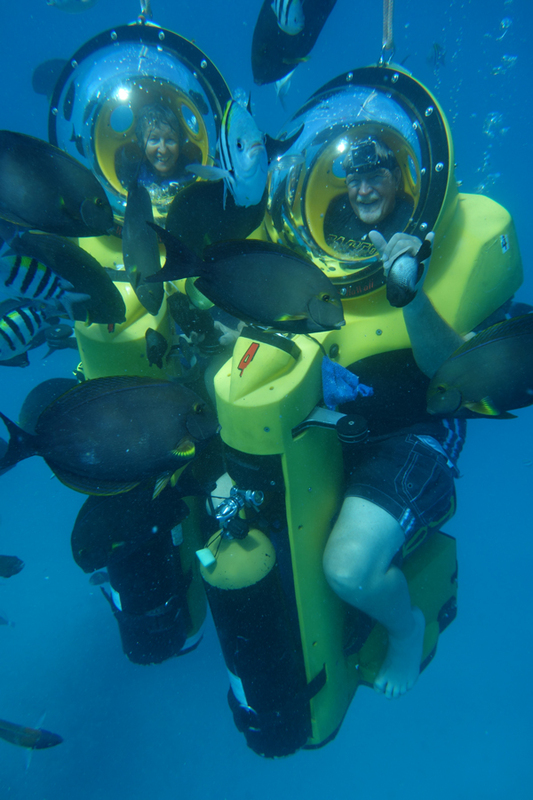 The highlight of our stay was an underwater scooter excursion in Hanauma Bay; it was absolutely fabulous (outside of being called an elderly couple!). 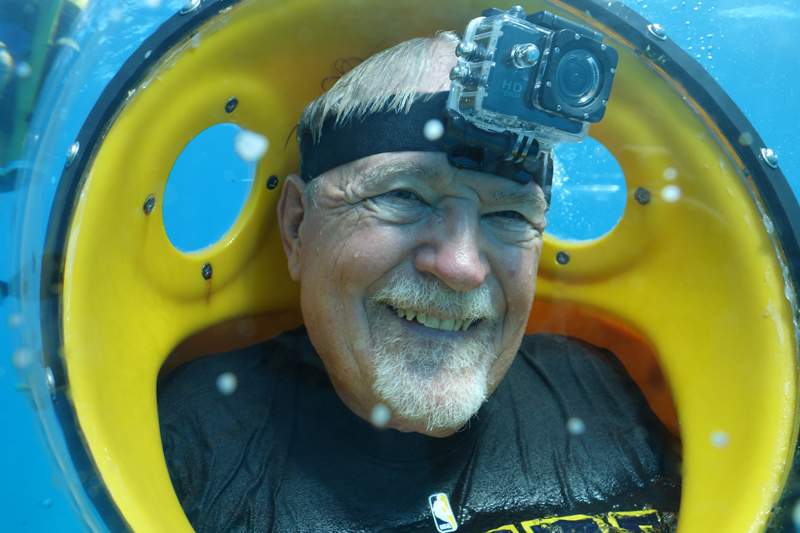 Bob wore an underwater camera and got some great pictures, as you can see. 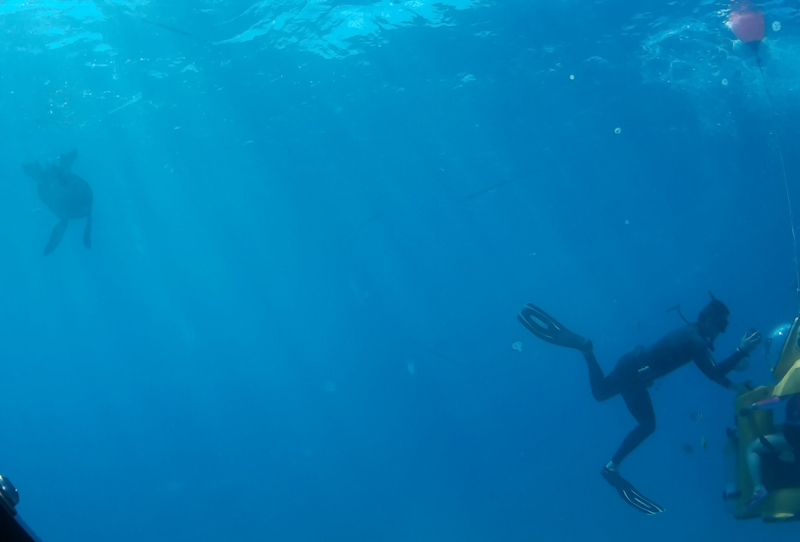 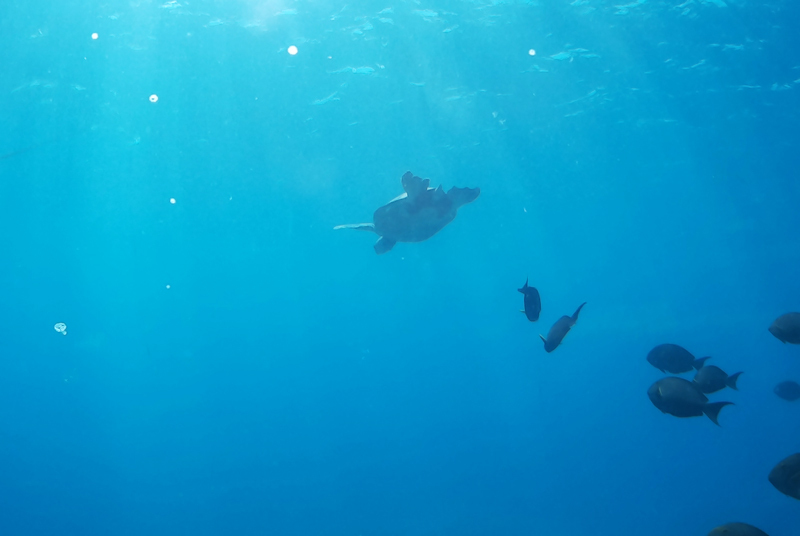 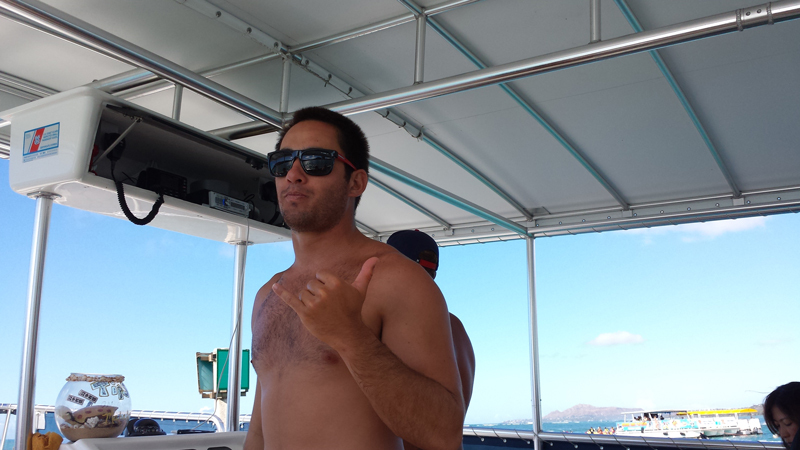 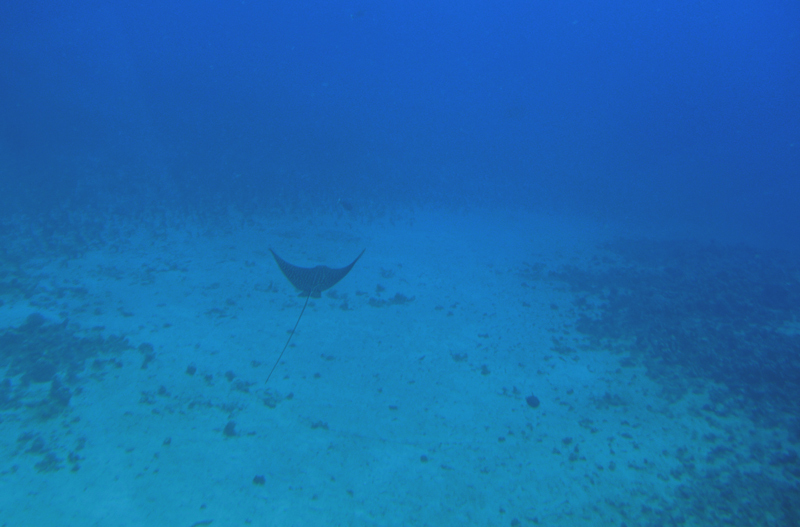 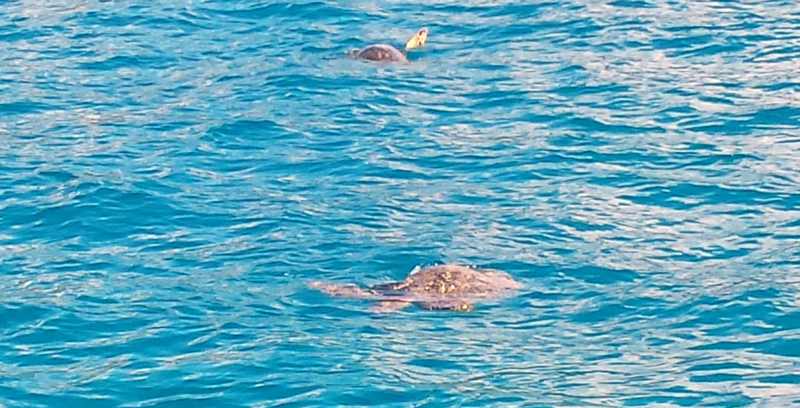 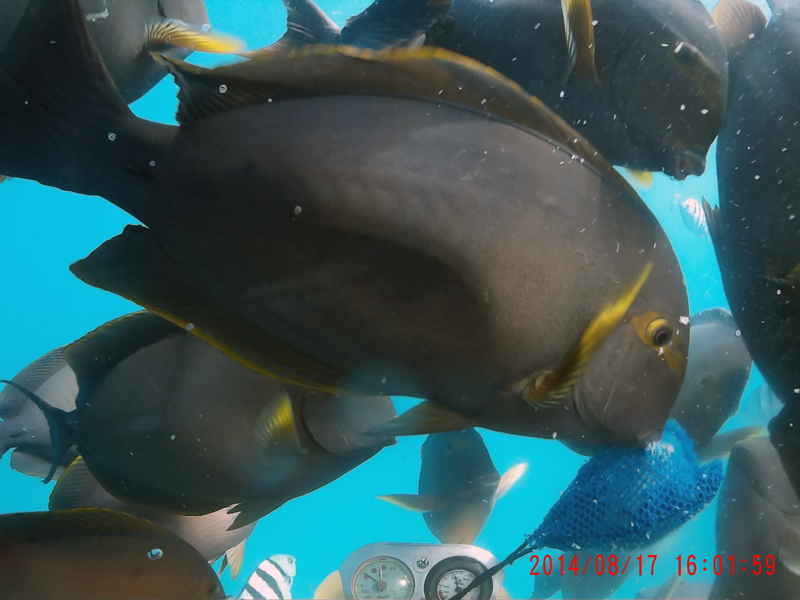 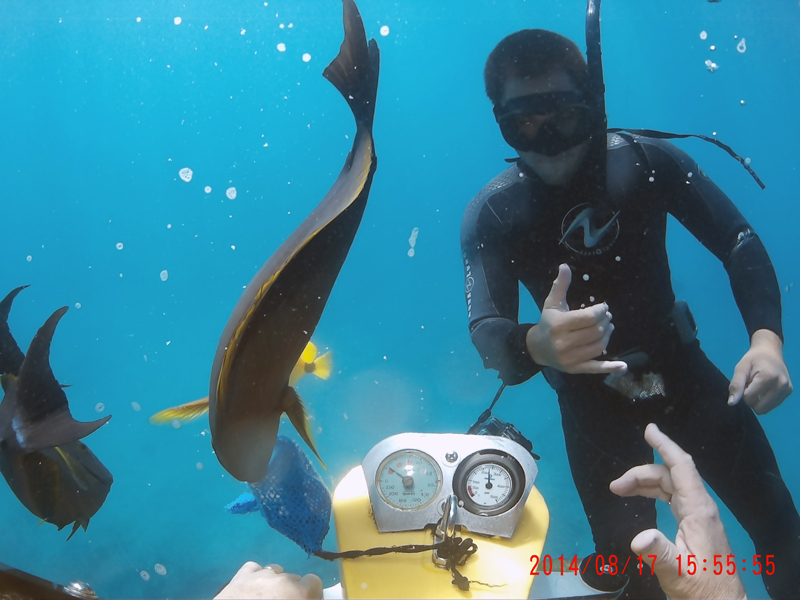 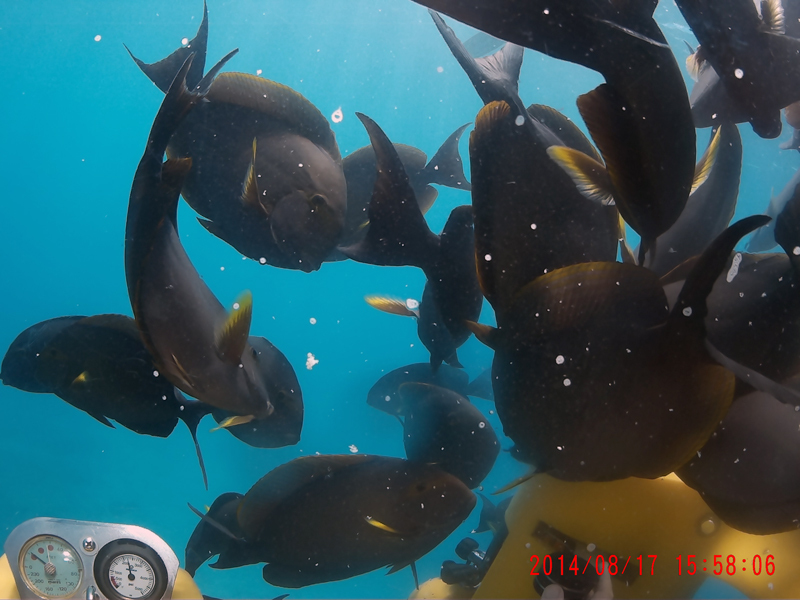 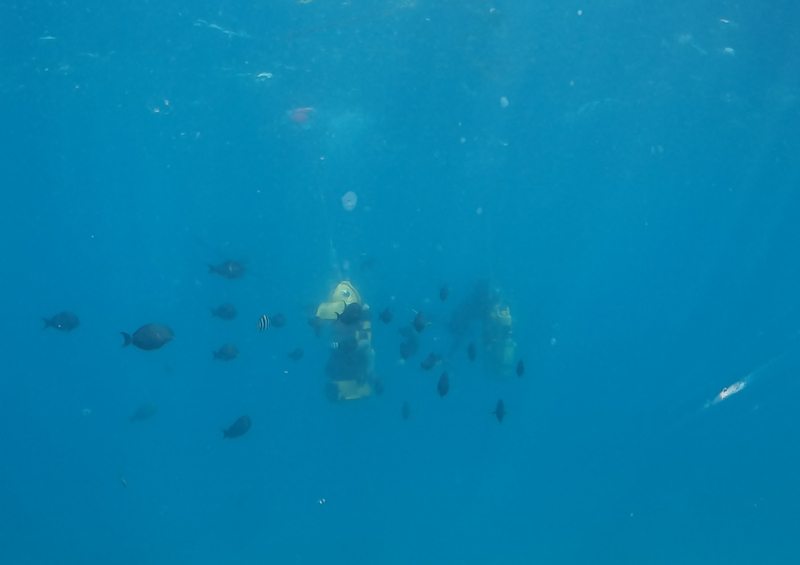 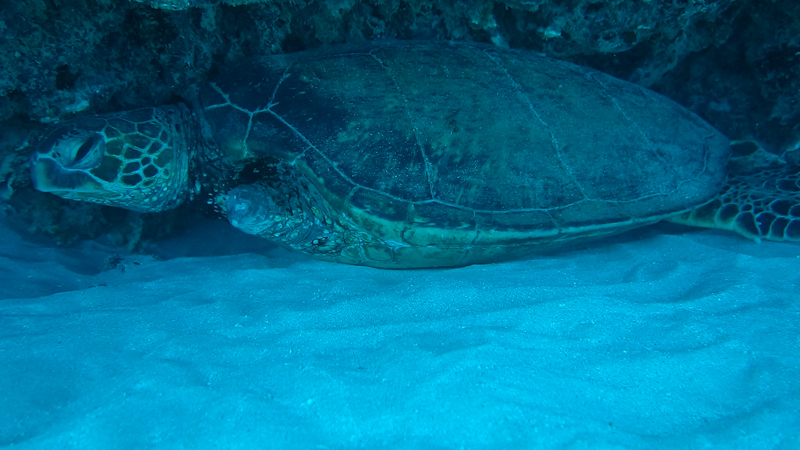 We saw dolphins in route to the dive site, beautiful tropical fish, sea turtles and an eagle ray while underwater. 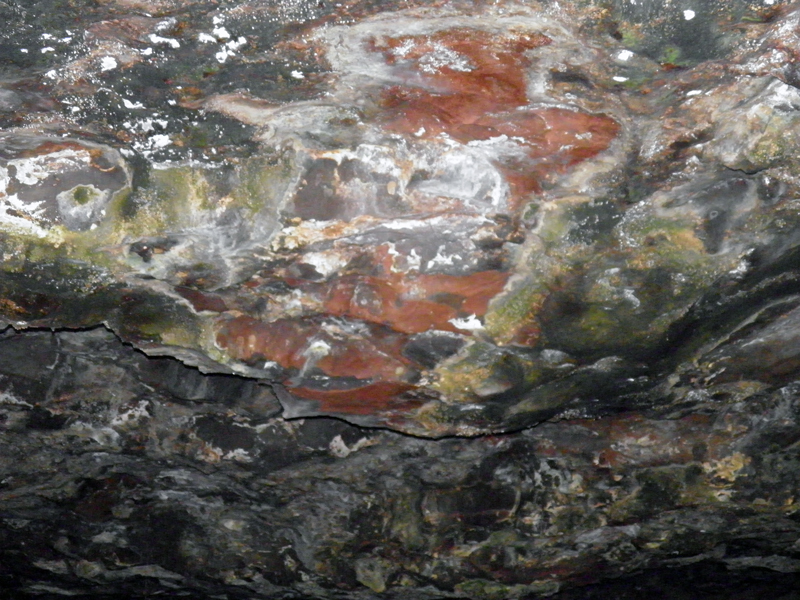 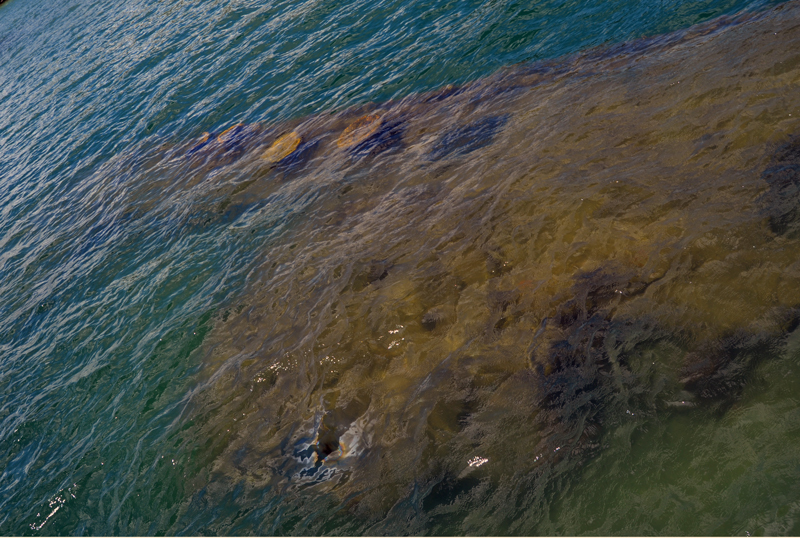 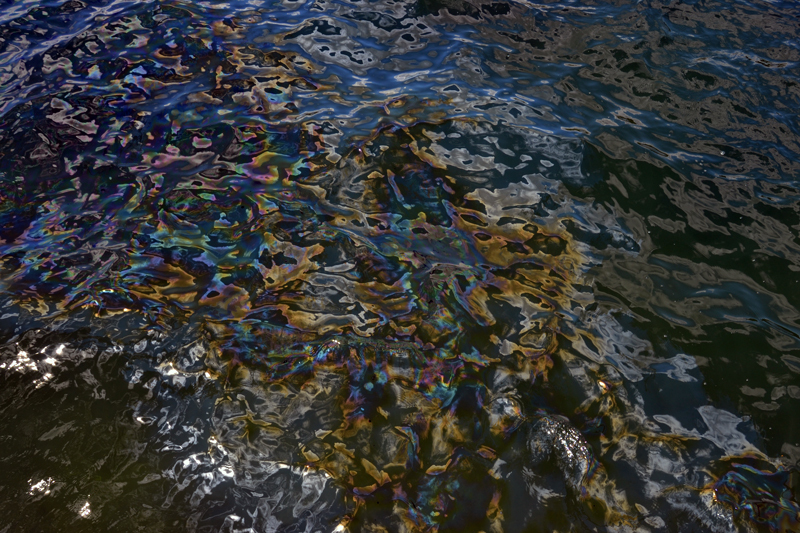 Oil still leaks from the USS Arizona after all these years! 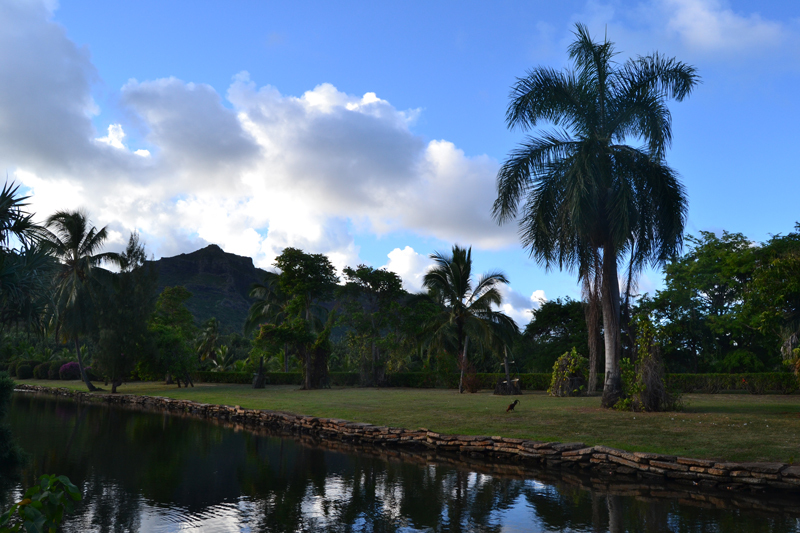 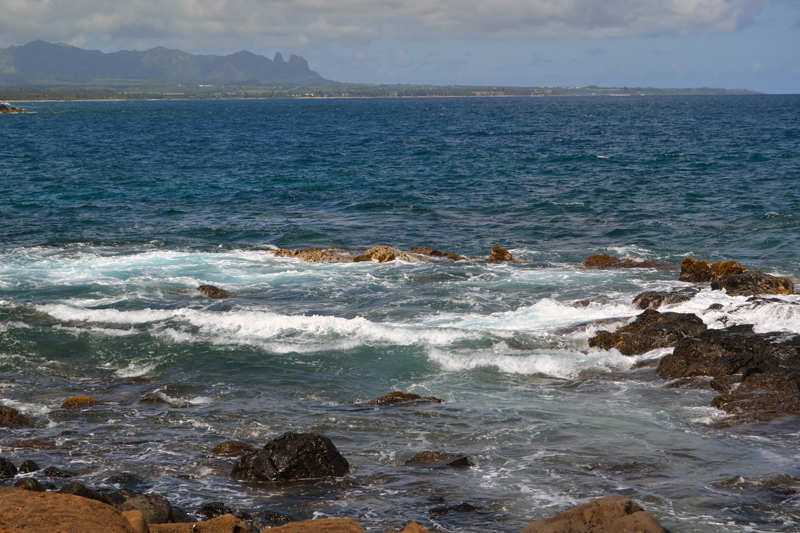 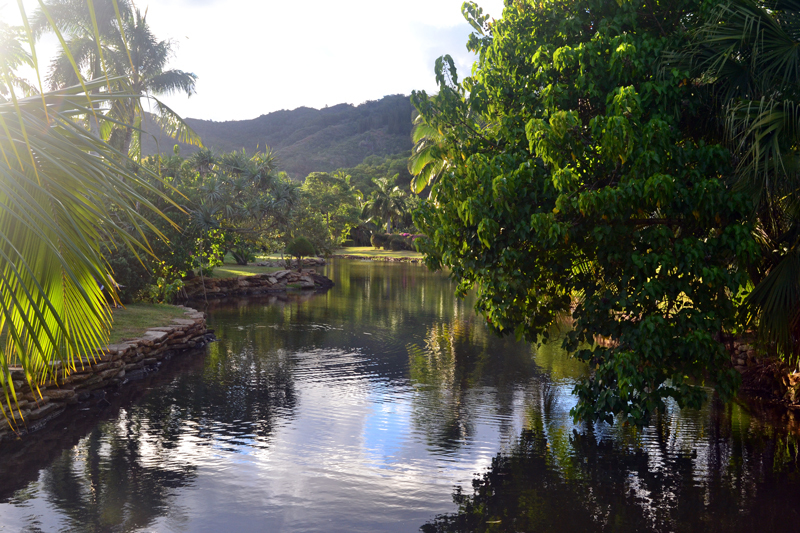 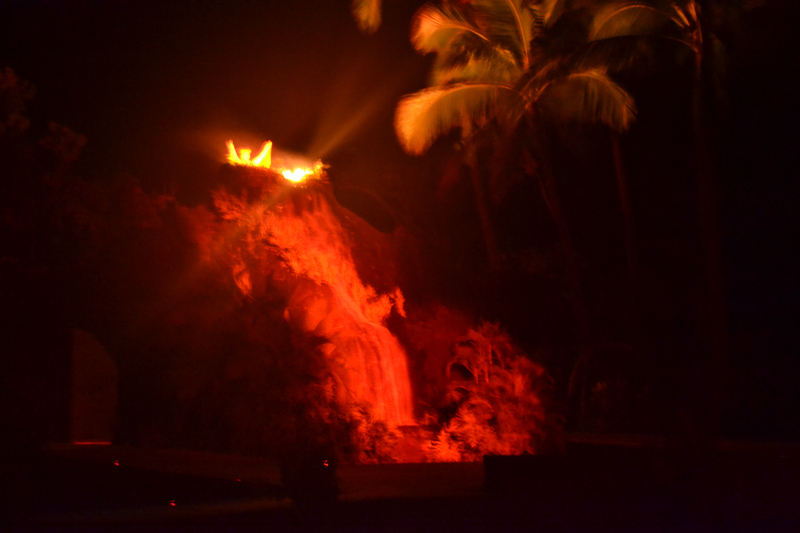 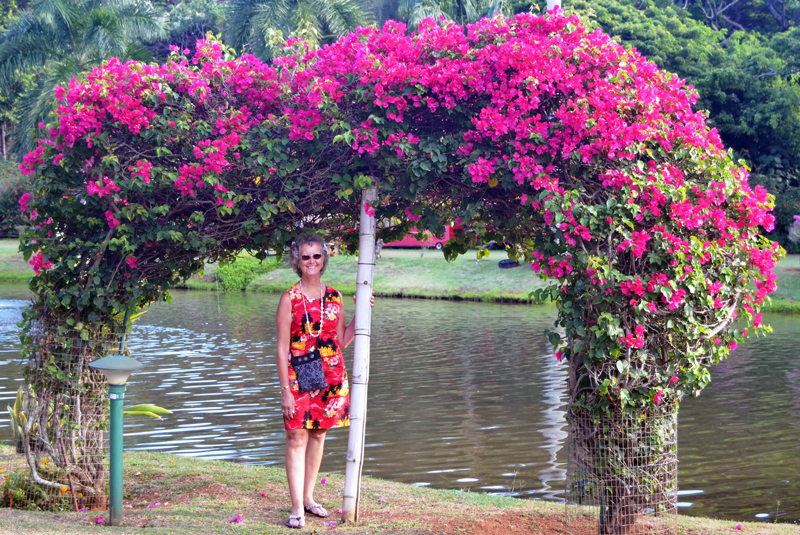 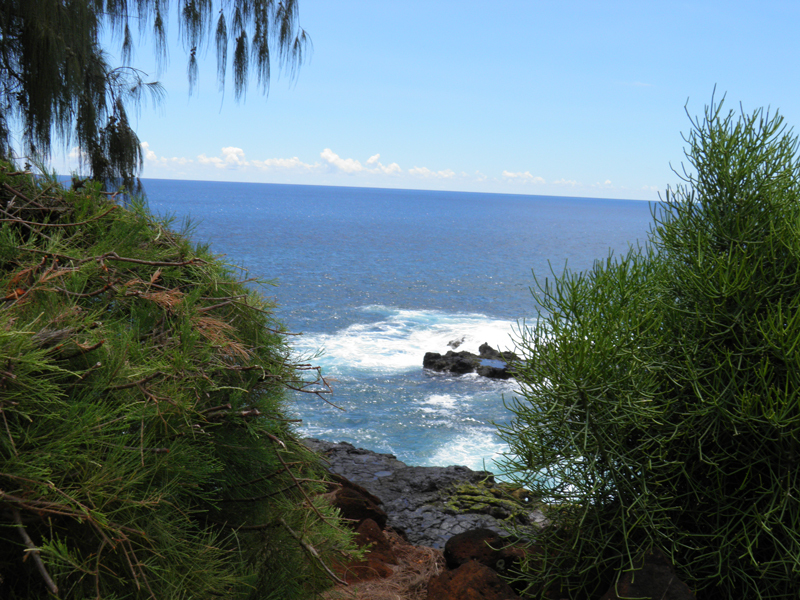 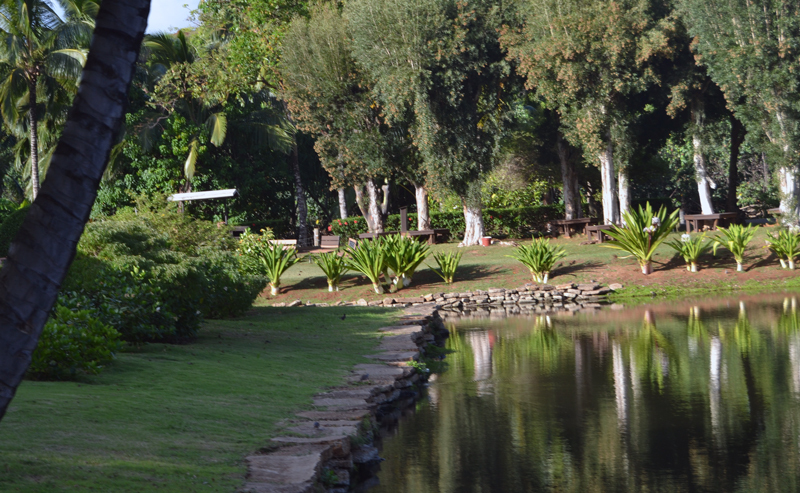 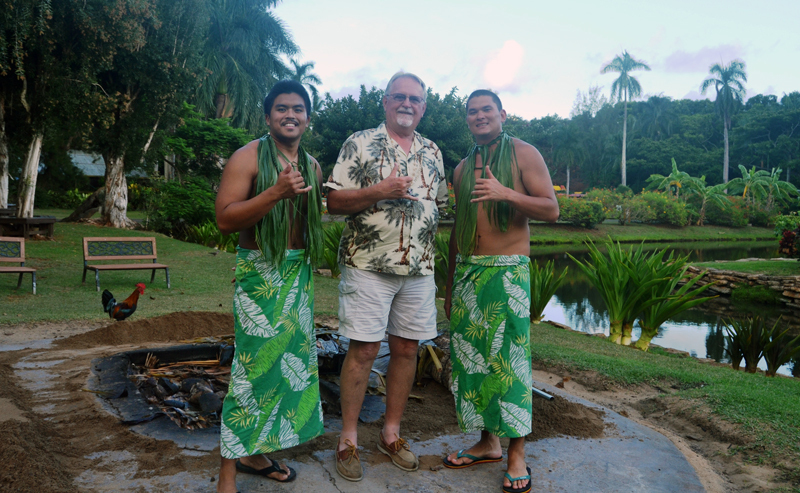 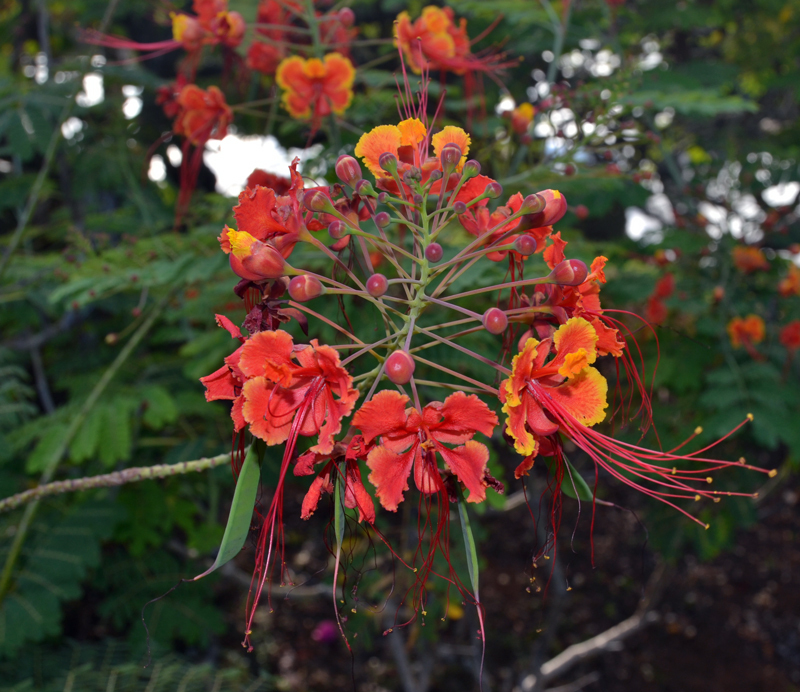 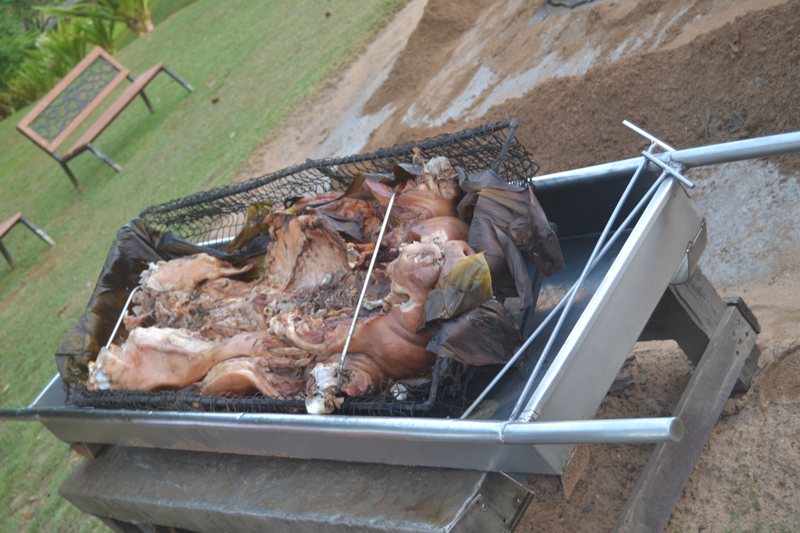 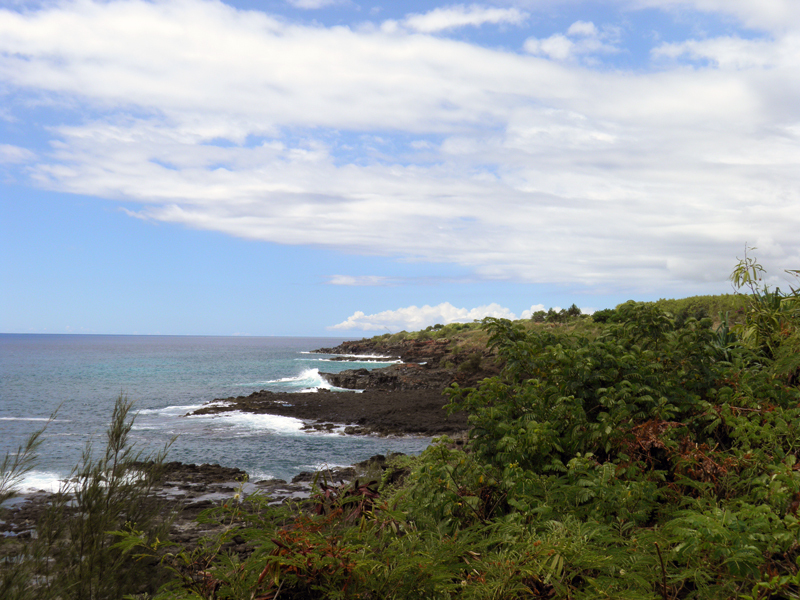 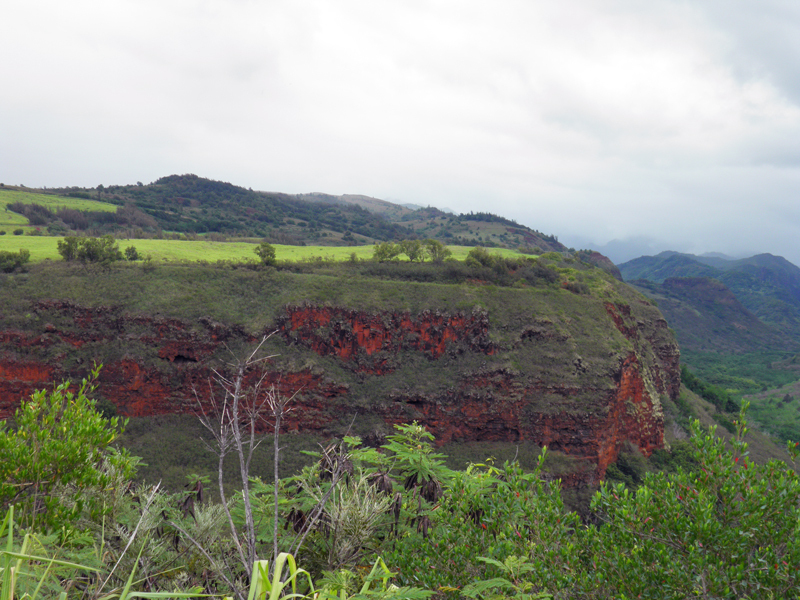 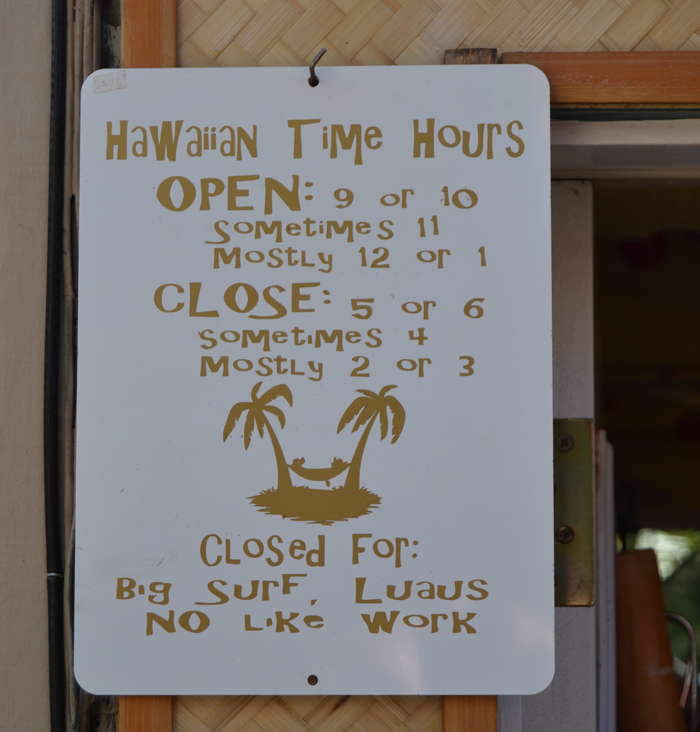 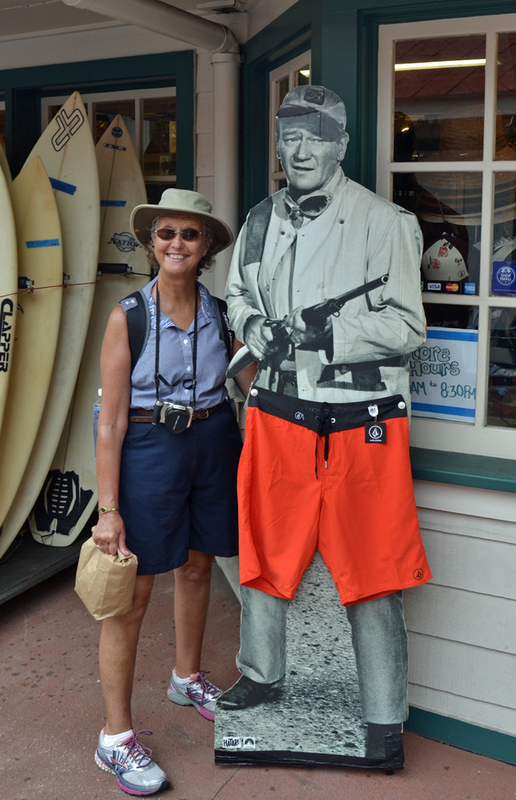 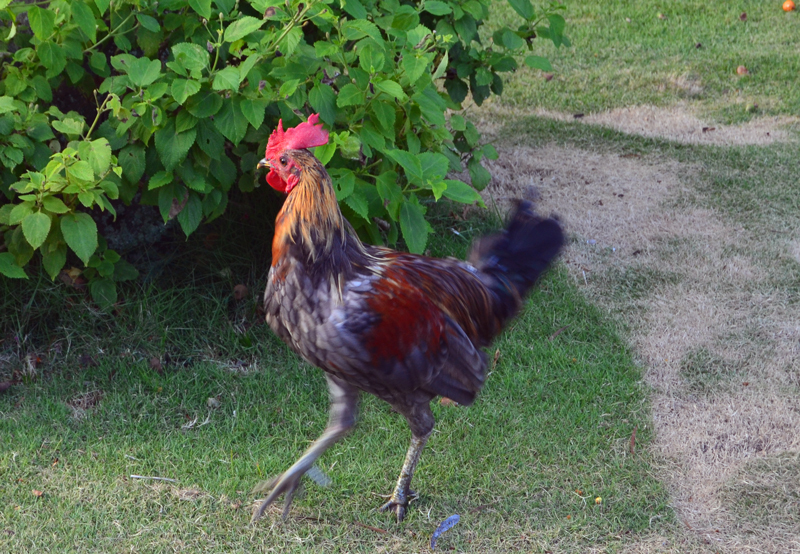 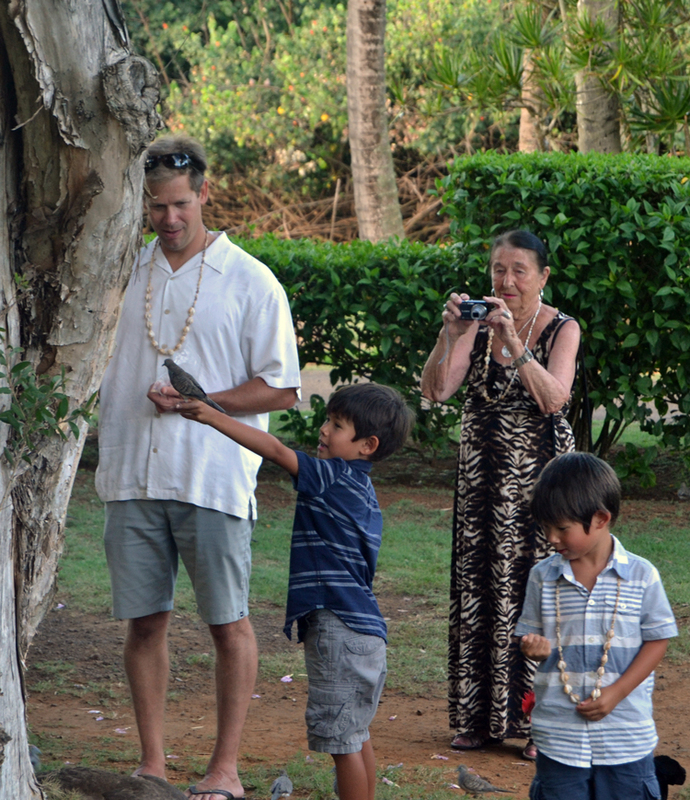 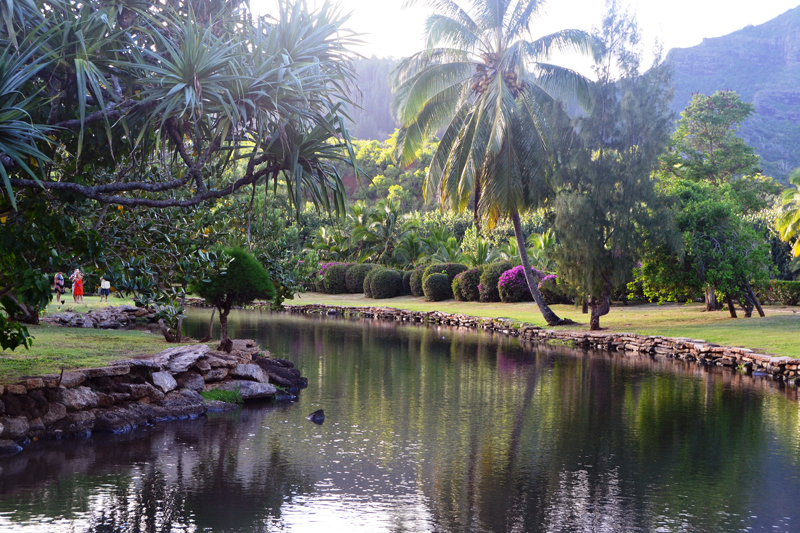 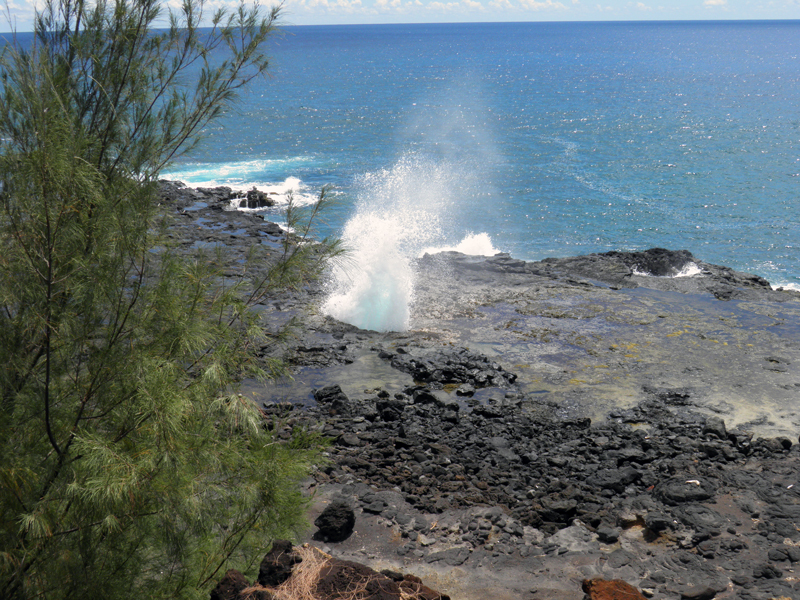 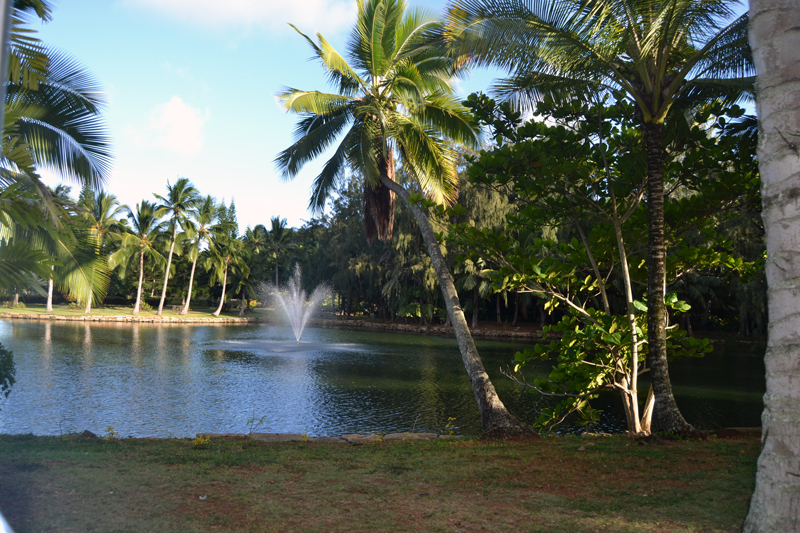 We spent five days on Kauai at the Banyan Harbor Resort in Nawiliwili. 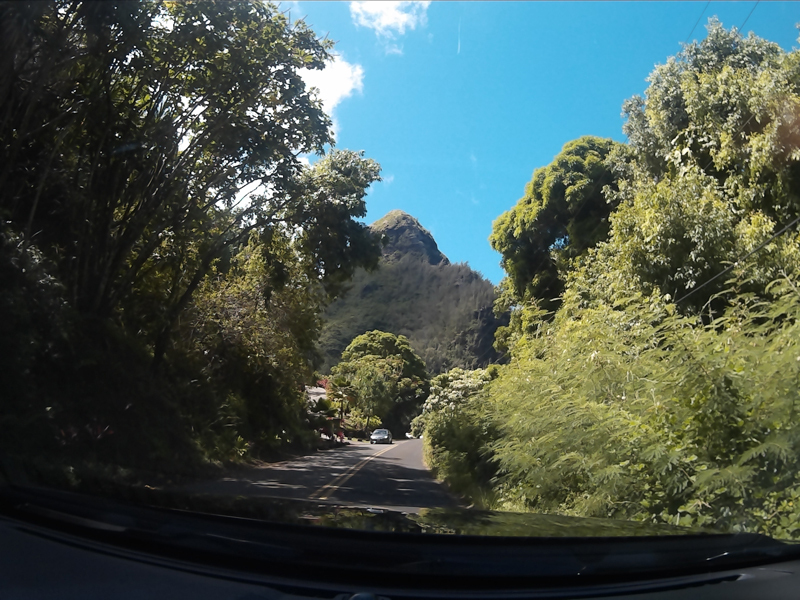 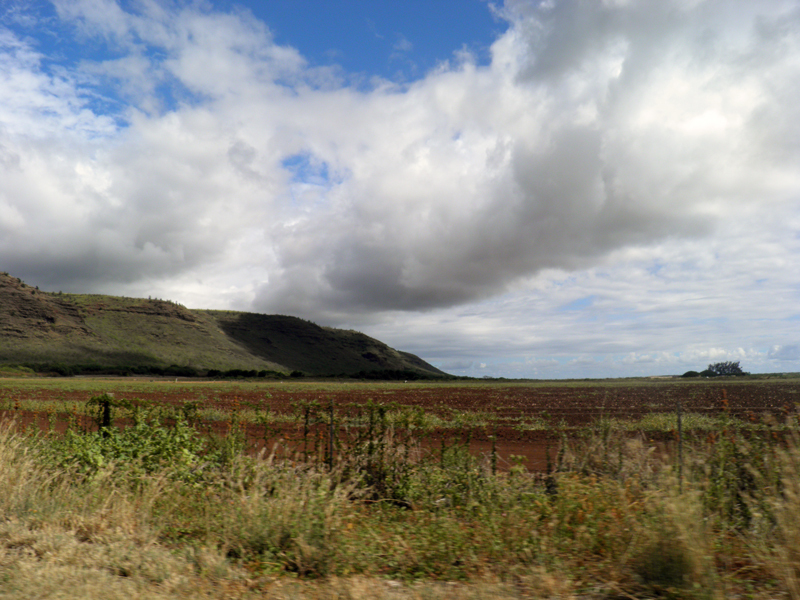 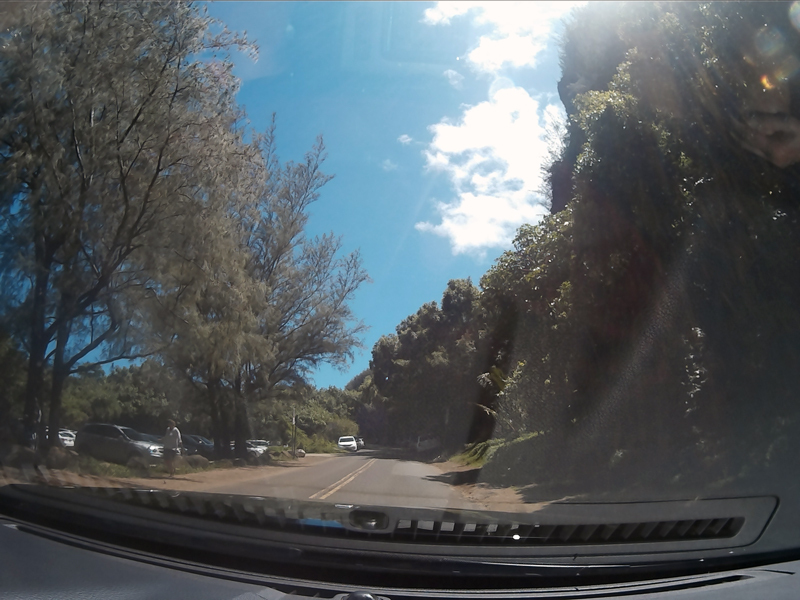 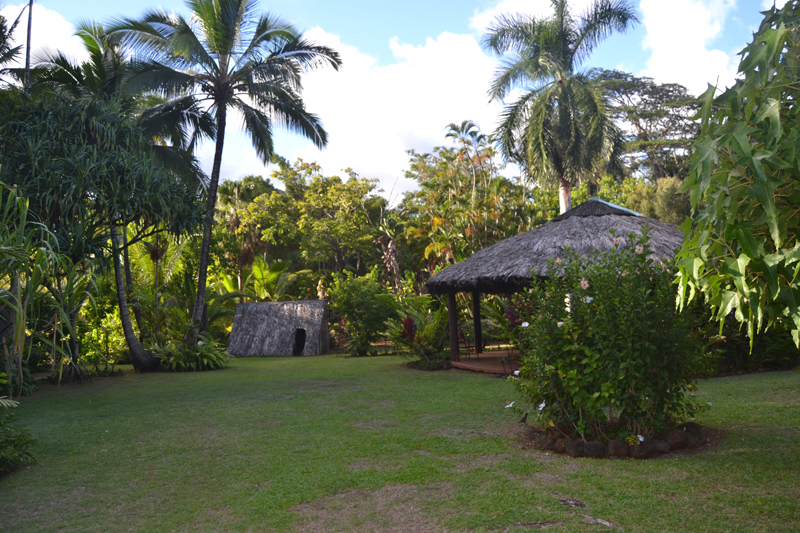 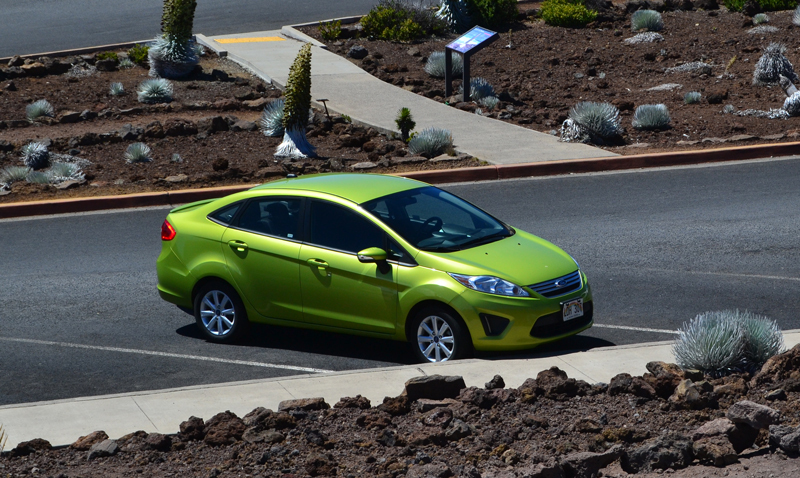 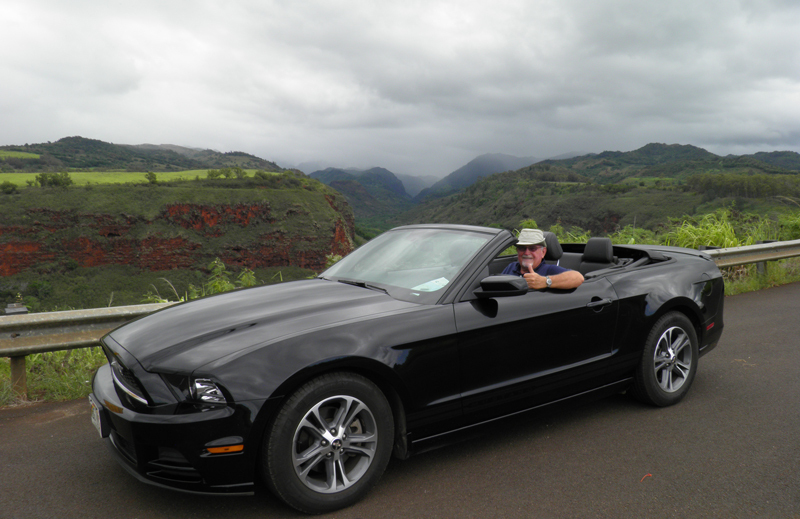 We were able to drive around three quarters of the island with our rental car, enjoying the beautiful scenery and uniqueness of each area. 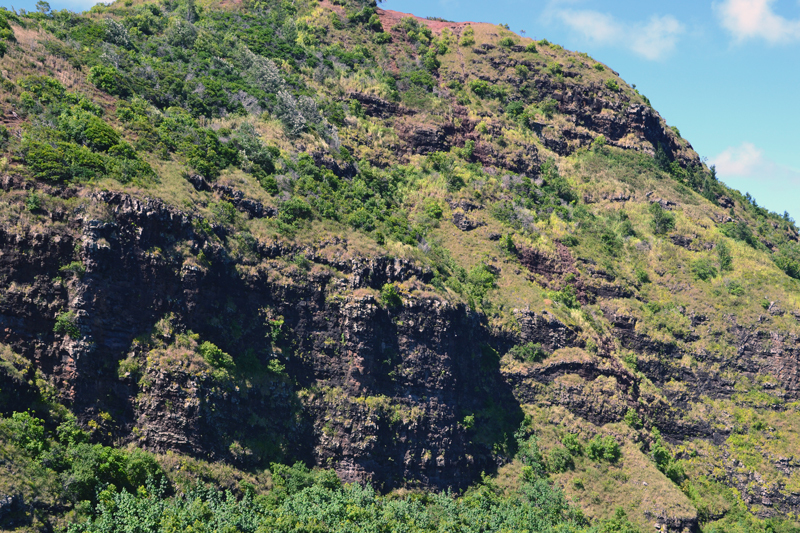 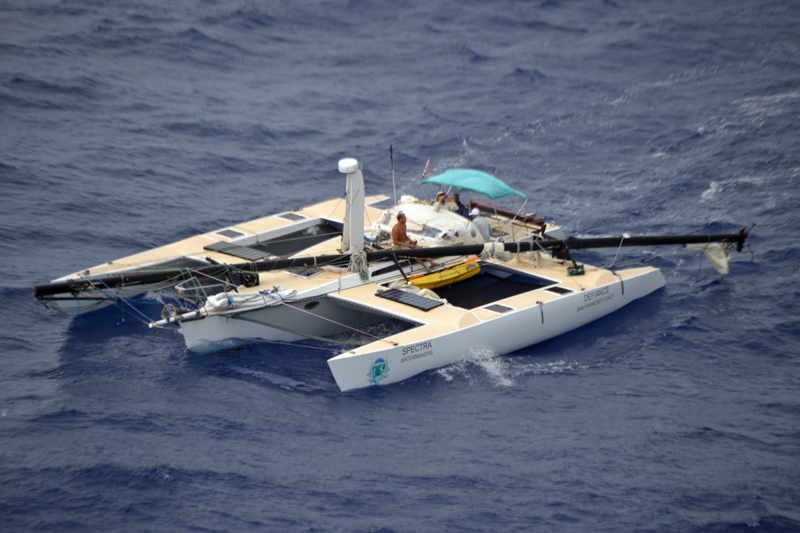 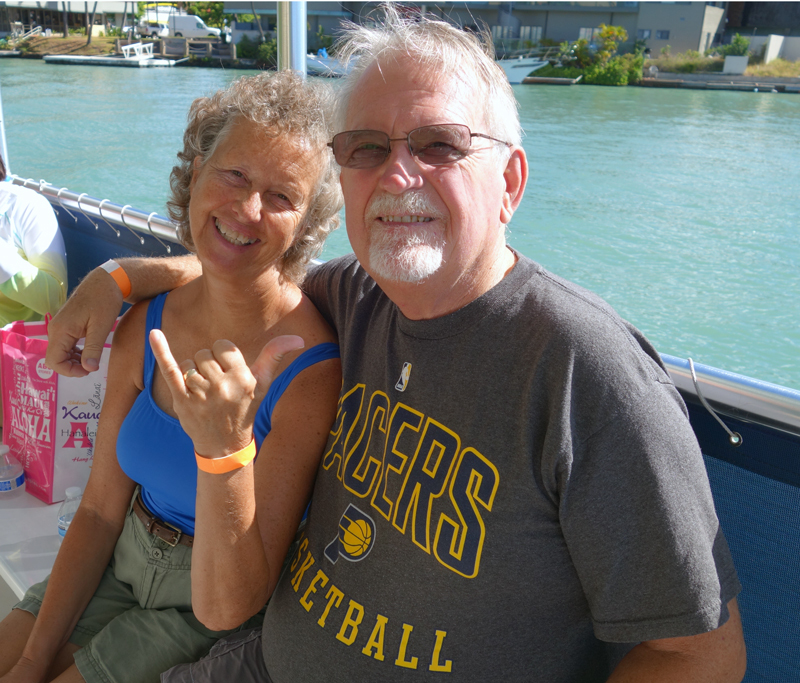 We enjoyed a sunset catamaran tour of the Na Pali coast, which features panormic views of the Pacific Ocean, velvet green cliffs and cascading waterfalls plummeting into deep narrow valleys. 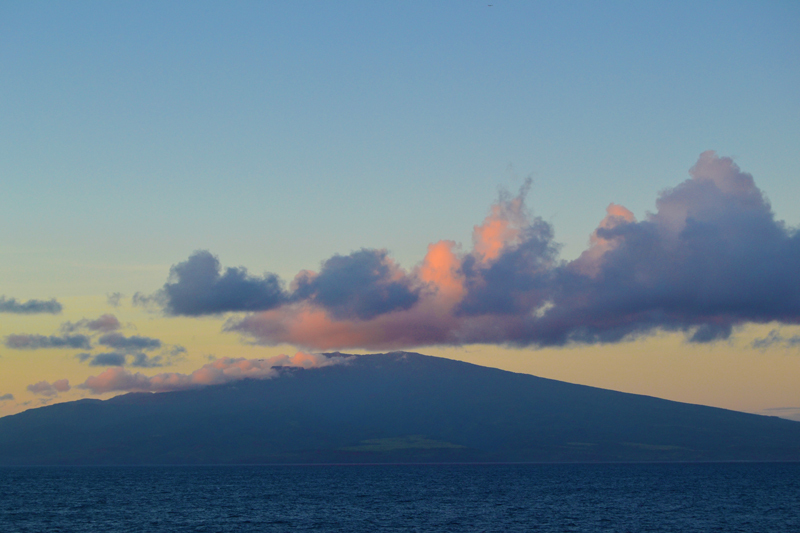 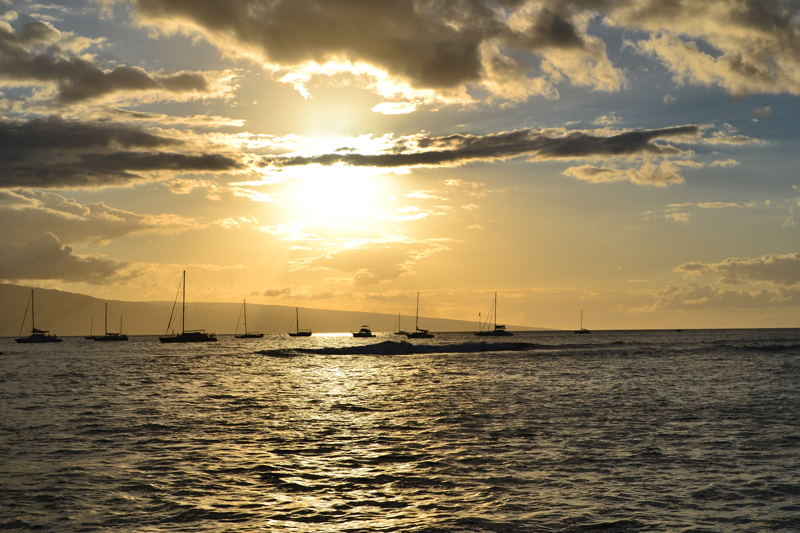 We saw dolphins and a monk seal during the trip, had a nice dinner and saw a beautiful sunset. 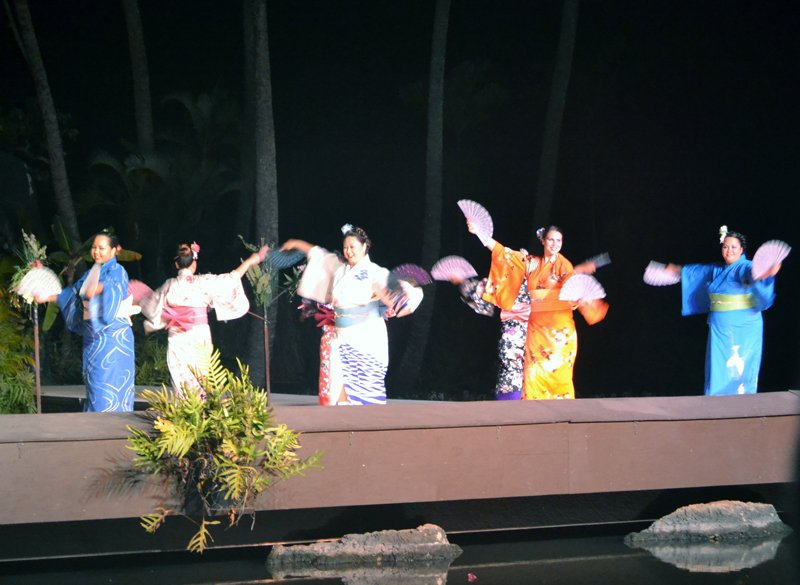 Our final evening on Kauai we enjoyed the Smith Family Garden Luau, a triditional Hawaiian luau, including a tram tour of the gardens, an IMU ceremony, a delicious meal and a wonderful Polynesian show.